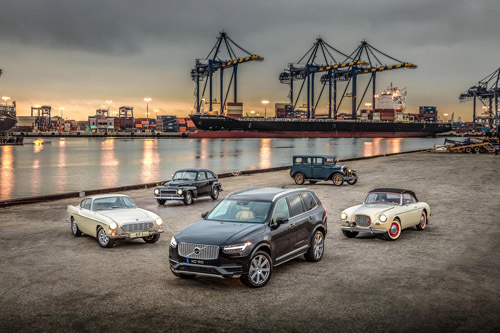 To complete the collection of Volvo Photo Locations, I am looking for the locations where the following photos were made. 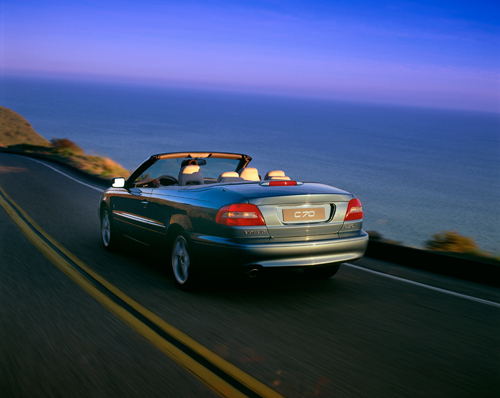 Please comment under this post or use my contactform. Thank you for any tips! 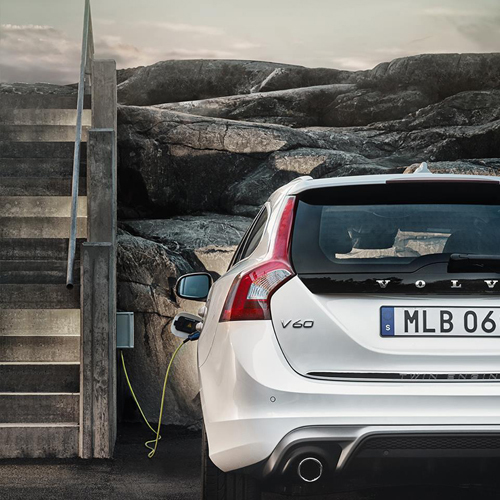 Just found Volvo Photo Locations are listed here! 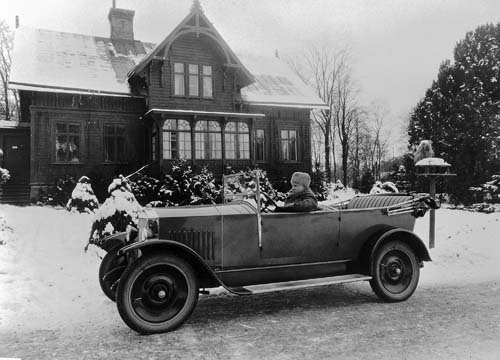 1927 – Volvo ÖV4 – one of the 10 prototypes on a testdrive in Hovås or Kunglälv? 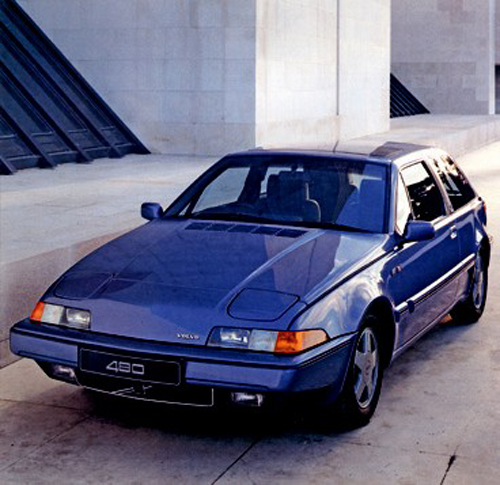 This is one of the three prototypes that drove from Stockholm, where they were made, to Göteborg. 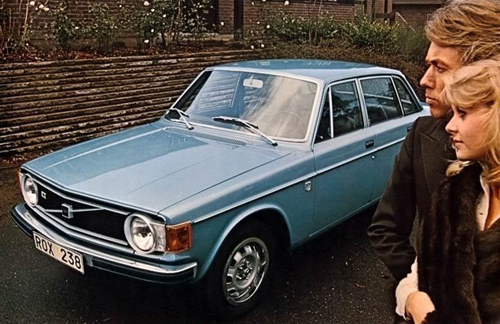 Behind the wheel was John Andersson. 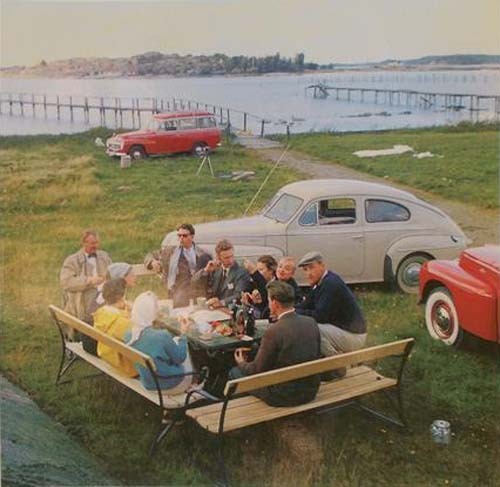 Photo is from Ratten magazine, nr 2 1962. 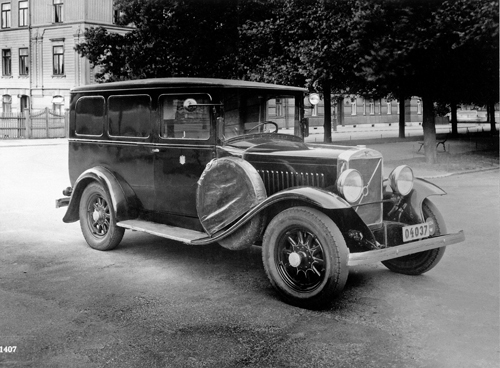 1934 – Volvo TR 675 with special body for prisoner transportation, somewhere in Göteborg, but what street? 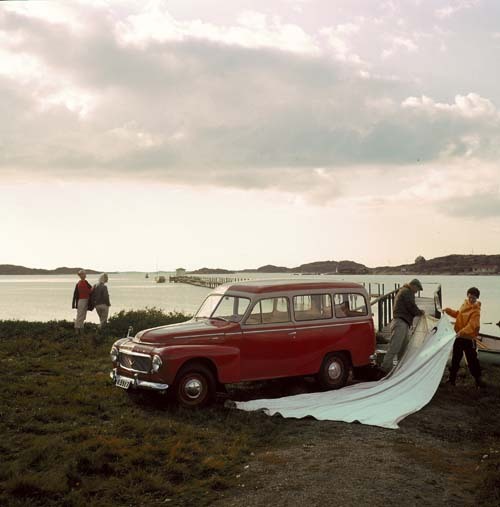 1958 – Volvo PV455 Duett – along the west coast north or south of Göteborg? 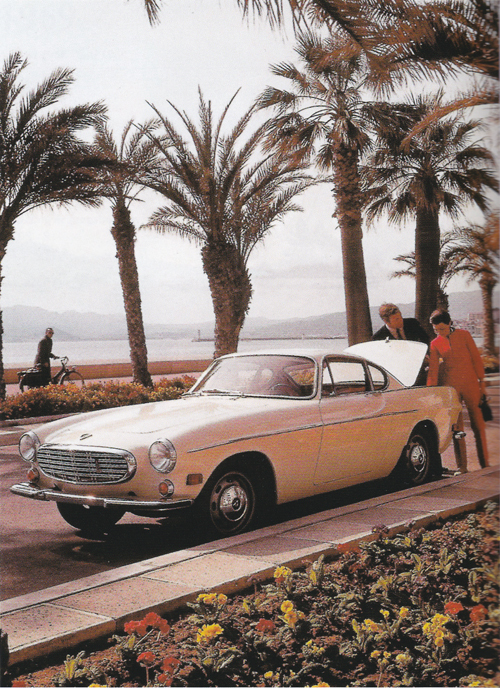 1960 – Volvo P1800 made by Jensen, somewhere in near The Blue Ship in West Sussex in England? 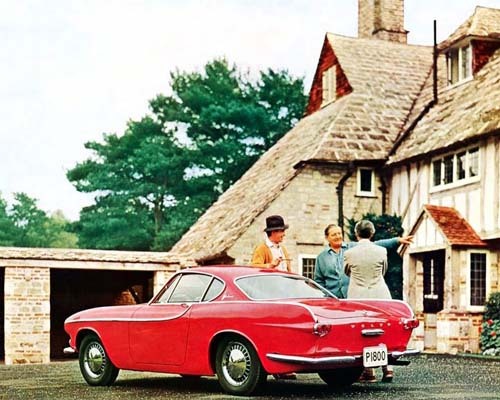 1960 – Volvo P1800 X3 prototype near The Blue Ship in The Haven, Billingshurst, West Sussex, but where is this great cottage / house? 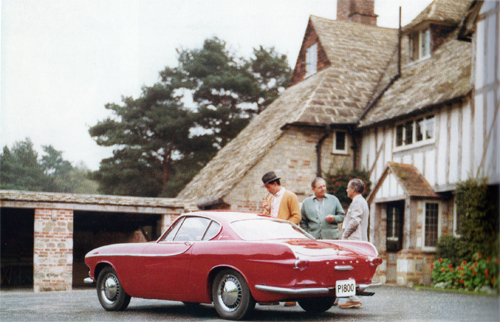 1960 – Volvo P1800, also somewhere in West Sussex in England, but where? 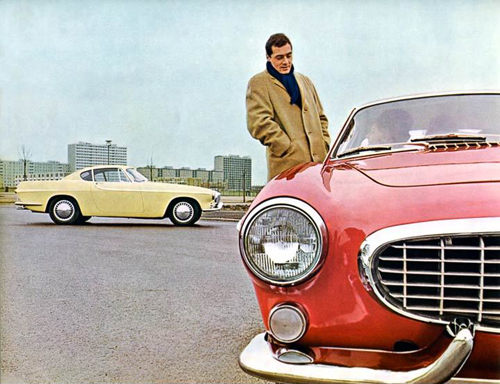 1960 – Volvo P1800, somewhere in Göteborg? 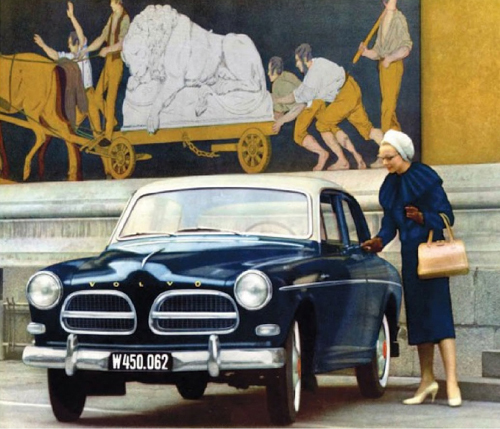 1961 – Volvo Amazon, somewhere in Vienna (Austria) or is it Rome? 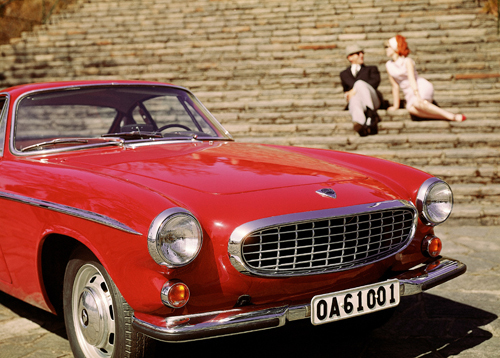 1965 – Volvo 1800 S, maybe in Helsingfors / Helsinki near the famous stairs on Regeringsgatan or is it Italy? 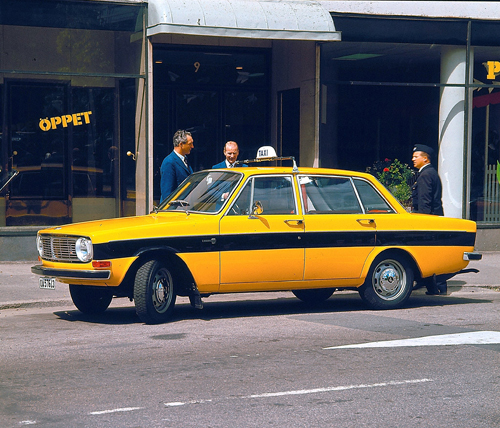 1966 – Volvo 144 Taxi in Stockholm or Göteborg? 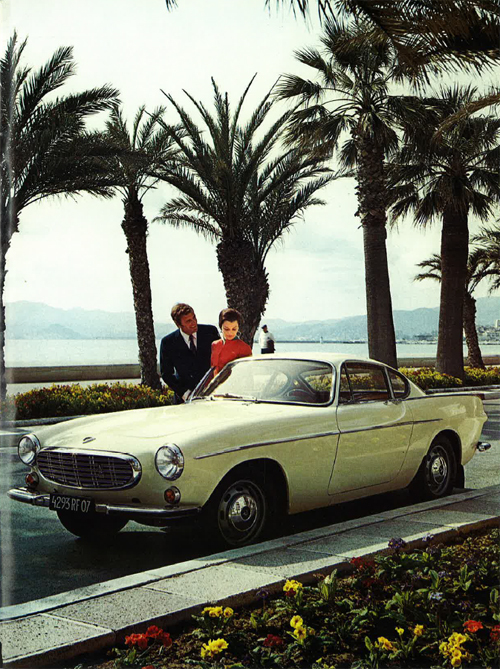 1968 – Volvo P1800S somewhere at the Cote Azur in France, maybe Nice? 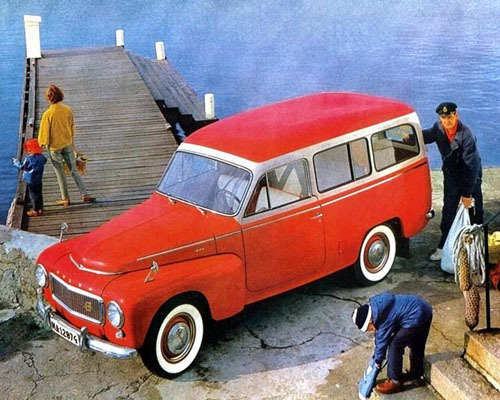 1968 – Volvo P220 Amazon, somewhere in Denmark or maybe Skåne, southern Sweden? 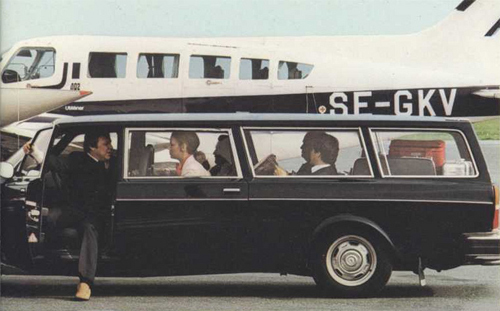 1968 – Volvo 164, somewhere in Göteborg? 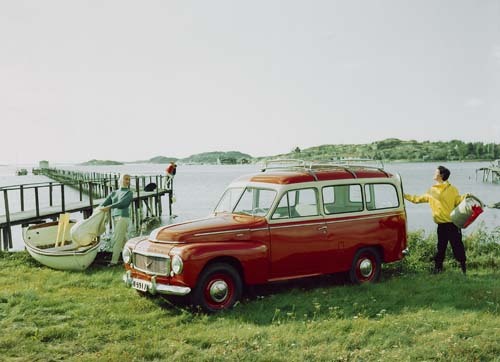 1968 – Volvo 145, somewhere at the west coast of Sweden? 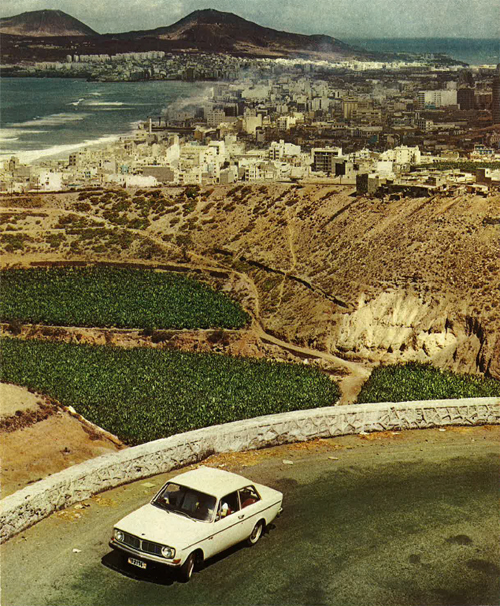 1968 – Volvo 142 at Spanish coast, but where? 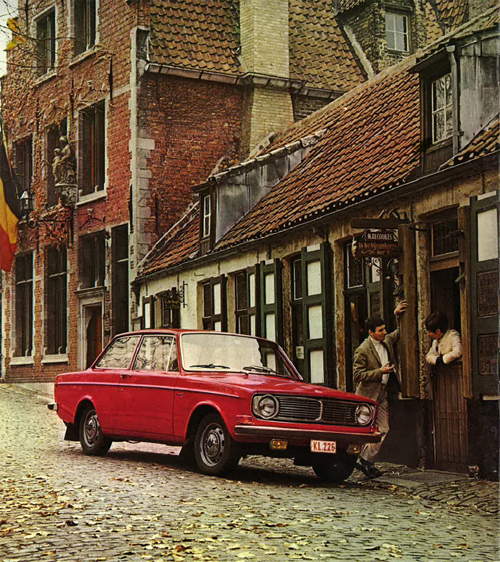 1969 – Volvo 142 in old historic street in Brugge Belgium, do you know which street? 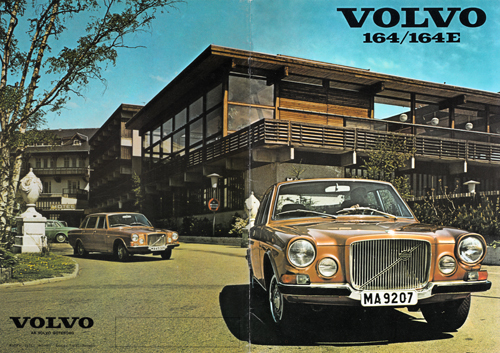 1970 – Volvo 164, is this office building from the late 60s still around? 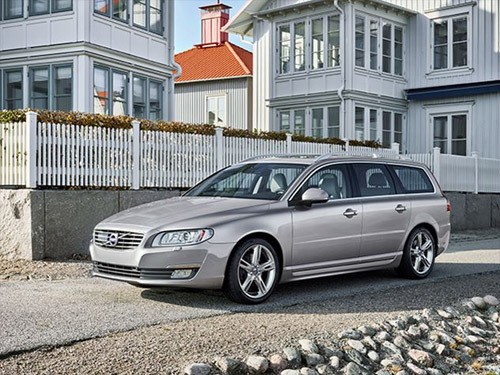 Somewhere in Västerbottenslän, Umeå (AO numberplates)? 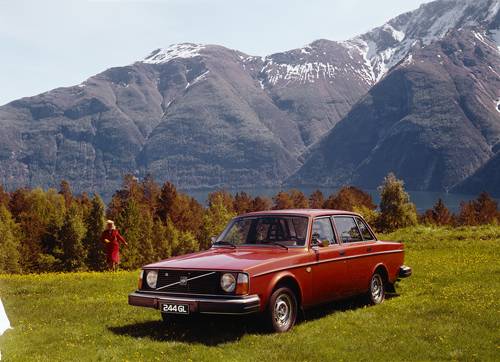 1970 – Volvo 164, somewhere at on Volvo office in Göteborg? 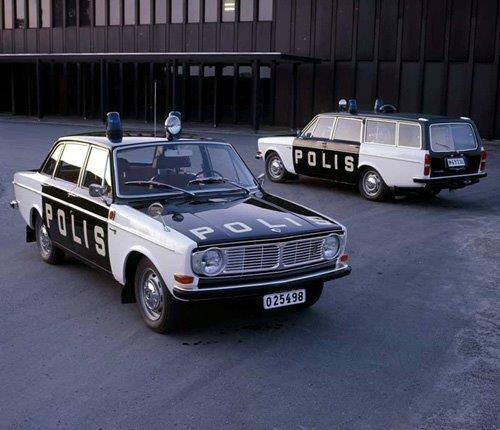 1970 – Volvo 144 – 145 Polis, somewhere at on Volvo office in Göteborg? Same as above? 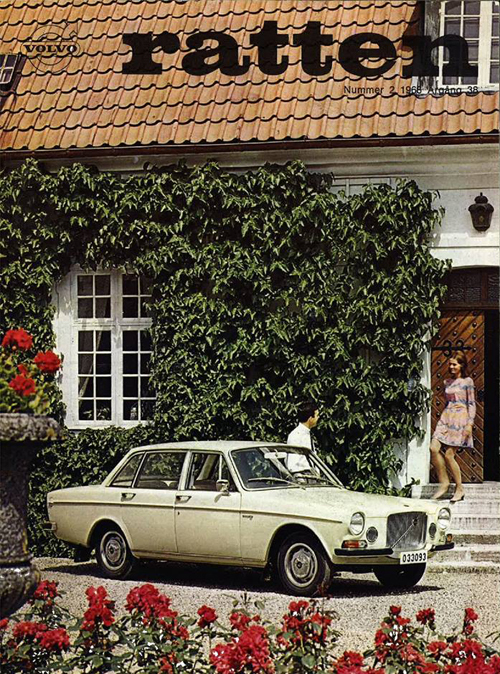 1971 – Volvo 164/164E at some Hotel in Germany och Austria, or is it somewhere in Sweden, Denmark or Norway? 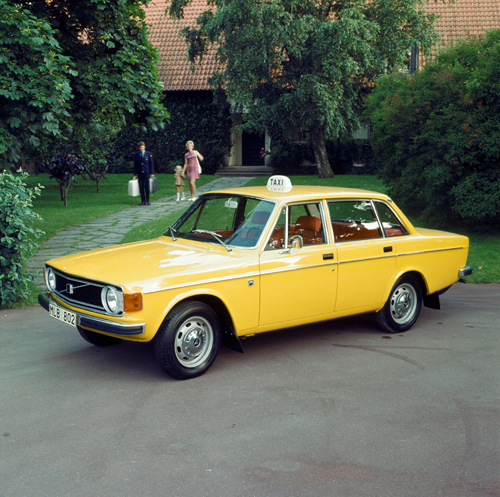 1973 – Volvo 145 Express Taxi, somewhere in the Göteborg region? 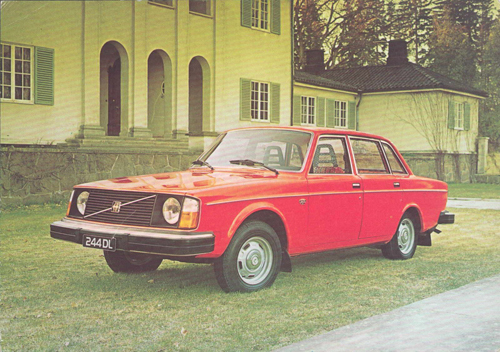 1973 – Volvo 144 GL, somewhere in a villa area in Göteborg? 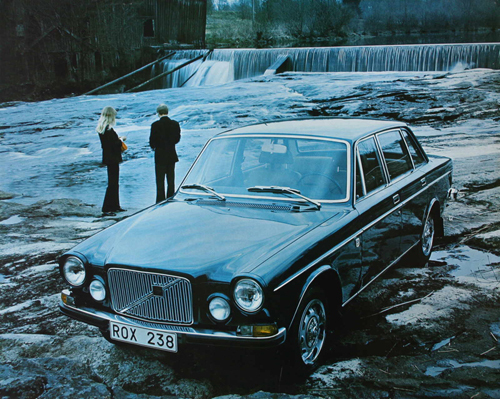 1973 – Volvo 164 at waterfalls in Sweden or Norway? 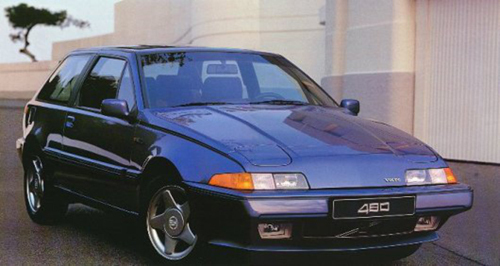 Noticed the same registration plate as above? 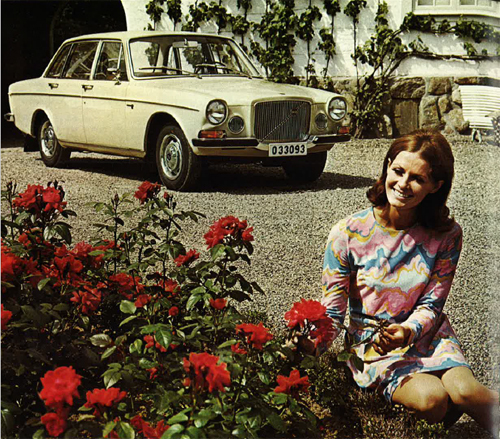 1974 – Volvo 164E at some Swedish gård, but where? 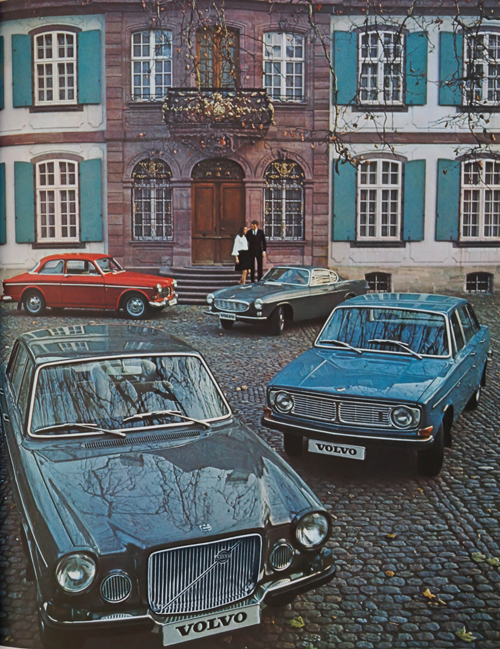 1974 – Volvo 164E at same location, only different plates. 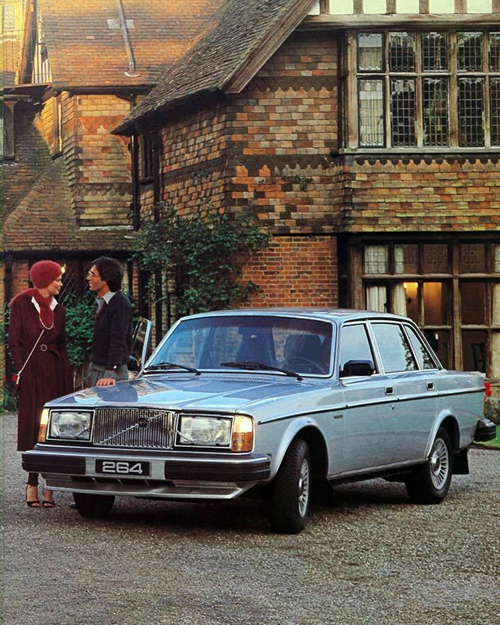 1975 – Volvo 244, somewhere in Sweden at a country house? 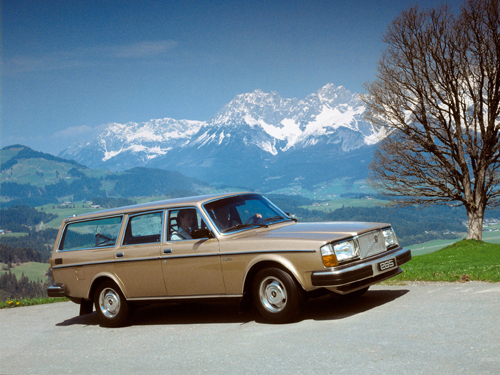 1975 – Volvo 244 GL in the Swiss or French mountains? 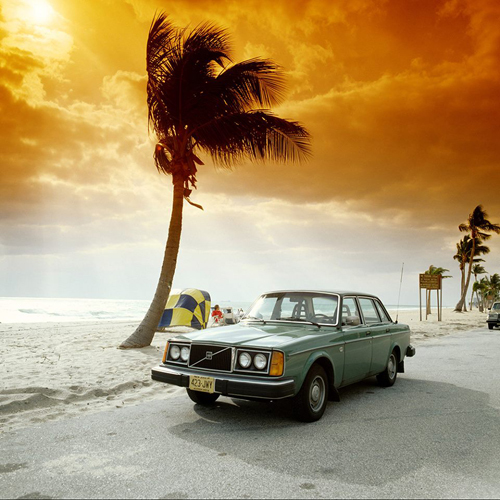 1975 – Volvo 264 GL, somewhere at the beach in California, USA? 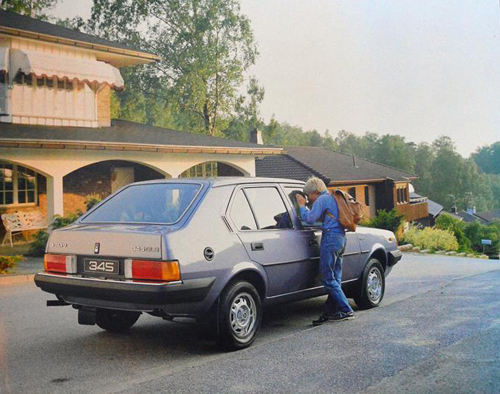 1975 – Volvo 244, somewhere in Sweden, near a golf course? 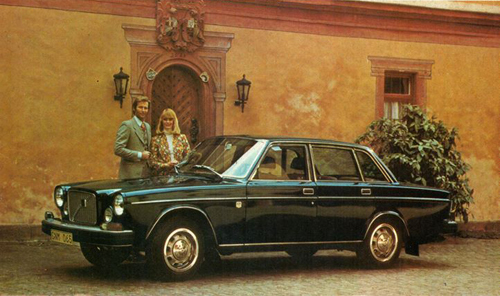 1975 – Volvo 264 GLE somewhere in Sweden, Uppsala maybe? 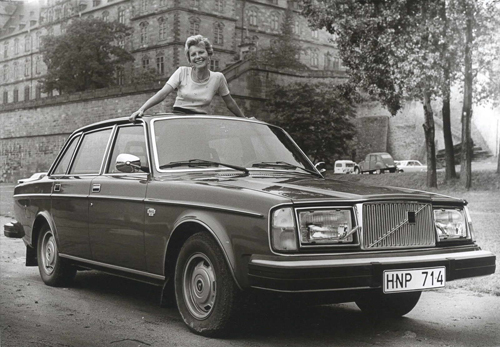 1975 – Volvo 264 GL, somewhere in the same area as above? 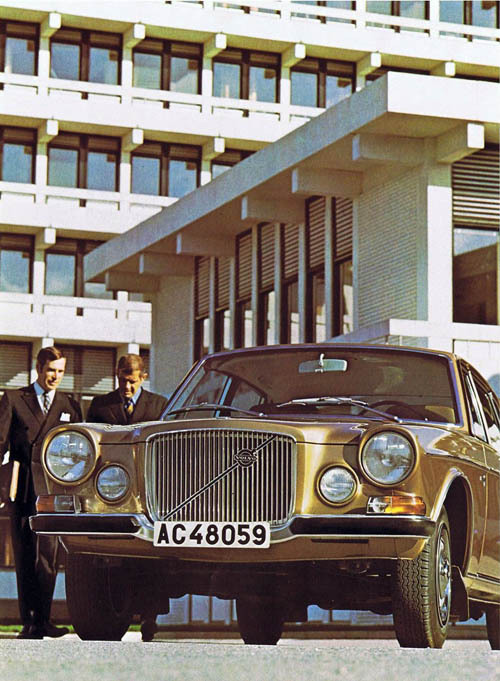 1976 – Volvo 66DL, somewhere in The Netherlands, Eindhoven maybe? 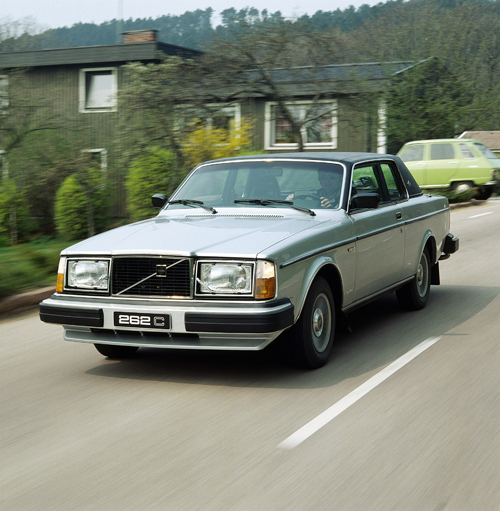 1976 – Volvo 264 TE, somewhere in Göteborg? 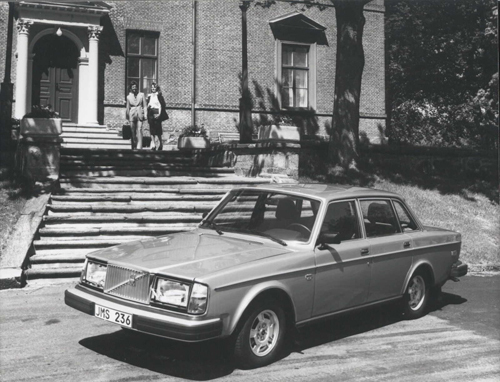 1976 – Volvo 264 TE at Villa, is this in Göteborg? 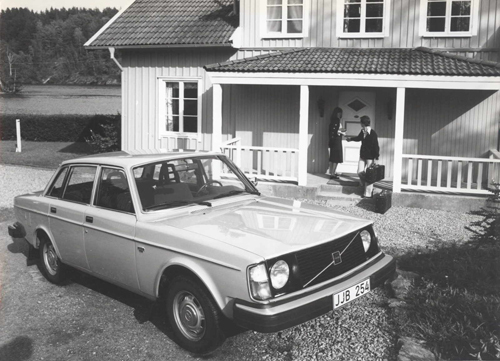 1973 – Volvo 144 Taxi, at the same house as above. But where? 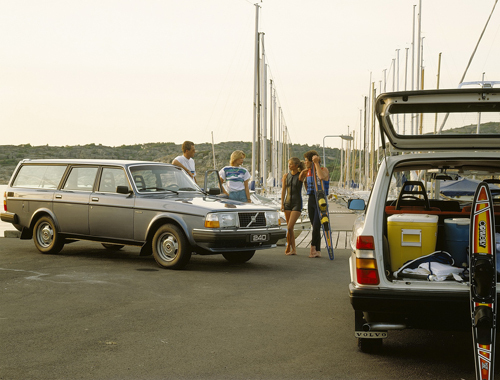 1976 – Volvo 264 GLE , somewhere in Göteborg? 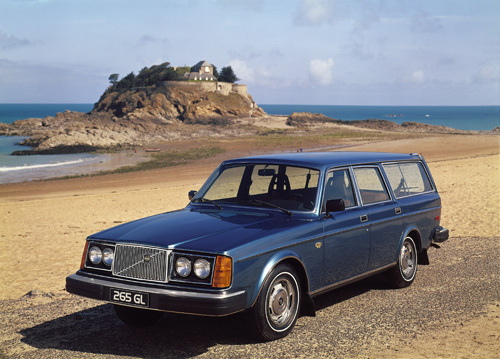 1977 – Volvo 244 DL on French coast? 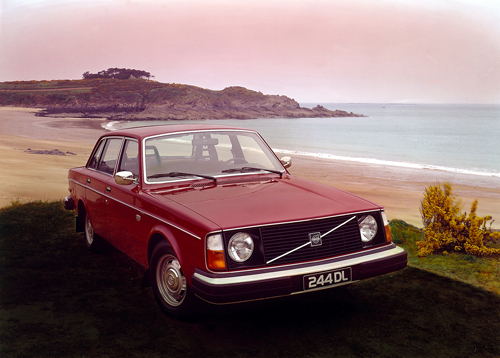 1977 – Volvo 265 GL, must be somewhere in the USA on the east coast? 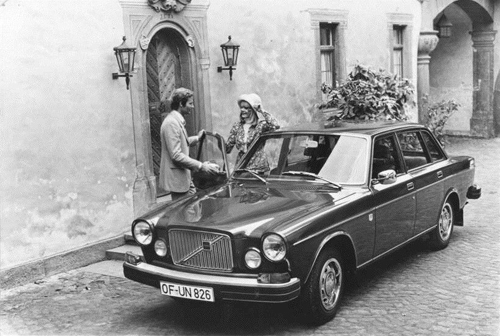 1977 – Volvo 264 GL somewhere in Switzerland or Austria? 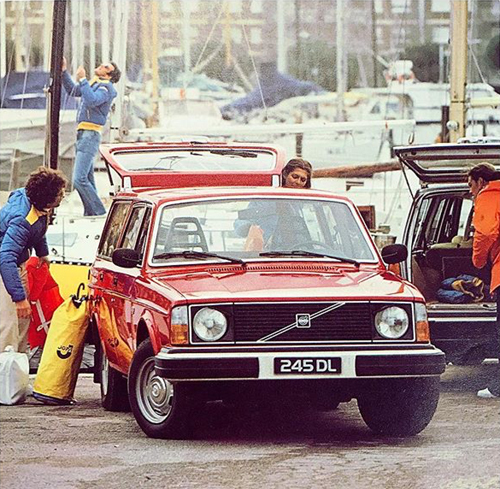 1978 – Volvo 245 DL, somewhere in a sailing harbor in Sweden or Norway or is in Europe, France or Switzerland? 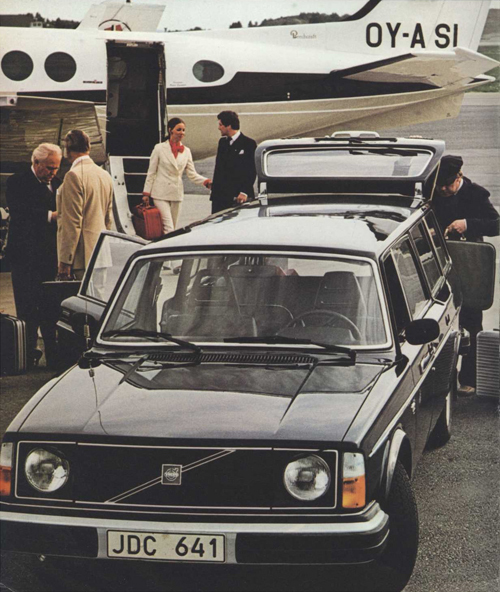 1978 – Volvo 245 Transfer, on Torslanda Airport (which closed in oktober 1977), Säve Airport or Landvetter? 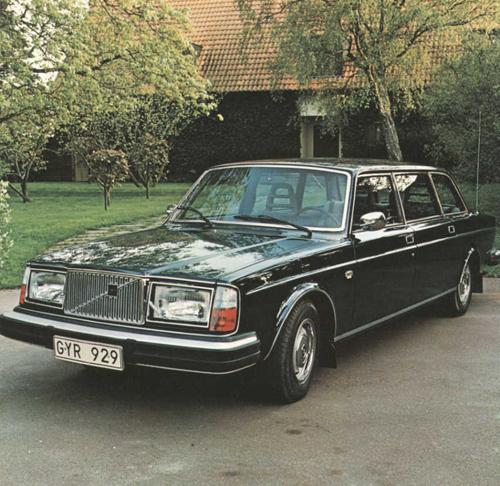 1978 – Volvo 245 Transfer, same airport in Göteborg? 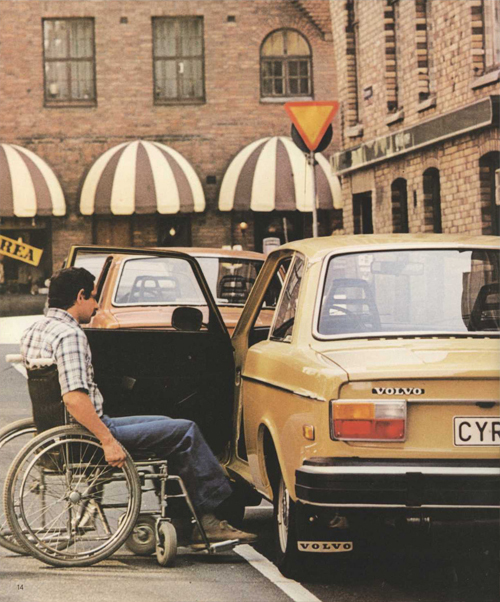 1978 – Volvo 244 DL Disabled Driver Car, somewhere in Göteborg, but where? 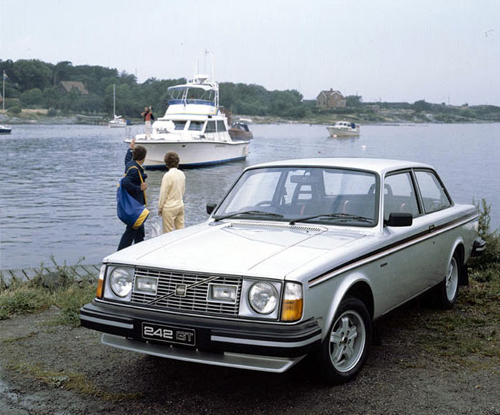 1979 – Volvo 242GT, somewhere on the coast near Göteborg? 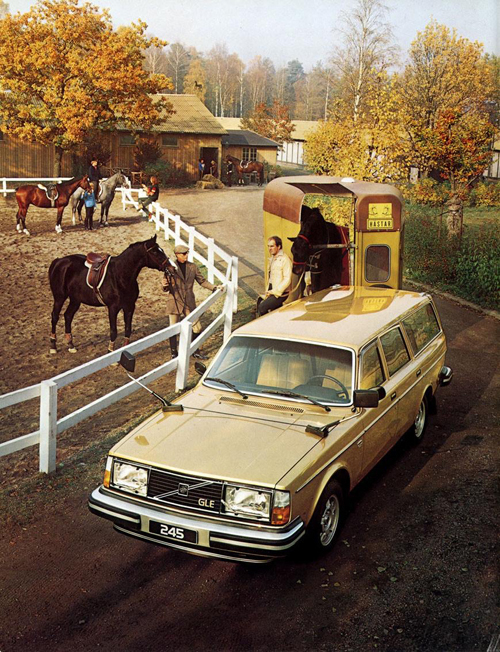 1979 – Volvo 245 GLE with horse trailer, somewhere on Hisingen or in Göteborg? 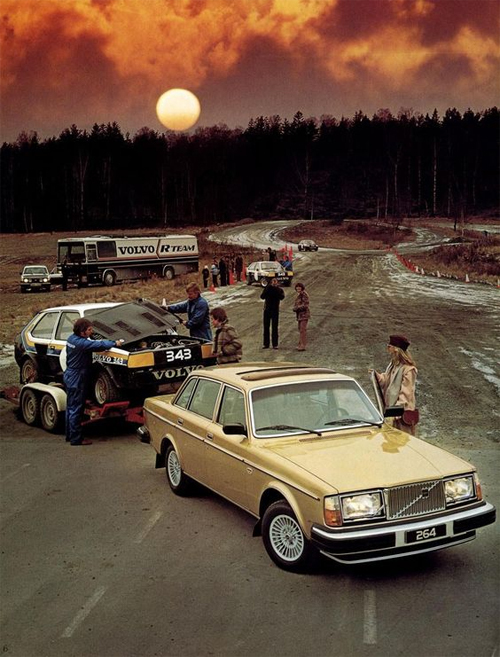 1979 – Volvo 264 GLE with Volvo 343 Rally at a race or rally track somewhere in Sweden, where? 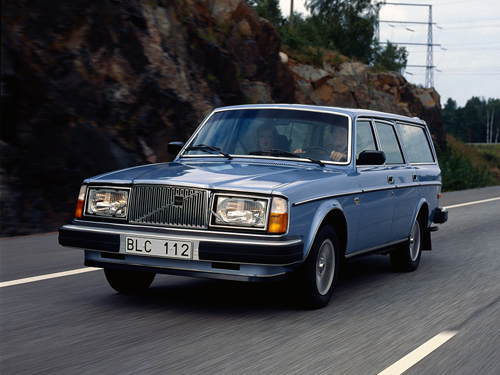 1979 – Volvo 244 GLE D6 with Polar 670 Husvagn, somewhere in the north of Sweden? 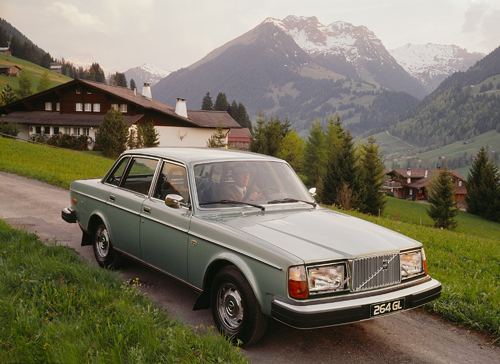 1979 – Volvo 265 GL somewhere in the Swiss, French or Austrian Alps? 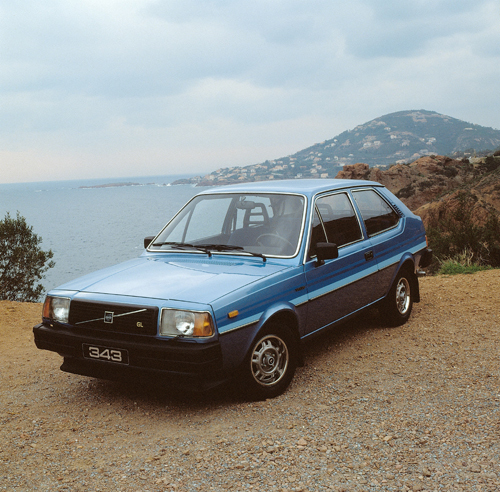 1980 – Volvo 343 Blue Special somewhere in at the coast in south of Europe, Italy, Portugal or Spain? 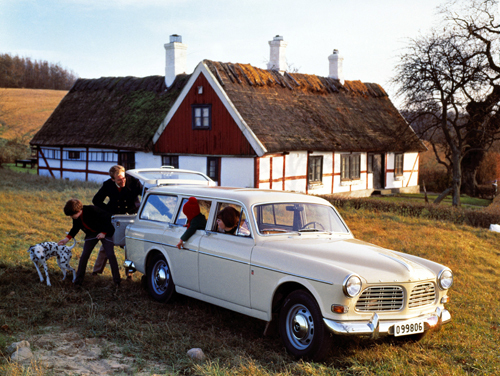 1980 – Volvo 262C, somewhere in Skåne near Höganäs? 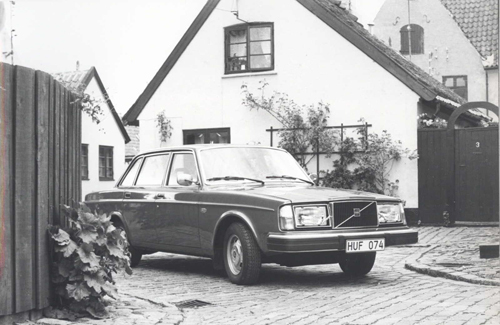 1980 – Volvo 265 GLE, somewhere on Hisingen in Sweden? 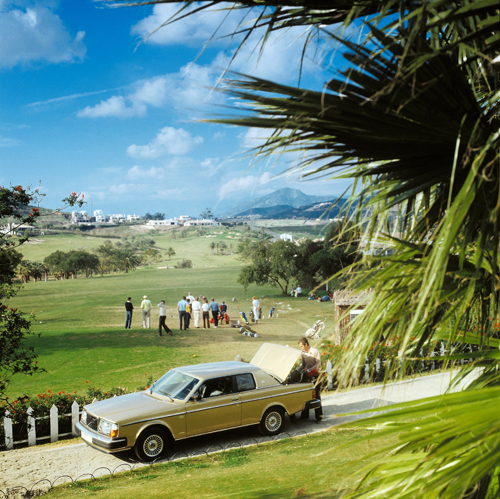 1980 – Volvo 262C at a golf club somewhere in Spain, Marbella? 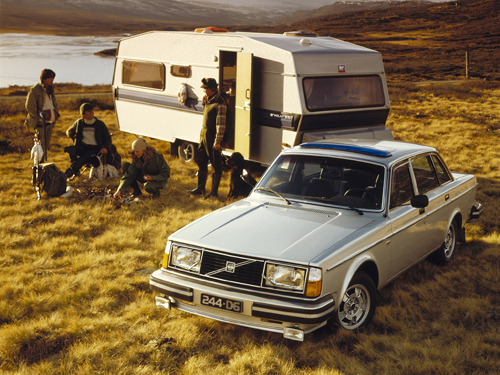 1980 – Volvo 264 GLE in Norway or also in Scotland? 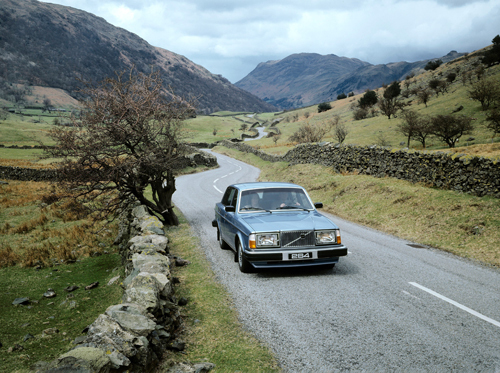 1980 – Volvo 264 GLE somewhere in England or Scotland? 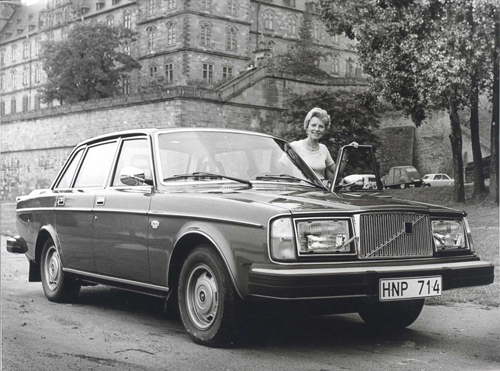 1980 – Volvo 264 GLE somewhere in Scotland. at the same mansion as above! 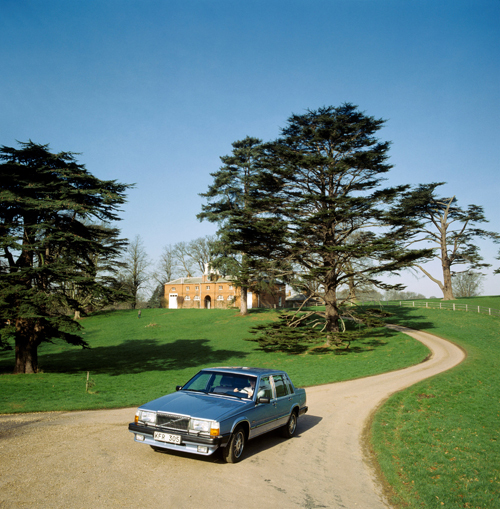 1980 – Volvo 264 GLE, somewhere in England? 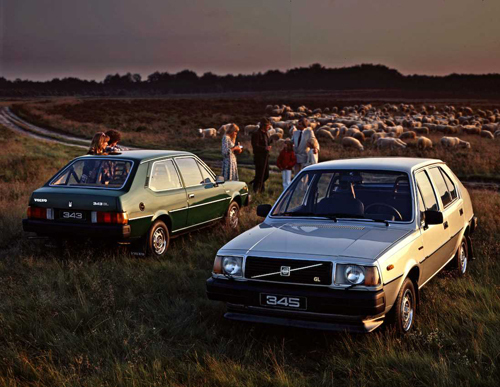 1981 – Volvo 345 GLS, somewhere in the south of the Netherlands or Belgium? 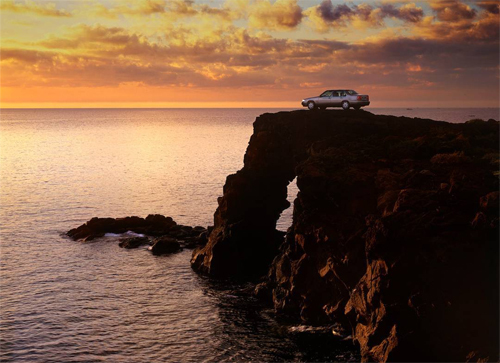 1981 – Volvo 265 GLE on Swedish west coast but where? 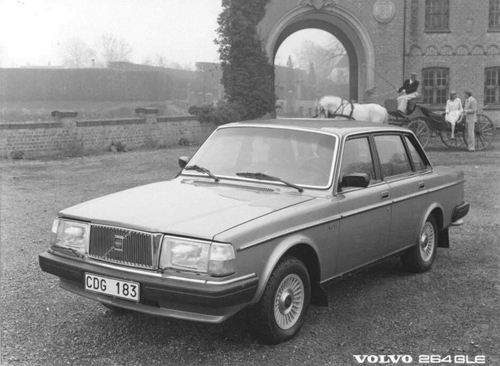 1982 – Volvo 264 GLE, somewhere at a slott in Sweden, but where? 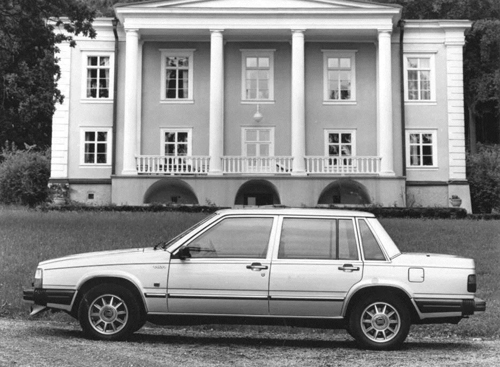 1982 – Volvo 760 GLE, also at some country house or herrgård in Sweden, but where? 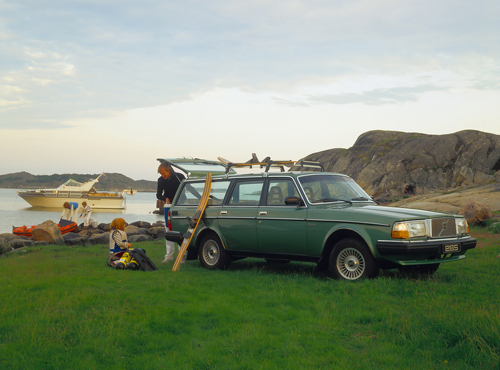 1983 – Volvo 240 GL at Kullaviks Hamn or another west coast harbor? 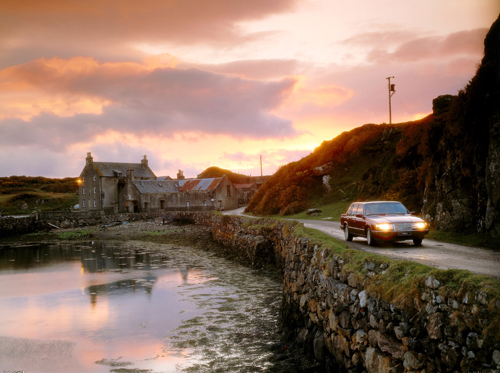 1983 – Volvo 760 GLE, somewhere in Scotland or England? 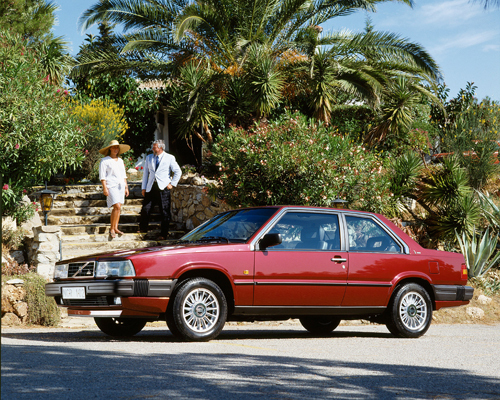 1985 – Volvo 780, somewhere on the Cote d’Azur near Nice? 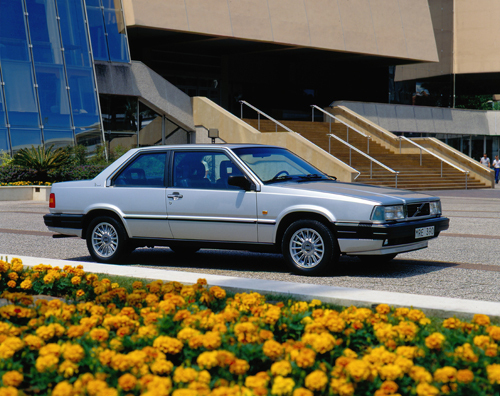 1985 – Volvo 780, it looks like it is in front of the Palais des Congrès Acropolis on the Esplanade John Fitzgerald Kennedy in Nice, but I can’t find the right spot on Google Streetview! 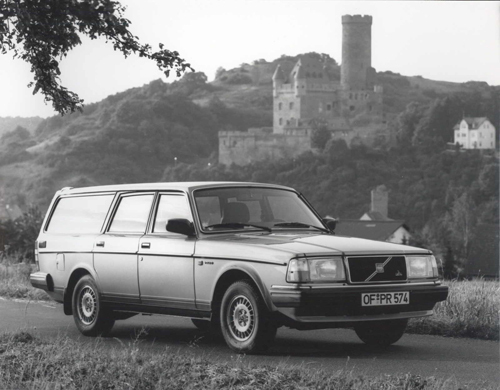 1987 – Volvo 240 Estate, somewhere in Germany or is it England? 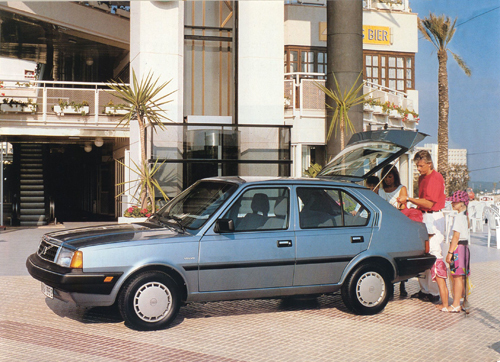 1988 – Volvo 480 ES, somewhere in Spain or Portugal? 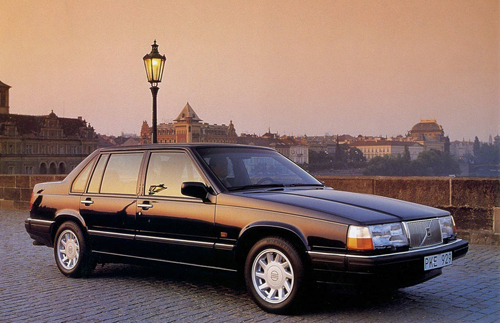 1989 – Volvo 740 Turbo, somewhere in Norway, France or Switzerland? 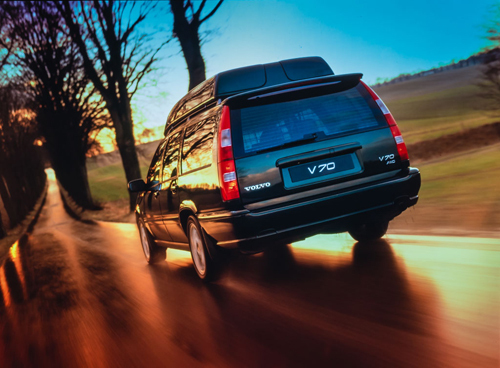 1990 – Volvo 760 GLE somewhere in England or Scotland? 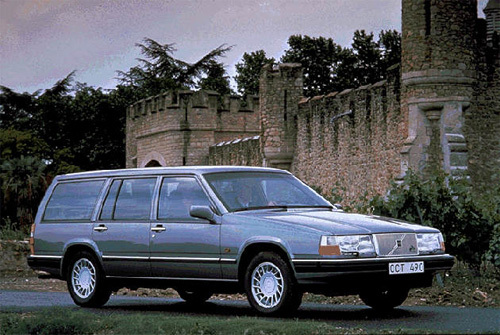 1990 – Volvo 960, somewhere in Germany, Austria or where? 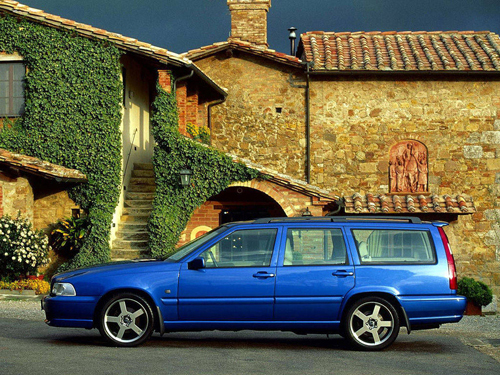 1990 – Volvo 960 Estate, somewhere in England? 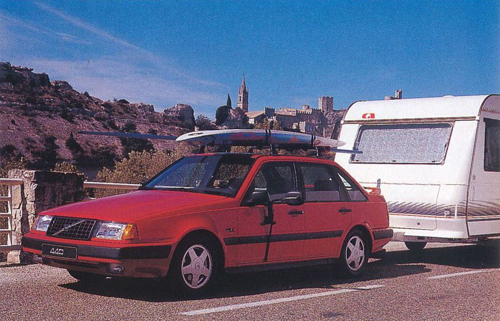 1990 – Volvo 480 Turbo , somewhere in south Europe? 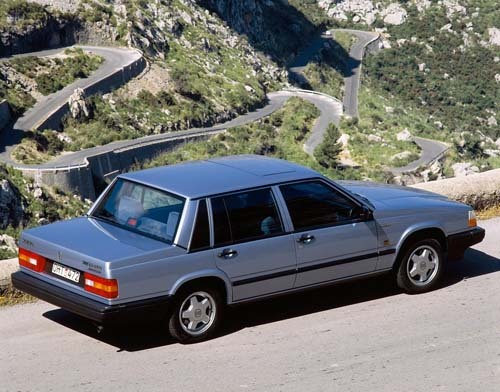 1991 – Volvo 340, where is this 5 doors small Volvo parked, somewhere in Spain? 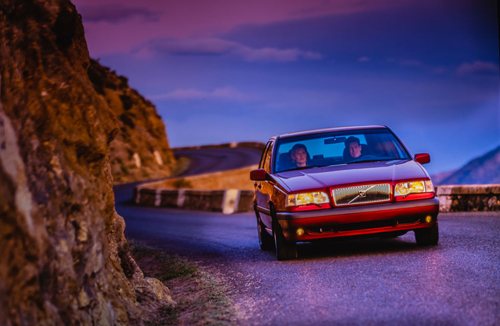 1991 – Volvo 440, somewhere in Toscane, Italy? 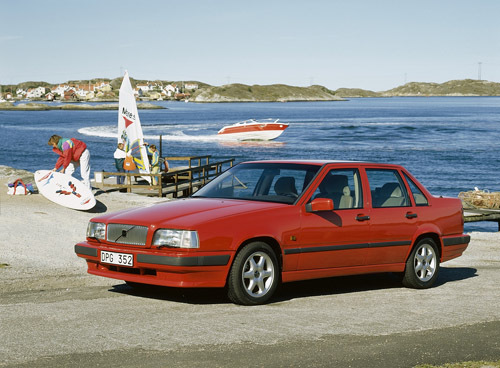 1991 – Volvo 940, somewhere on Gotland? 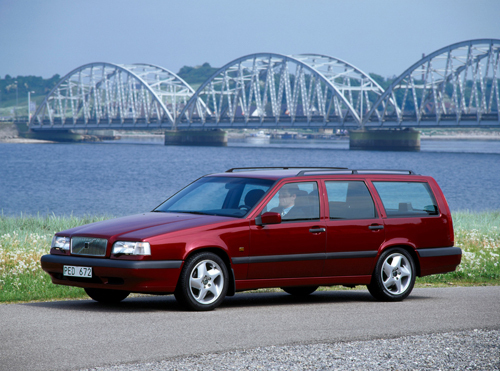 1991 – Volvo 850 near the coast north or south of Göteborg? 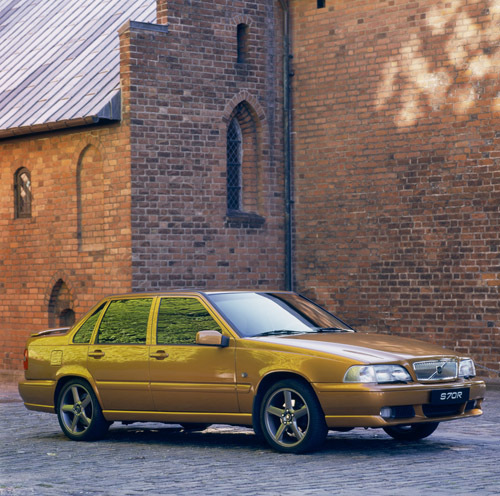 1994 – Volvo 850 Turbo, could this be at the Bergnäsbron in Luleå, Sweden? 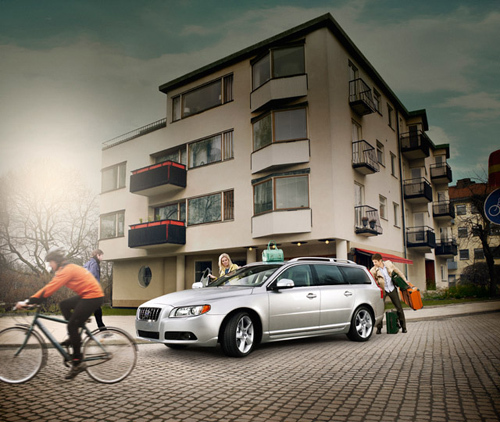 And if so, would it be at the Bergnäs side or Luleå side of the bridge? 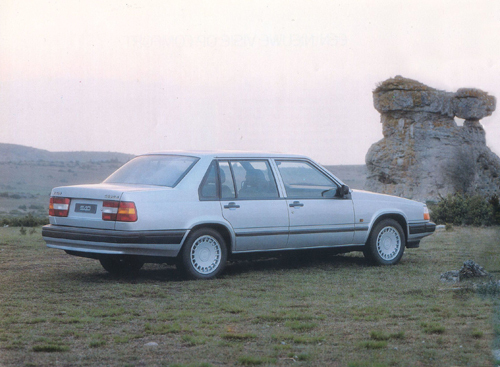 1994 – Volvo 960 at a cliff near Catania in Italy, but where? 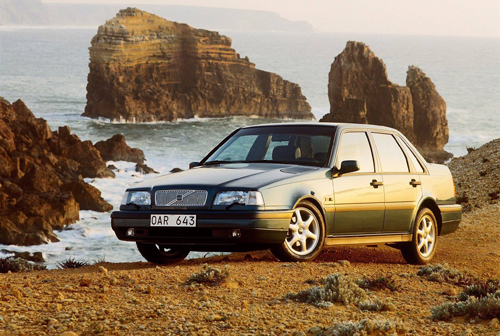 1994 – Volvo 460 at rocky coast, maybe also near Catania in Italy? 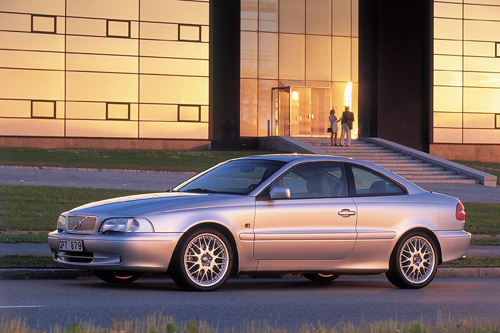 1995 – Volvo S40 somewhere in Sweden? 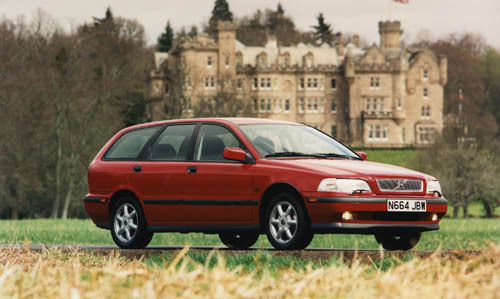 1995 – Volvo V40 somewhere in the south of France, Italy or Spain? 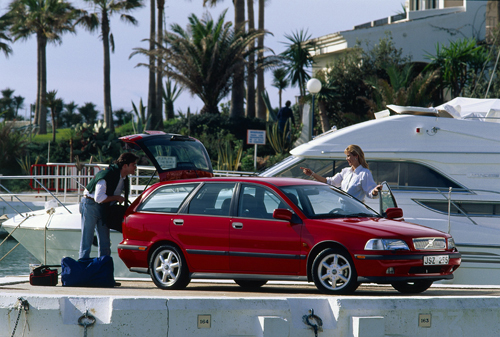 1996 – Volvo V40 in Spain, but where (Photography by Lennart Ström)? 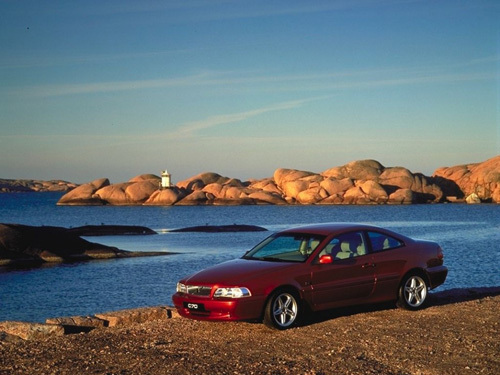 1996 – Volvo C70 somewhere at the coast of West Sweden, maybe at a small lighthouse near Marstrand? 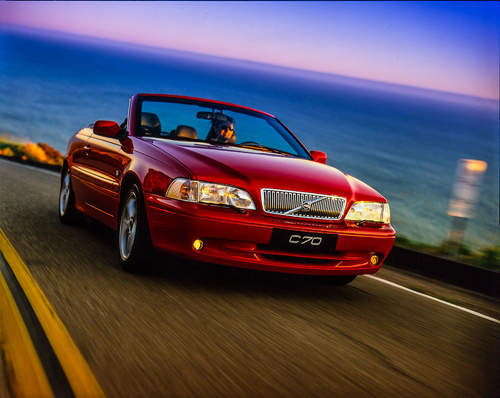 1997 – Volvo C70 Coupe at modern office building with sunset, but where? 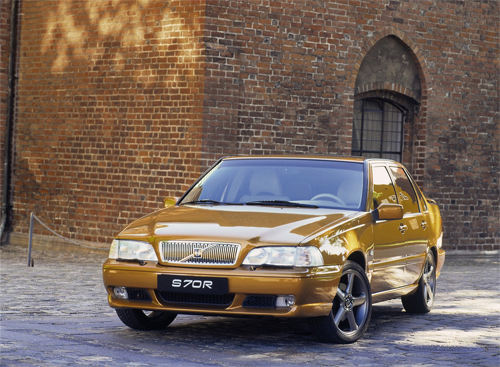 1996 – Volvo 850 R Right Hand Drive, somewhere in England or Japan? 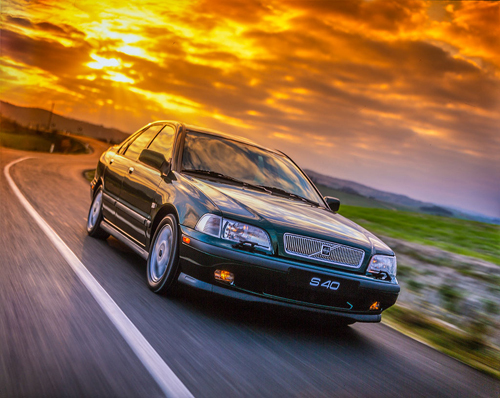 1998 – Volvo S70 somewhere in Spain, but where (Photography by Lennart Strom)? 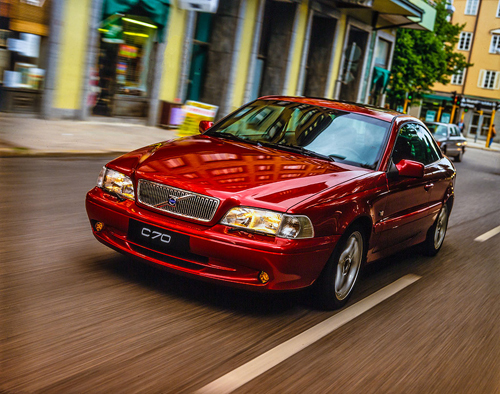 1998 – Volvo S70 R, somewhere in Spain, but where? 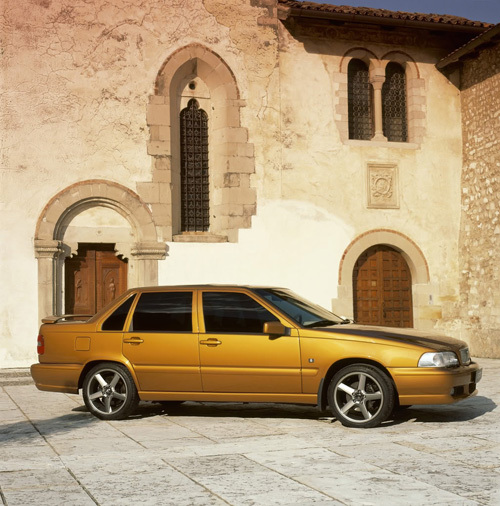 1997 – Volvo S70R, also in the same village as above, in Italy or Spain? 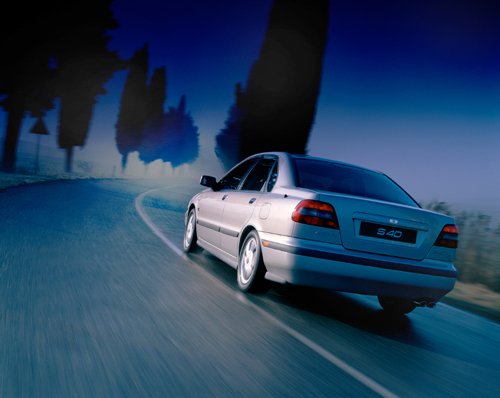 1998 – Volvo S70R, maybe somewhere in Italy or Spain? 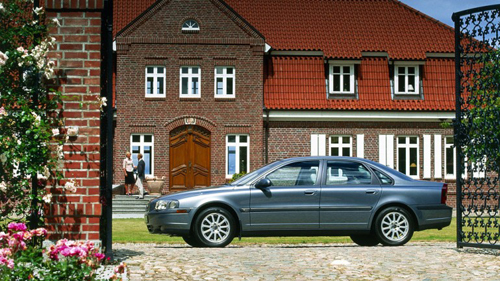 1998 – Volvo S80 somewhere in Sweden, at an hotel, conference center or a school? 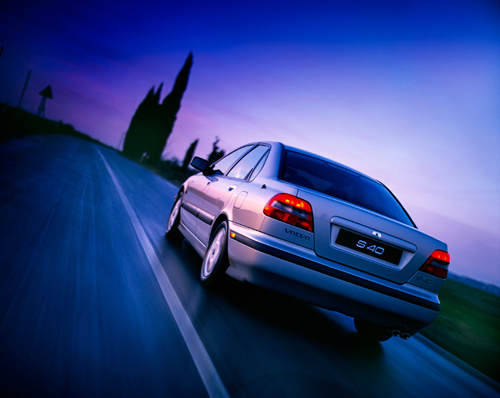 2004 – Volvo S80 Executive somewhere in LA or SF, USA? 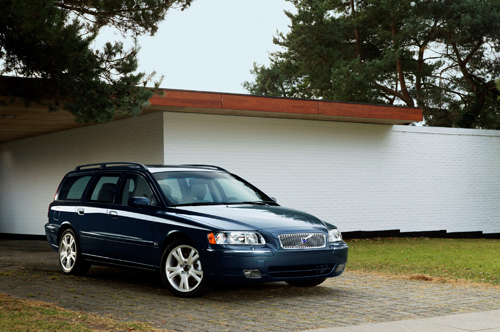 2005 – Volvo V70, somwhere at a villa north of Copenhagen? 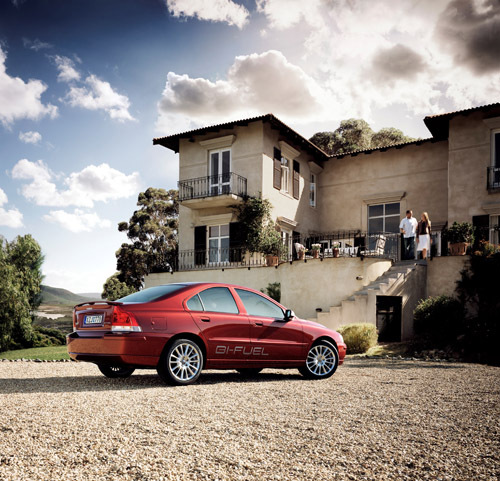 2005 – Volvo S60, somewhere in Tuscany, Italy? 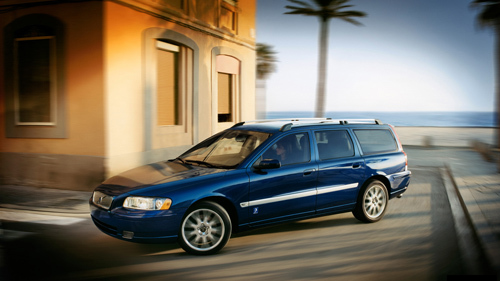 2005 – Volvo V70 Ocean Race, somewhere near Cape Town or Vigo in Spain? 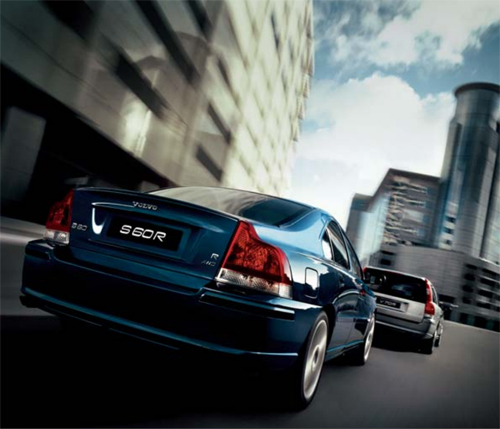 2006 – Volvo S60R and V70R somewhere in Cape Town in South Africa? 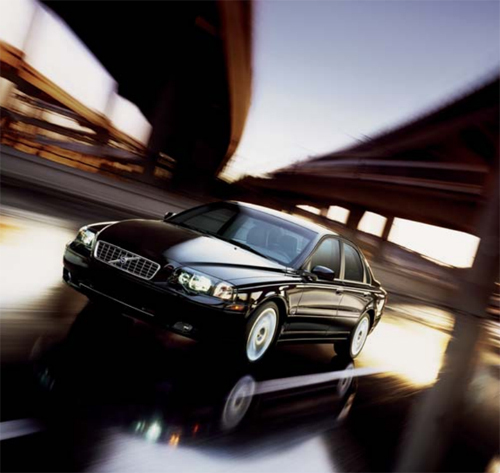 2006 – Volvo S80 on Freeway in Los Angeles USA, but where? 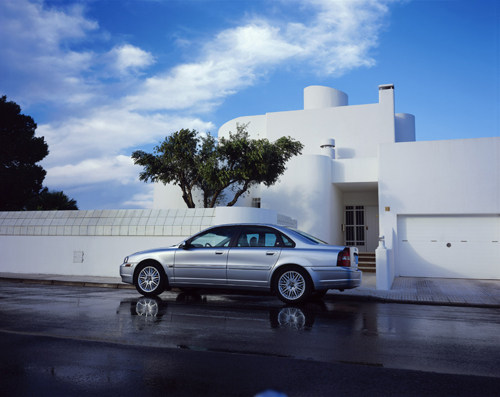 2006 – Volvo S80 at amazing white building near LA, but where? 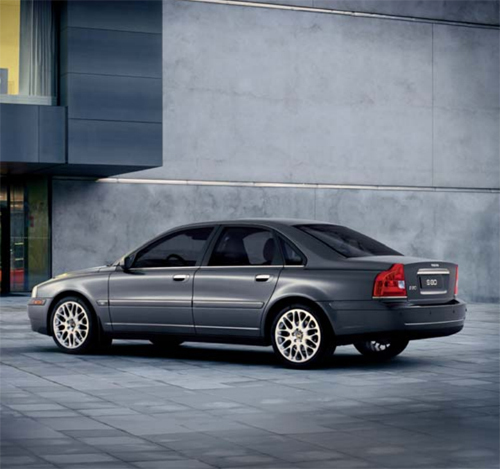 2006 – Volvo S80 at airport in Los Angeles USA, but which? 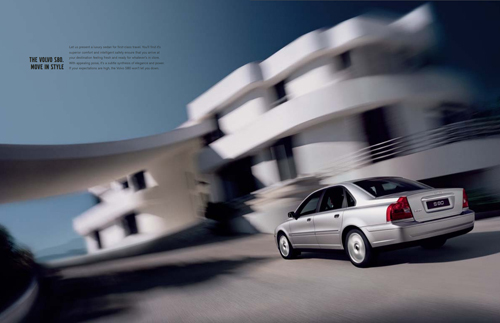 2006 – Volvo S80 at modern building somewhere in Los Angeles USA, but where? 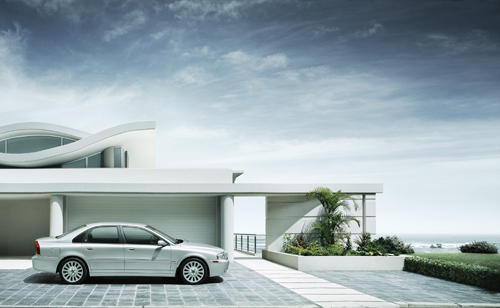 2006 – Volvo S80 at mansion somewhere near Los Angeles USA, but where? 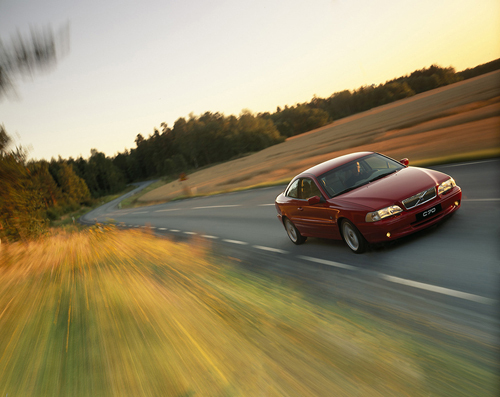 2008 – Volvo S60, somewhere in Göteborg, but where? 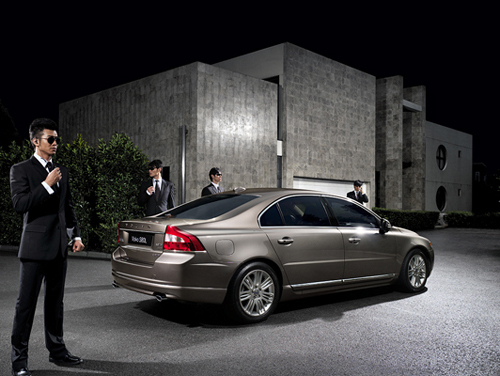 2009 – Volvo S80L, somewhere at a villa in China or? 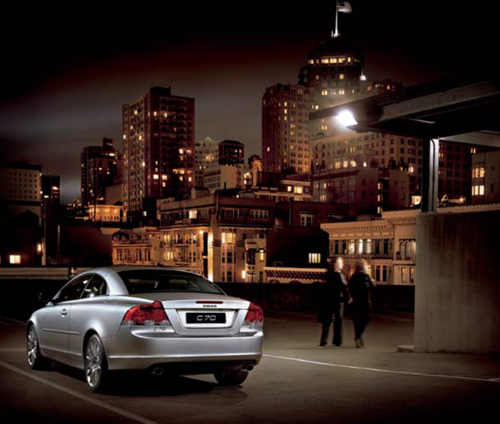 2009 – Volvo C70, somewhere in Los Angeles or San Francisco? 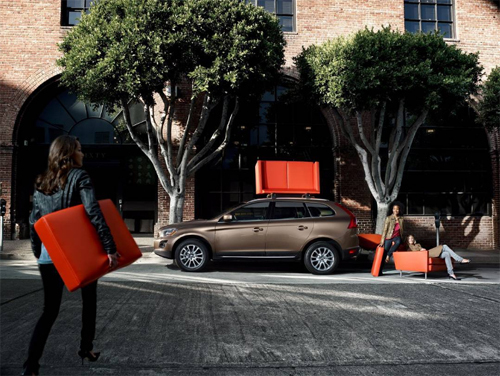 2009 – Volvo XC60 , somewhere in SF or LA in California? 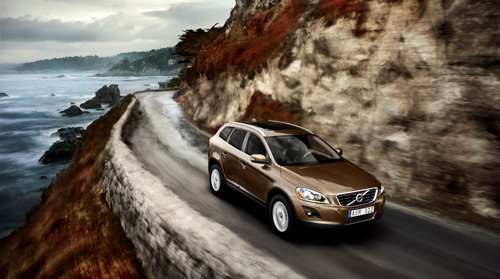 2009 – Volvo XC60 somewhere along the coast between Los Angeles and San Francisco? 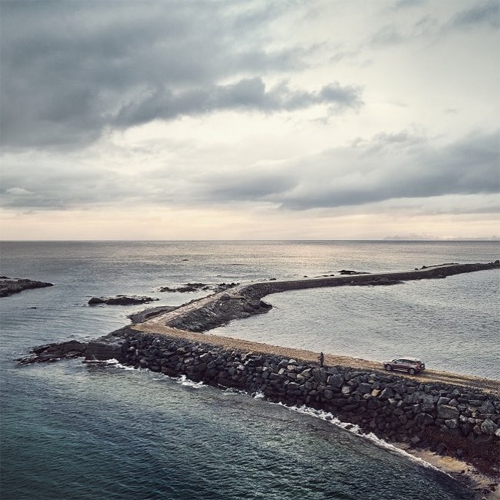 2010 – Volvo C30, somewhere at the coast near Barcelona in Spain, but where? 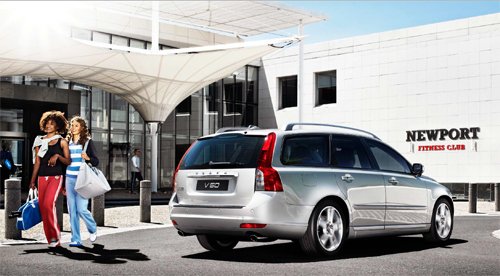 2012 – Volvo V50 somewhere in Cape Town in South Africa, but where is or was this Newport Fitness Club? 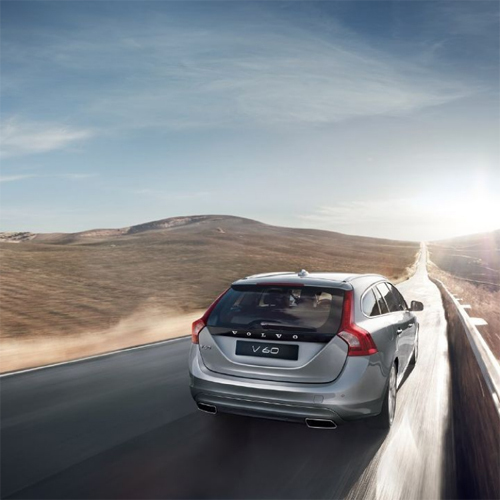 2012 – Volvo V50 somewhere in Cape Town in South Africa, with the Table Mountain in the background, which road? 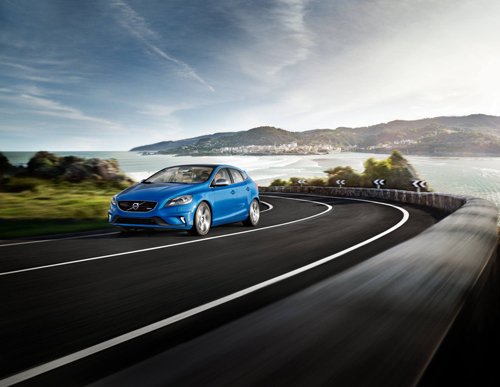 2012 – Volvo V40 R-Design at coastal road somewhere near Barcelona or else in Spain? 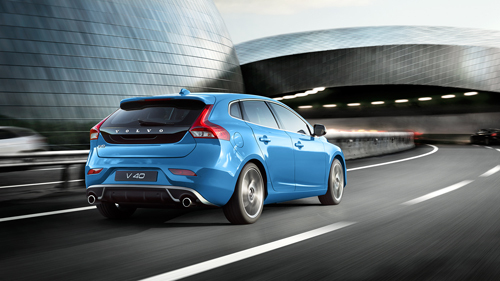 2012 – Volvo V40 RebelBlue R-Design, might be in Zaragoza in Spain, but where? 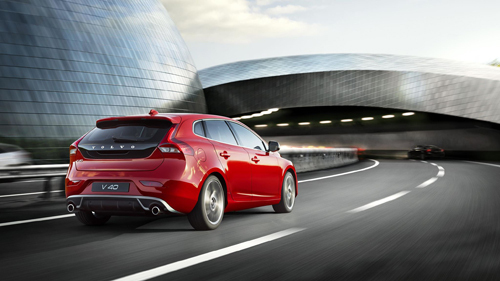 2012 – Volvo V40 R-Design, might be in Zaragoza in Spain, but where? 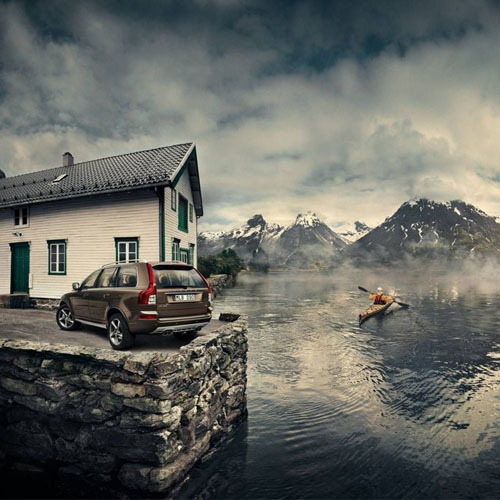 2012 – Volvo XC90 in a beautiful spot, must be Norway, but where…? 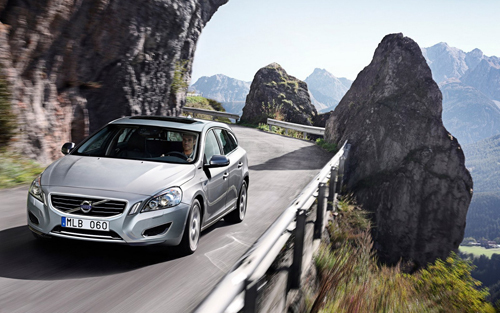 2012 – Volvo V60 D6 Plug-in Hybrid, close to Lago di Sankt Moritz – CH? 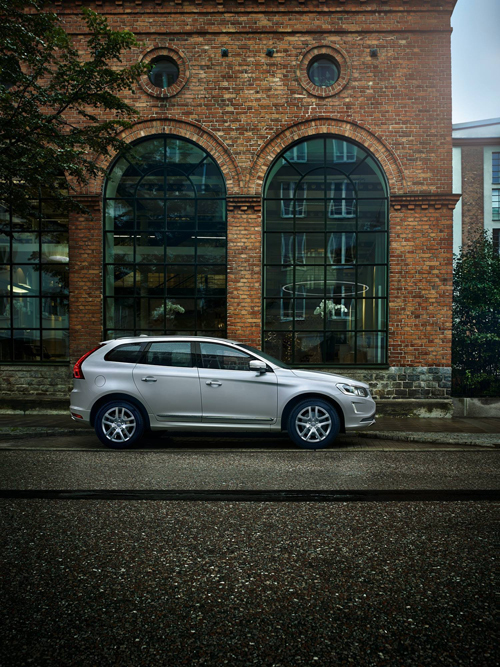 2012 – Volvo XC60, at same place as above, but where? 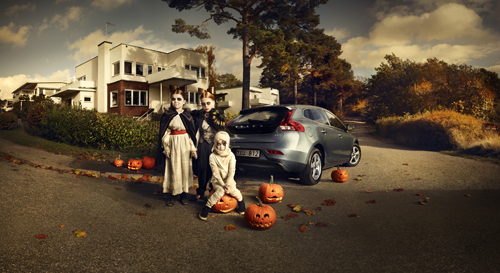 2012 – Volvo V40 with Halloween, somewhere in the Stockholm area, Täby Nasby Park or Nacka? 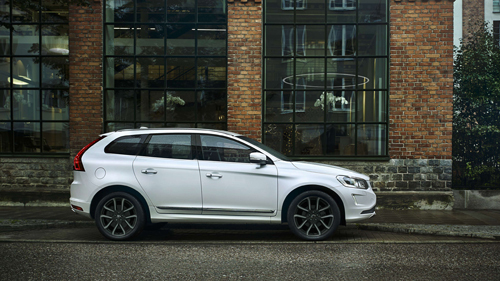 2012 – Volvo XC60 R-Design, somewhere in Stockholm, Södermalm or Östermalm? 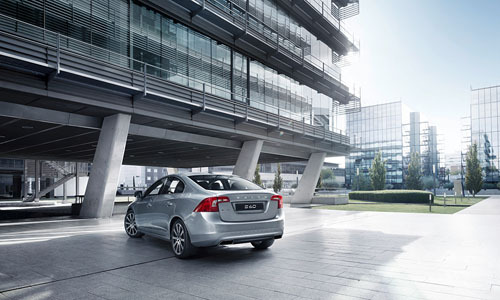 2012 – Volvo S80 at airport, maybe Bromma or Arlanda? 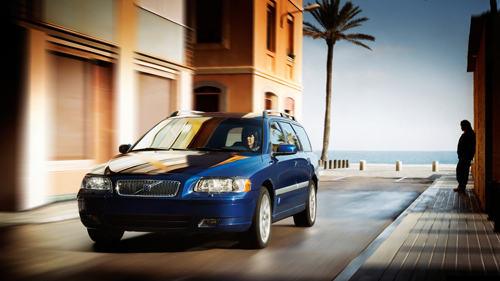 2013 – Volvo V60, somewhere in the harbor of Los Angeles, Long Beach maybe? 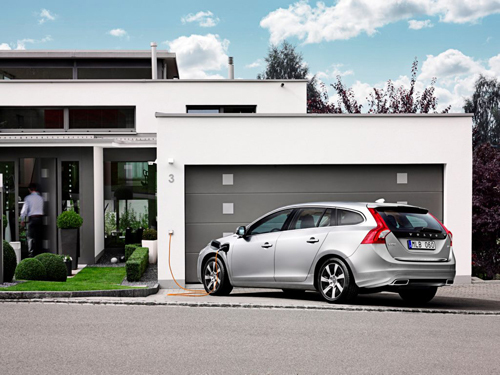 2013 – Volvo V60 Hybrid, somewhere in Switzerland? 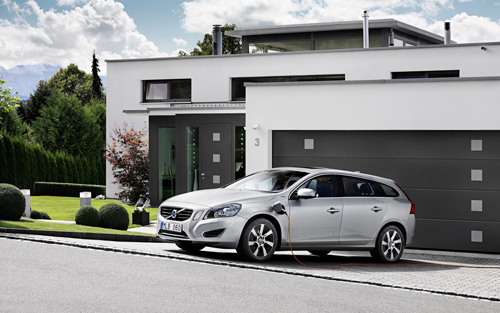 2013 – New Volvo V60 Plug In Hybride, somewhere in Zurich? 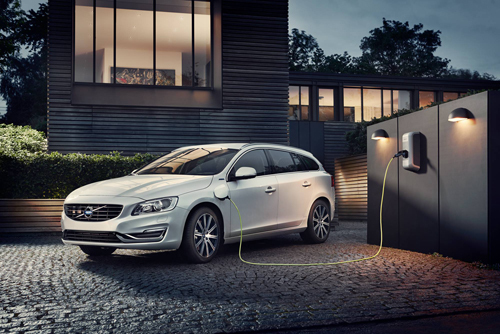 2013 – Same Volvo V60 Plug In Hybride, also in Zurich? 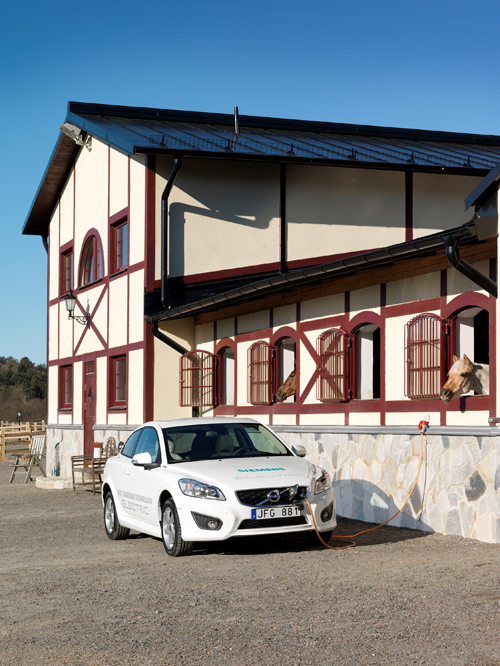 2013 – Volvo C30 Electric Generation II somewhere at stables in Halland? 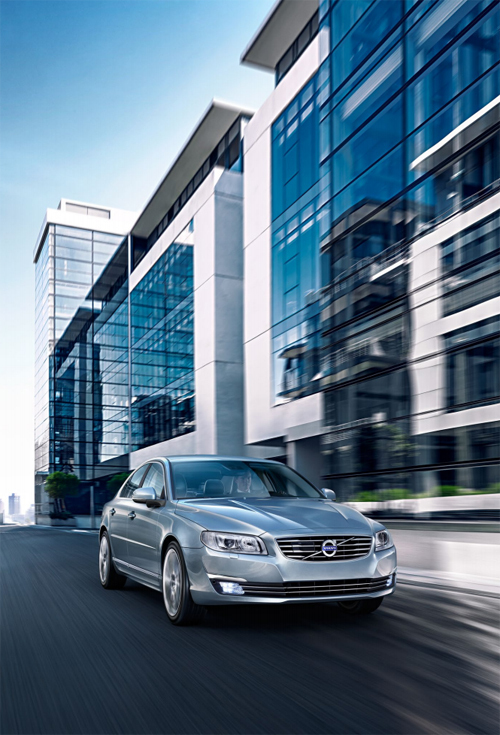 2014 – Volvo S80, maybe in Copenhagen or Hamburg? 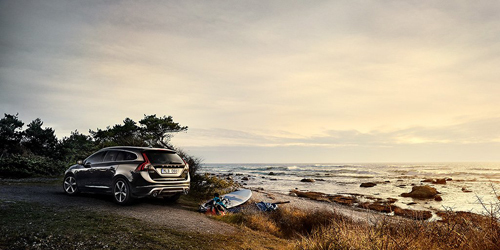 2014 – Volvo XC60, somewhere in Spain? 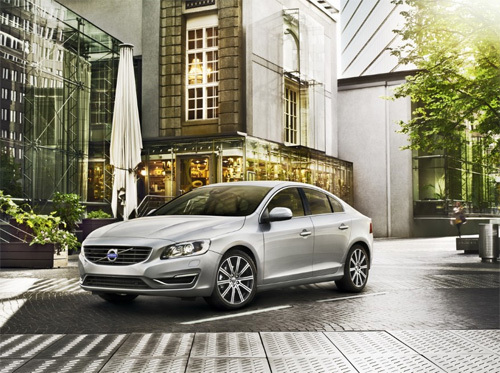 2014 – Volvo S60, somewhere in Hamburg, Germany? 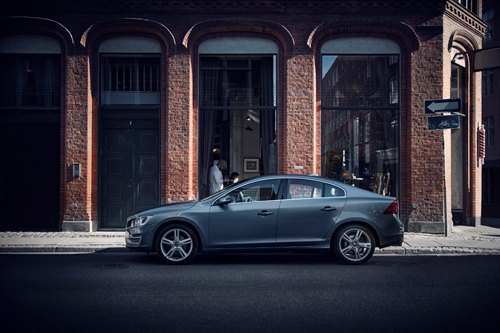 2015 – Volvo XC60, somewhere in the same area in Copenhagen as above? 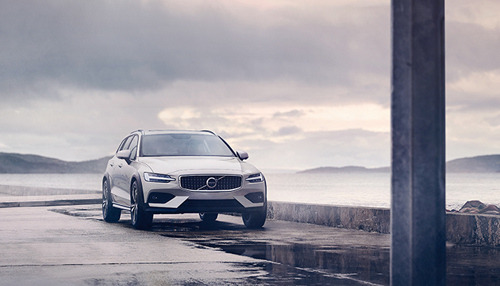 2015 – Volvo XC60, somewhere in Göteborg? 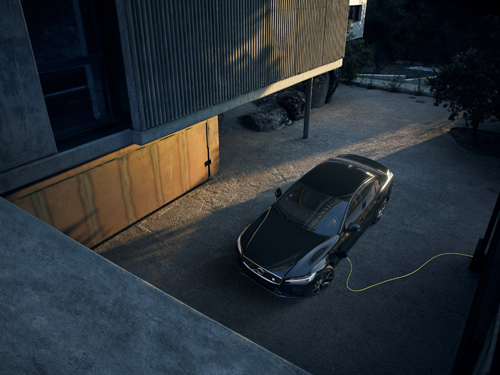 2015 – Volvo XC60, do you know where this is? 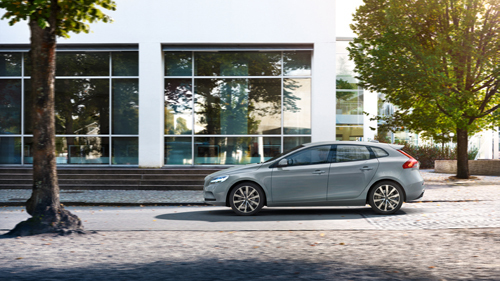 2015 – Volvo V40, somewhere in Italy or Spain? 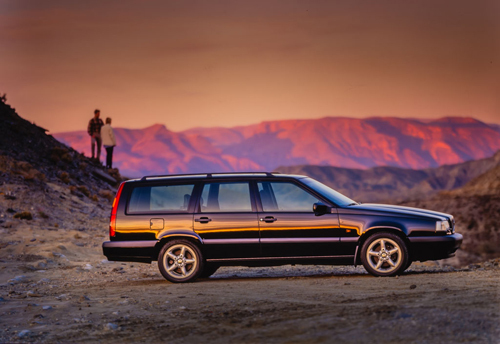 2015 – Volvo XC90, somewhere along a scenic road in Norway, but where? 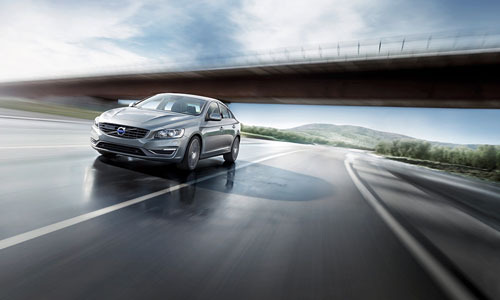 2015 – Volvo S60, somewhere in Spain or Italy? 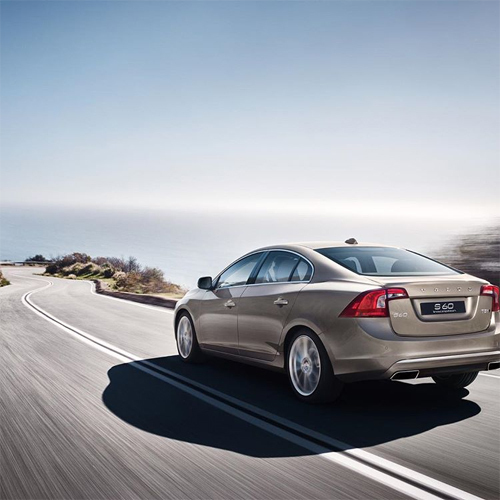 2015 – Volvo S60, somewhere in Spain, maybe Barcelona? 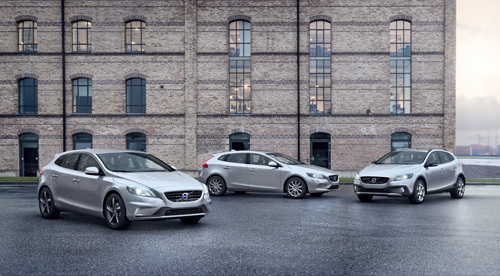 2015 – Volvo XC60, S60 and V60, somewhere in Göteborg or Borås? 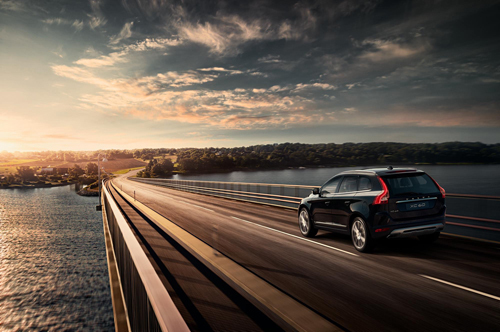 2015 – Volvo XC60, somewhere driving down a bridge in Sweden or Norway. 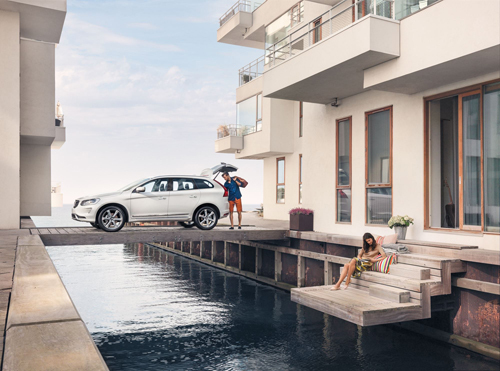 Do you know where? 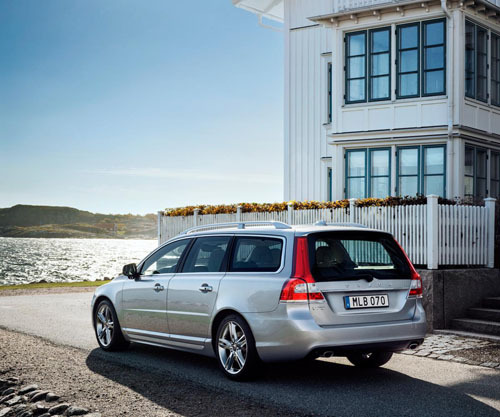 2015 – Volvo V70, somewhere on Marstrand or any other place on the west coast? 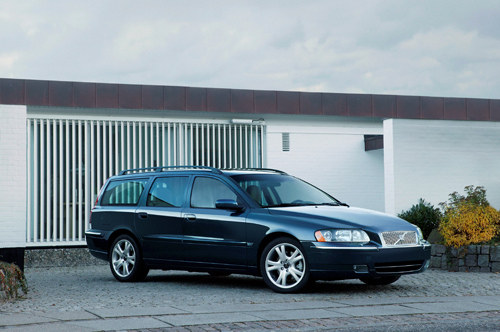 2015 – Volvo V70, same place Marstrand maybe? 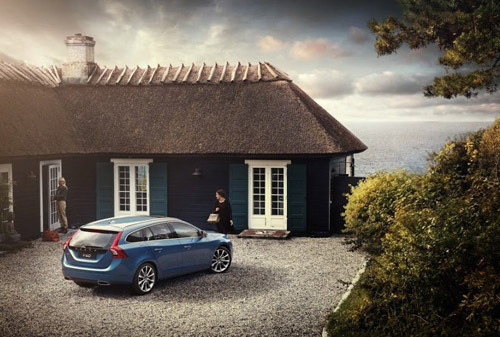 2015 – Volvo V60, somewhere in Denmark near the coast? 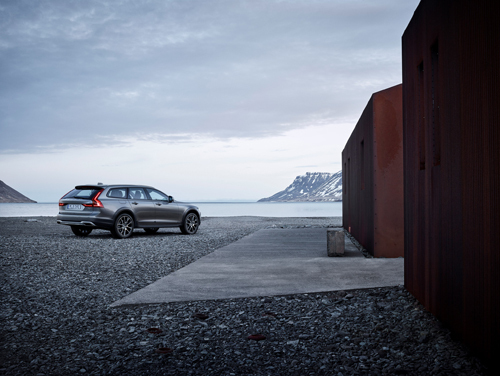 2015 – Volvo V60 Cross Country, somewhere on the Lofoten in Norway, but where? 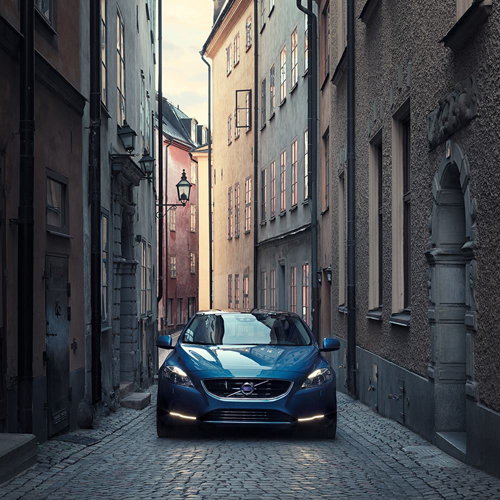 2015 – Volvo V40, somewhere in Gamla Stan Stockholm, but what street? 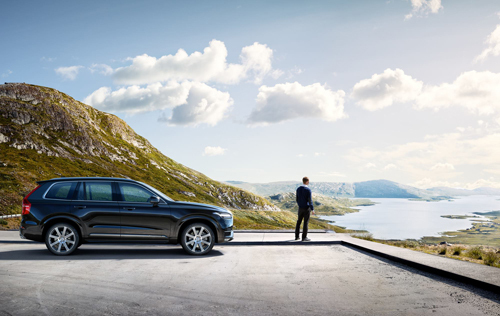 2016 – Volvo XC90 somewhere in Norway at an exciting viewpoint, but where? 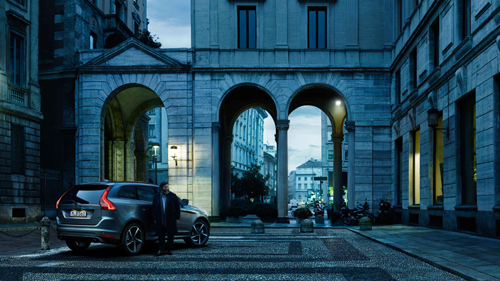 2016 – Volvo XC60 from the Volvo Campaign Made by People, this was Made by Italy. 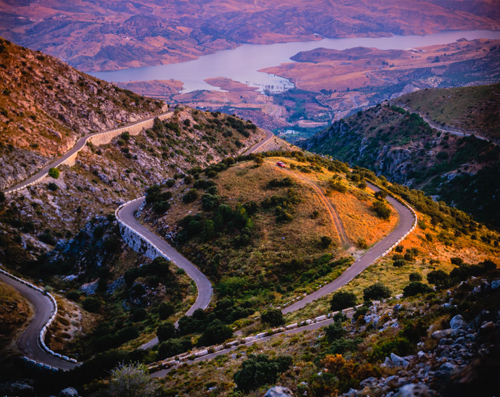 But where in Italy is this, Rome, Milan or Turin? 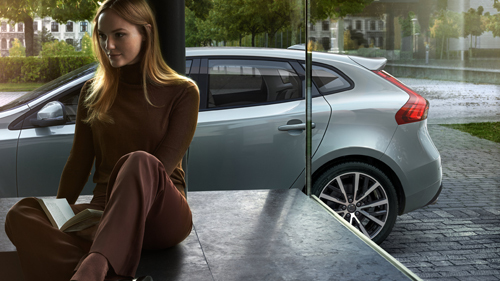 2016 – Volvo V90, somewhere in Lund? 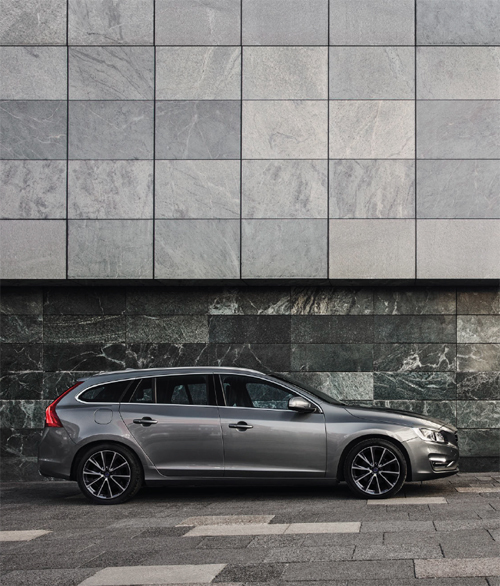 2016 – Volvo V60 somewhere in Copenhagen, Denmark? 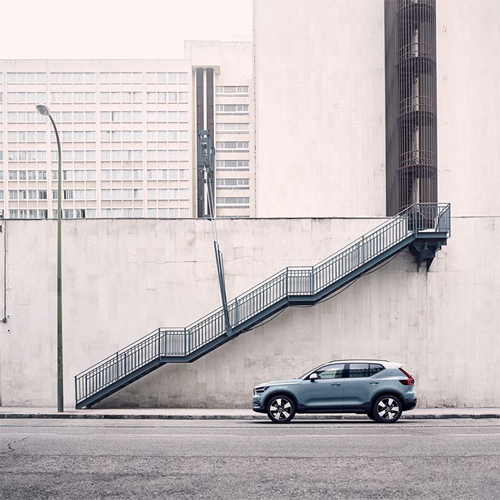 2016 – Volvo XC60, somewhere in Barcelona, but where? 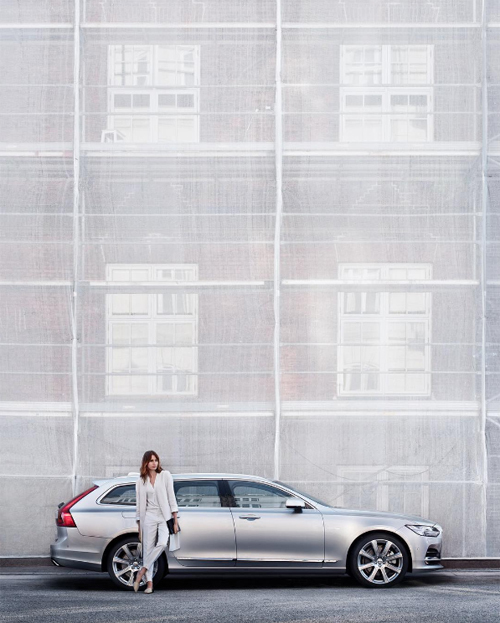 2016 – All new Volvo S90 and V90, somewhere on a off-street parking in Copenhagen? 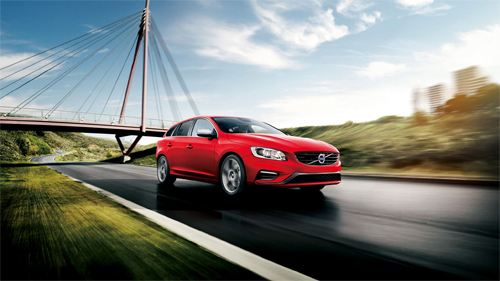 2016 – Volvo V60 R-Design on the road with a remarkable bridge, but where? 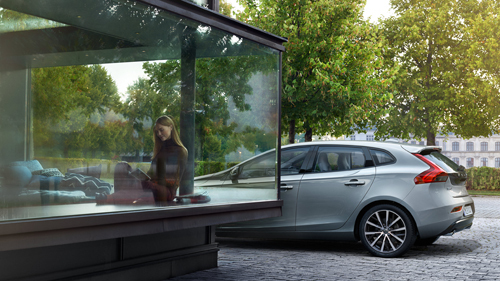 2016 – Volvo V40, somewhere in Sweden or Denmark, but where is she sitting? 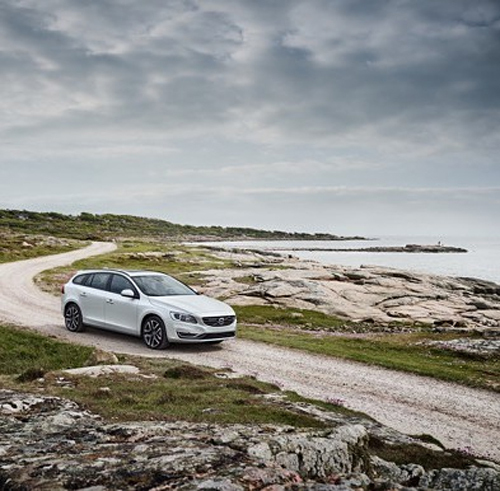 2016 – Volvo V60 PIH, somewhere on the west coast in Sweden or the eastcoast of Denmark? 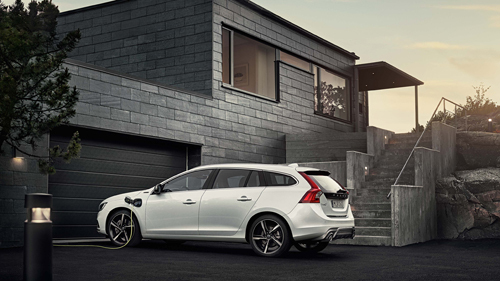 2016 – Volvo V60 Twin Engine at the same black house, but where? 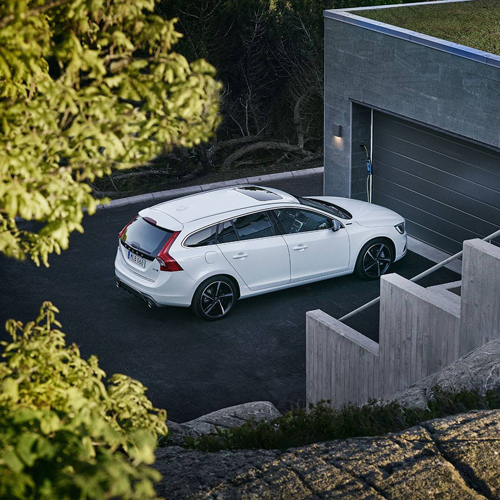 2016 – Volvo V60 Twin Engine, at another villa, but where? 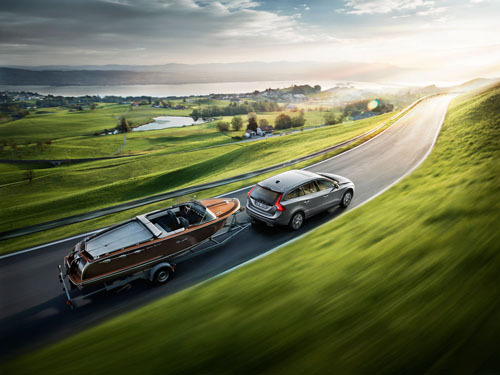 2016 – Volvo V40 & V40 Cross Country, somewhere in the harbor of Hamburg (see the containers in the right corner)? 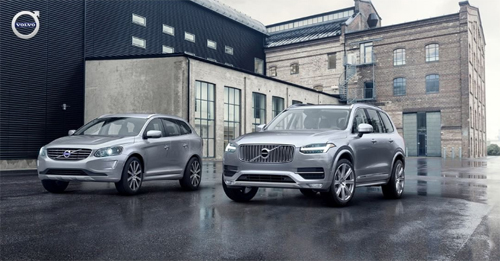 2016 – Volvo XC60 and XC90, where? 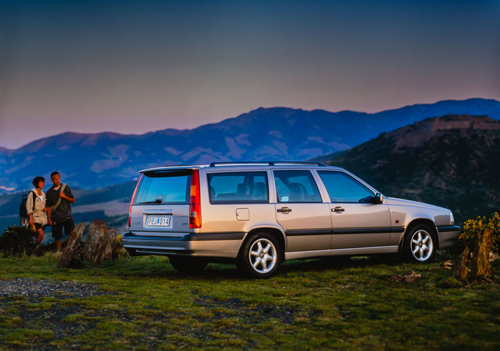 2016 – Volvo V70 Classic somewhere in Göteborg, which street? 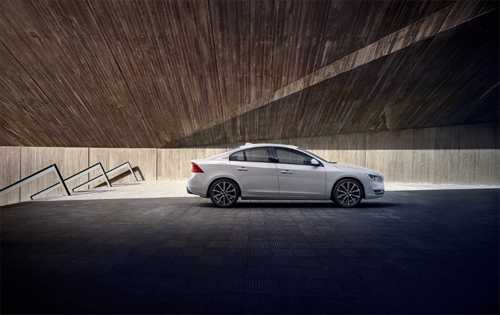 2016 – Volvo S60, maybe somewhere in Barcelona, Spain? 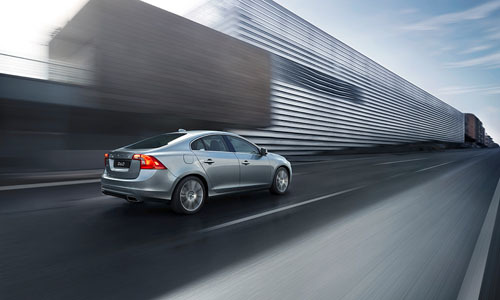 2016 – Volvo S60, maybe somewehere in Barcelona?! 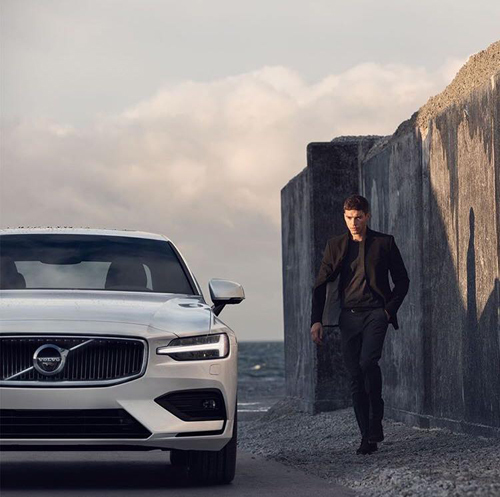 2016 – Volvo V90 Cross Country Polestar, somewhere in Sweden, near a mine or a harbour? 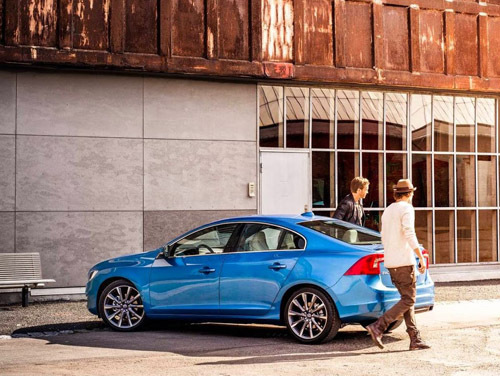 2016 – Volvo S60, looks like in front of a barbershop on a corner in Copenhagen, Denmark? 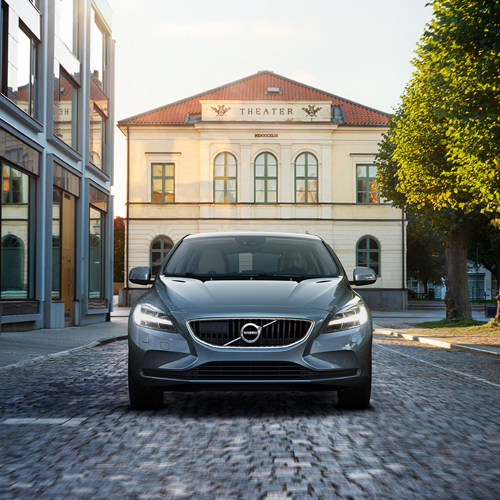 2016 – Volvo V40 somewhere in Sweden or Denmark? 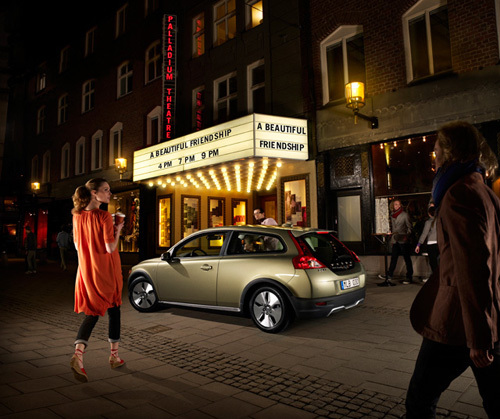 2016 – Volvo V40 at a Theater, but where? 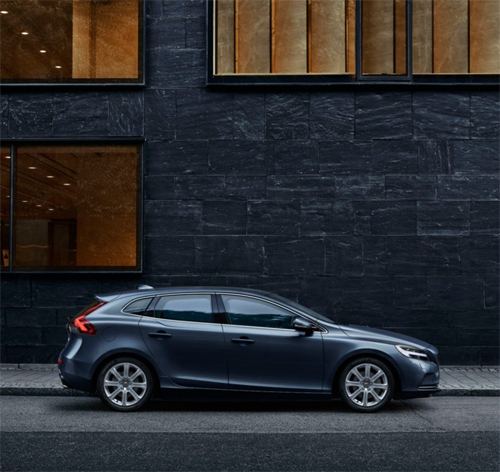 2016 – Volvo V40, somewhere in Copenhagen? 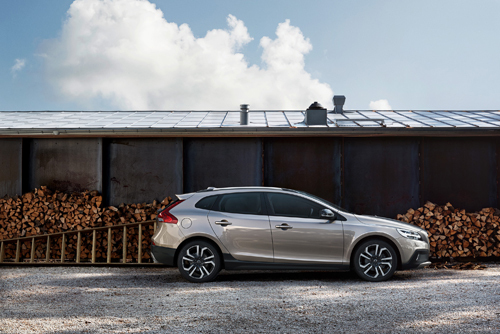 2016 – Volvo V40 Cross Country, somewhere in Sweden or Denmark? 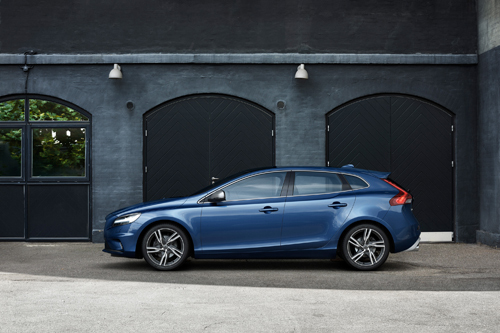 2016 – Volvo V40 R-Design, somewhere in Sweden or Denmark? 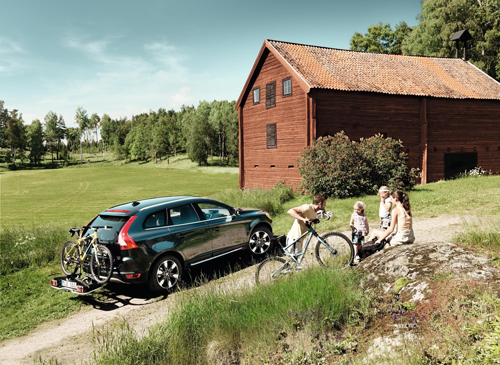 2016 – Volvo V60 Cross Country somewhere in Haväng in Skåne, but where? 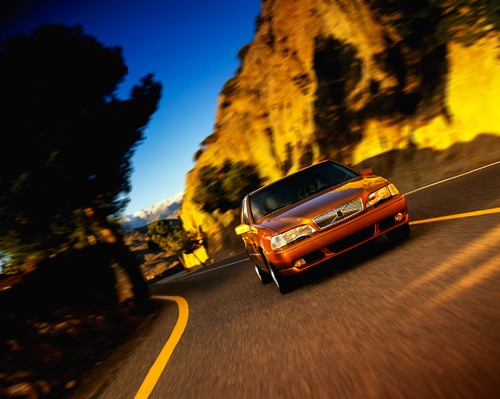 How do you call this hill? 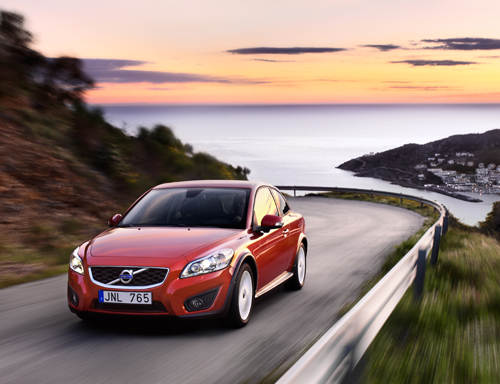 2016 – Volvo V60 D6 Twin Engine, somewhere at the Swedish west coast near Göteborg, but where? 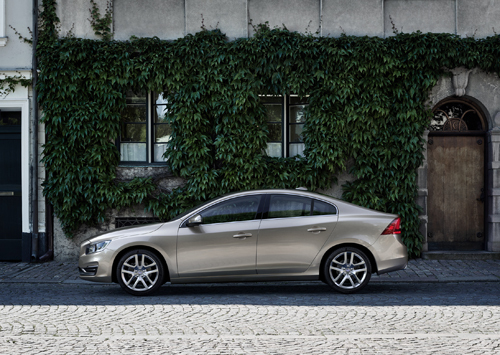 2017 – Volvo S60, somewhere outside a restaurant or cafe in Copenhagen or Malmö? 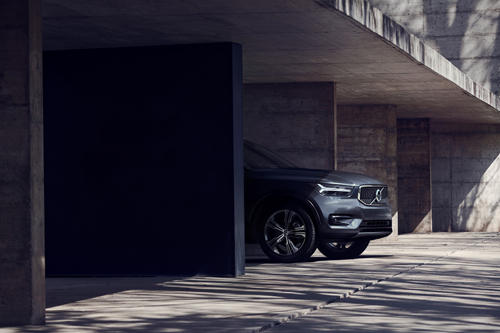 2017 – Volvo XC90 under arch near gray building, on Gotland or is it Danmark? 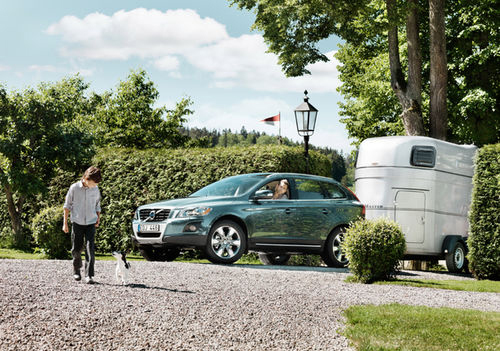 2017 – Volvo XC60 somewhere in Danmark or Sweden? 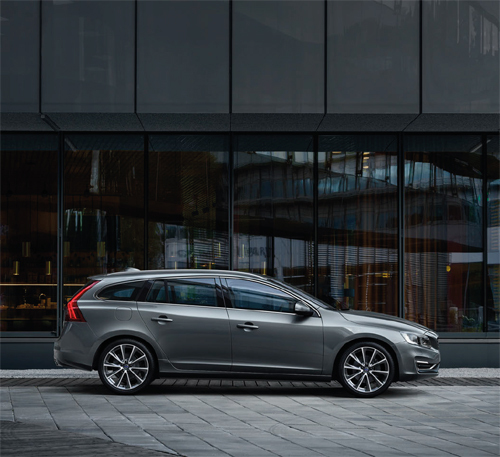 2017 – Volvo V60 but where? 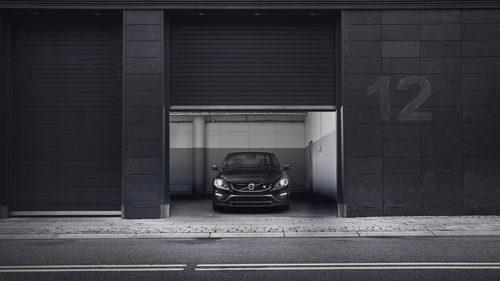 2017 – Volvo V60 Polestar in Copenhagen I think, but where is the garage with number 12 next to it? 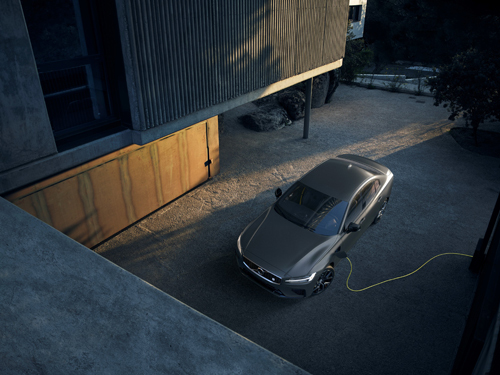 2017 – Volvo S60 Cross Country, but where? 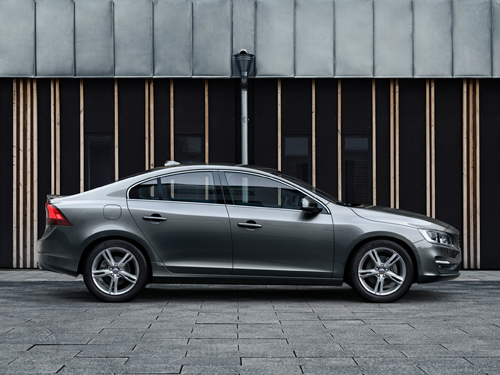 2017 – Volvo S60, but where? 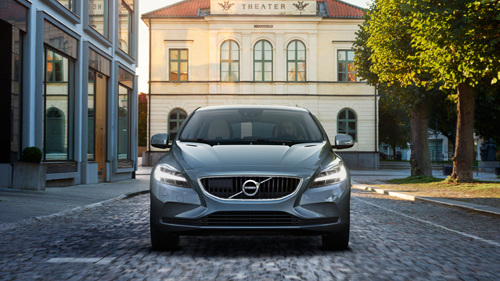 2017 – Volvo V40 in Copenhagen, Stockholm or Göteborg? 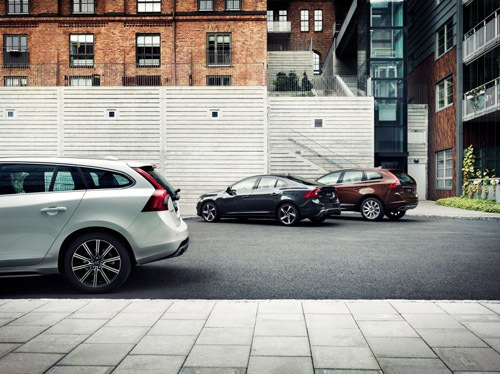 2017 – Volvo V60, maybe in Copenhagen? 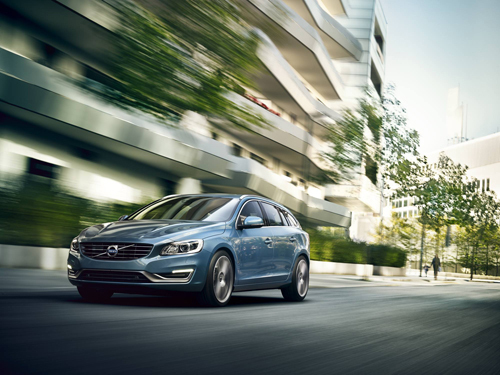 2017 – Volvo V60, in Stockholm or Göteborg or any harbor? 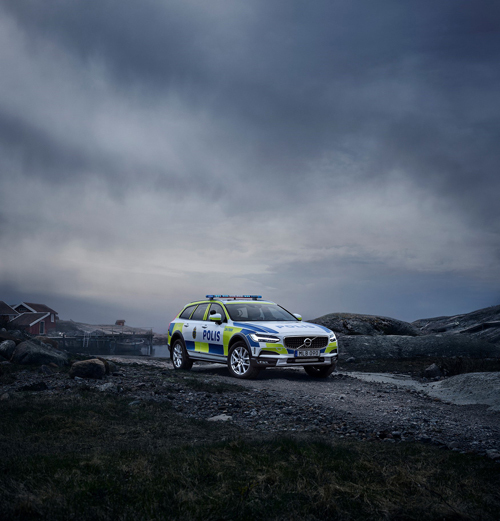 2017 – Volvo V60 Cross Country somewhere in Norway, but where? 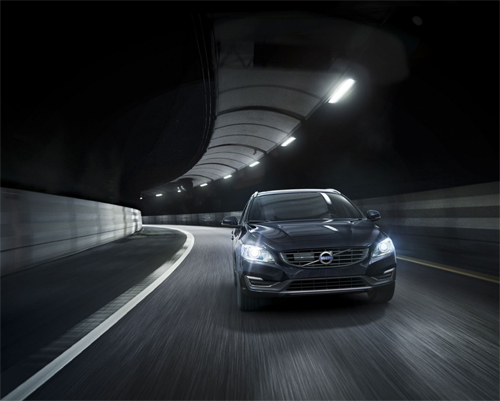 2017 – Volvo V60, maybe in the Götatunnel in Göteborg? 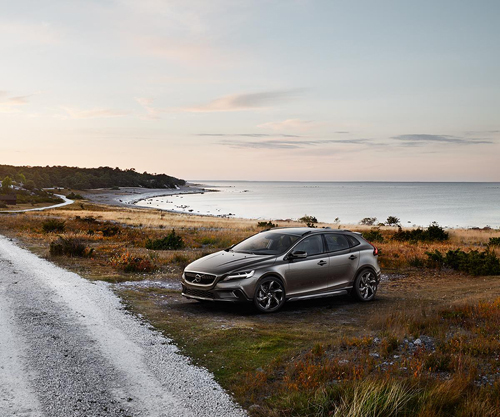 2017 – Volvo V40 Cross Country, somewhere on Gotland I guess, but where? 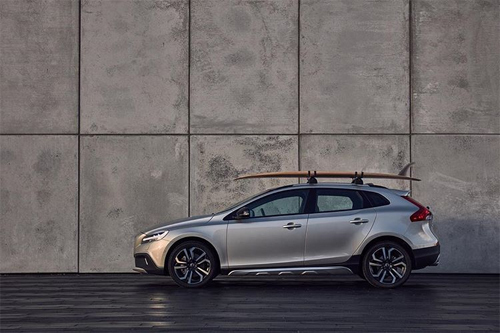 2017 – Volvo V40 Cross Country with Surfboard, somewhere in Copenhagen, Denmark? 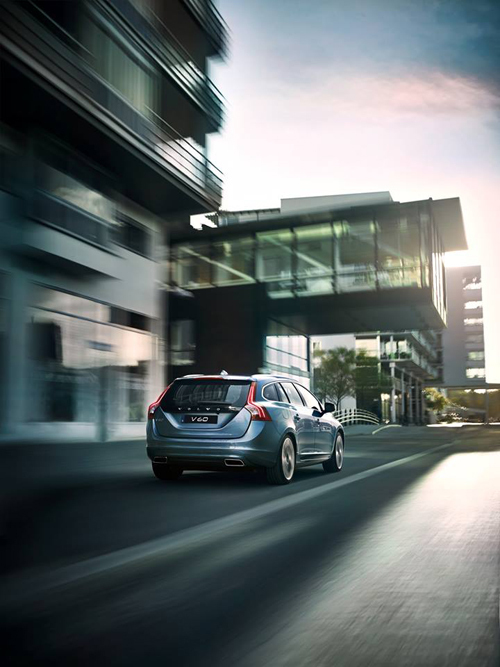 2017 – Volvo V60, somewhere in the Göteborg, Stockholm or Copenhagen region? 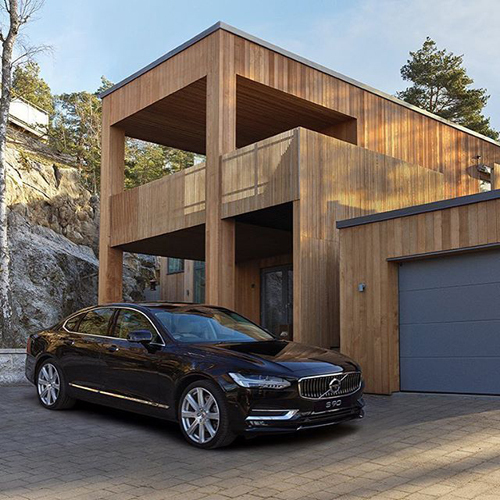 2017 – Volvo S90 at the same house as above…. but where? 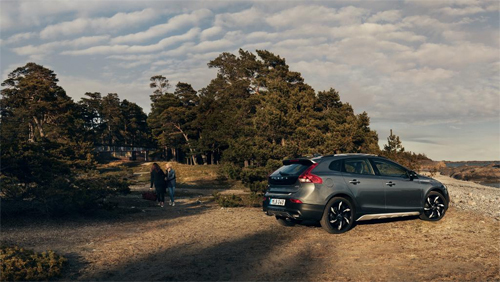 2017 – Volvo V40 Cross Country, somewhere in Skåne, maybe at Ljunghusen in Falsterbo? 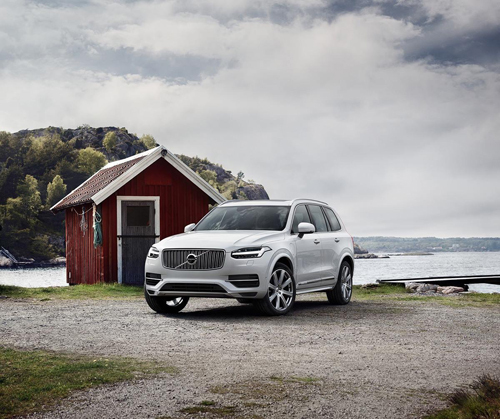 2017 – Volvo XC90 at the Swedish west coast, but where? 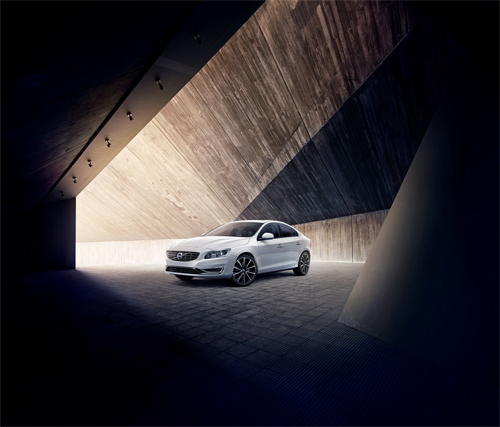 2017 – Volvo S60 somewhere in Copenhagen, but where? 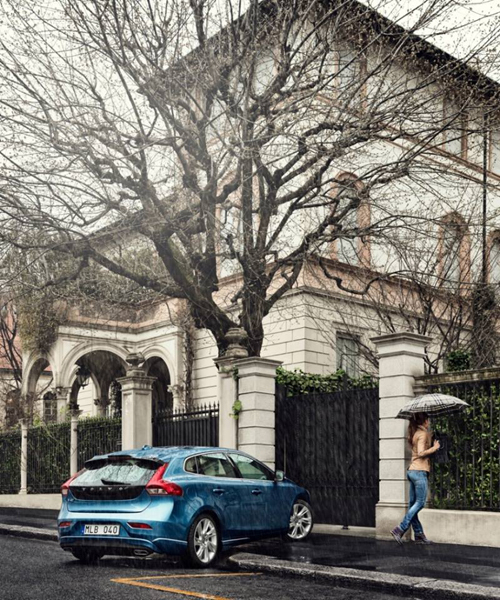 2017 – Volvo V40 in Copenhagen, Göteborg or Stockholm? 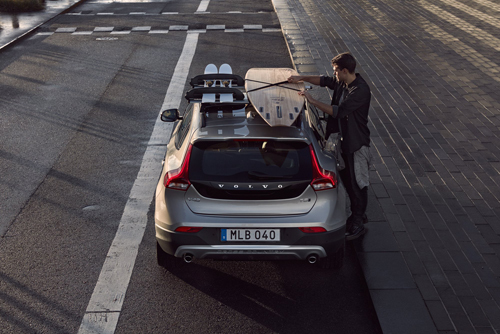 2017 – Volvo V60 Cross Country, somewhere at a lake in Norway or Sweden? 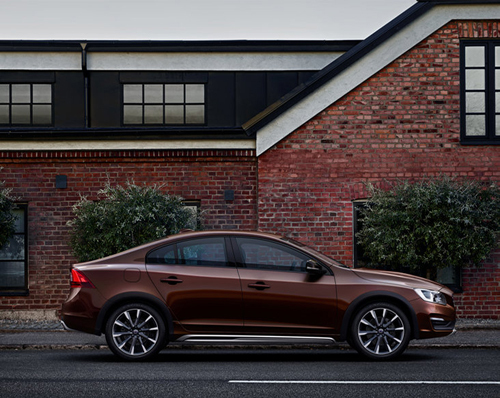 2017 – Volvo V60 Cross Country somewhere in Skåne? 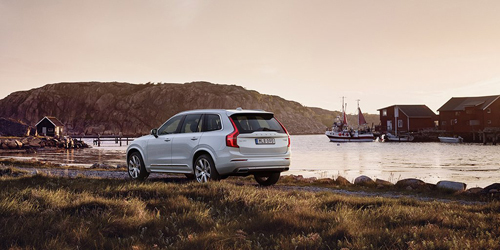 2017 – Volvo XC90 somewhere at a fishermans house at the Bohuslän Coast in West Sweden, but where? 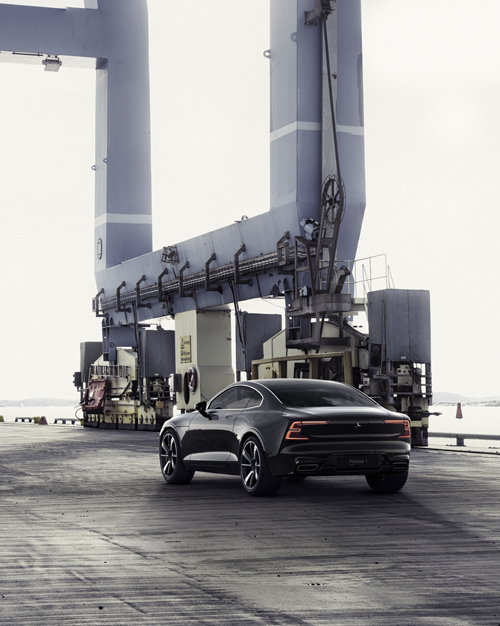 2017 – Polestar 1, somewhere in the harbour in Göteborg, maybe at APM Terminals Gothenburg in Skandiahamnen on Hisingen? 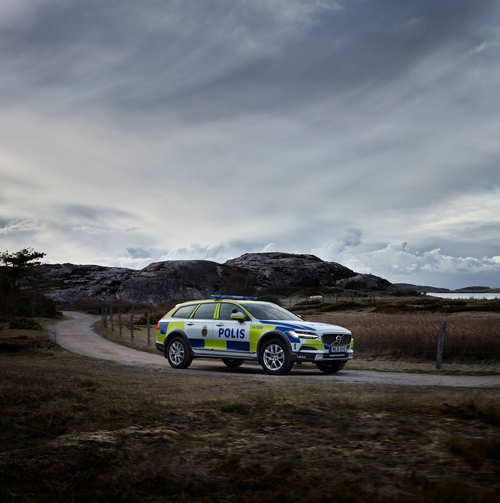 2017 – Volvo V90 Cross Country Polis, somewhere at the west coast, north or south of Göteborg, but where? 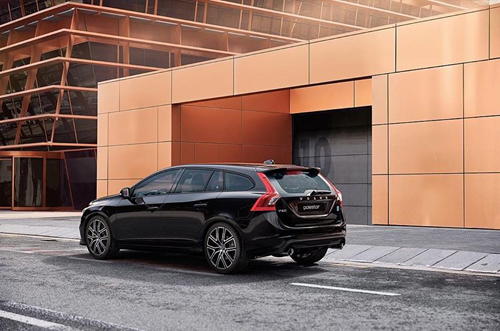 2017 – Volvo V60, somewhere in Italy or Spain? 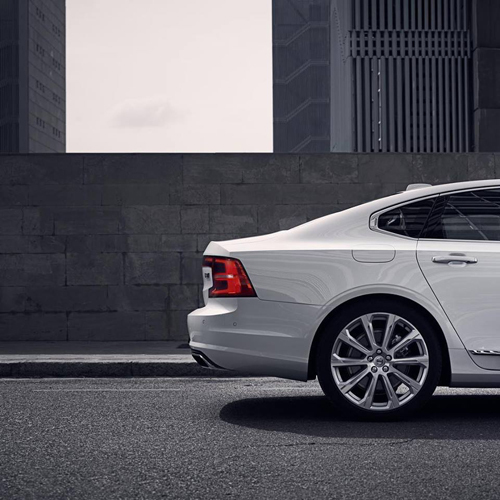 2017 – Volvo S60 Inscription, somewhere in Italy? 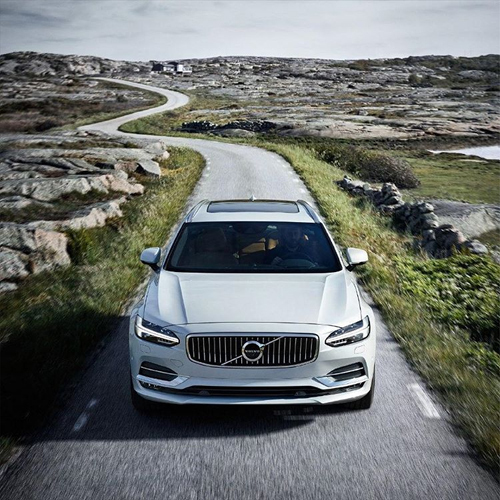 2017 – Volvo V90 somewhere on the west coast of Sweden, north of Göteborg in Bohuslän? 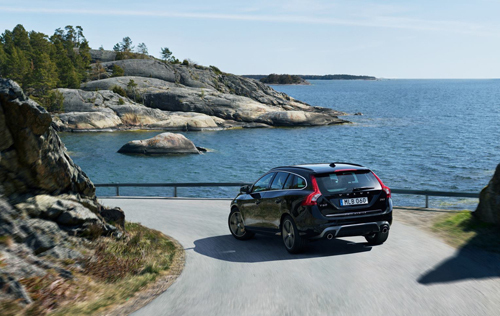 2017 – Volvo V60, somewhere on the Swedish west coast? 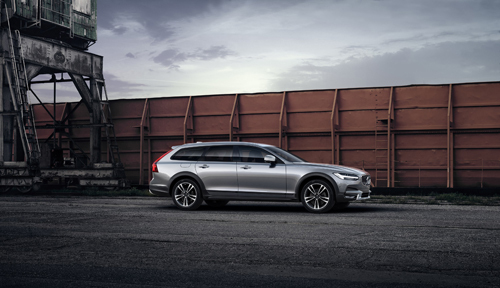 2017 – Volvo XC60, where? 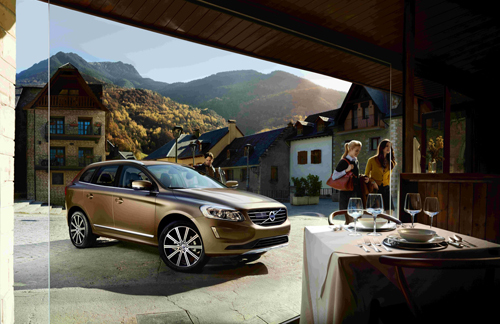 2017 – Volvo XC60, somewhere in Spain, Italy, Denmark, Norway or …? 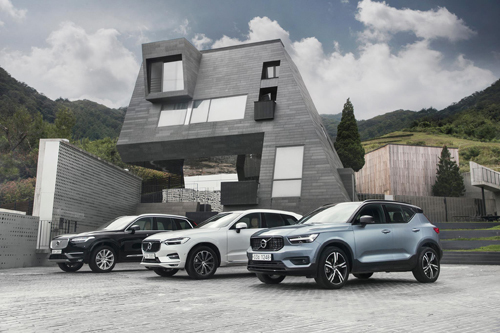 2017 – Volvo XC40, somewhere in Barcelona, but where is this strange building with outdoor chairs? 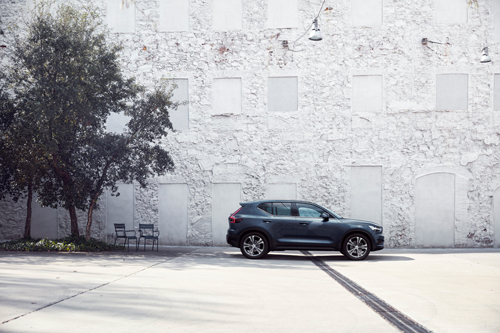 2017 – Volvo XC40, also in Barcelona, or nearby? 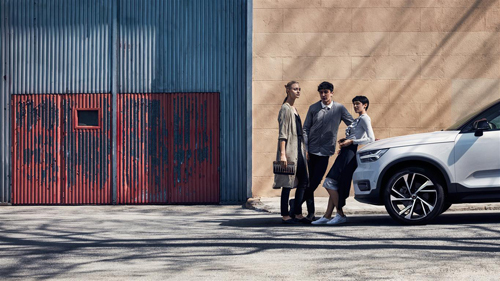 2017 – Volvo XC40, somewhere in Barcelona, Gotica maybe. 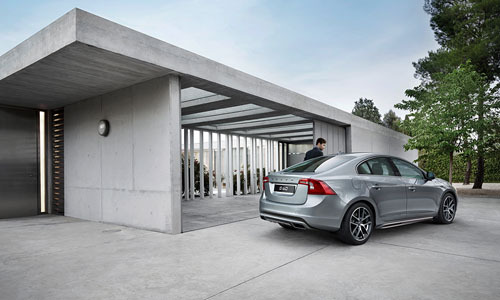 Entrance of a parking? 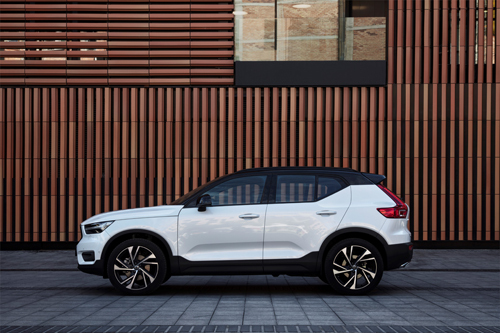 2017 – Volvo XC40, in Barcelona too. 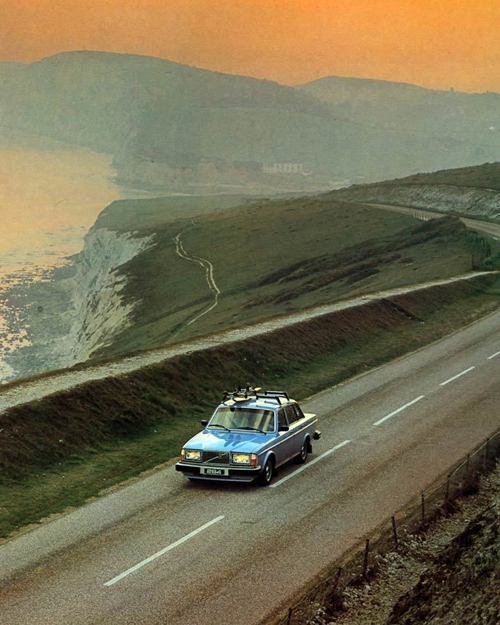 Or is this somewhere around San Francisco, USA? 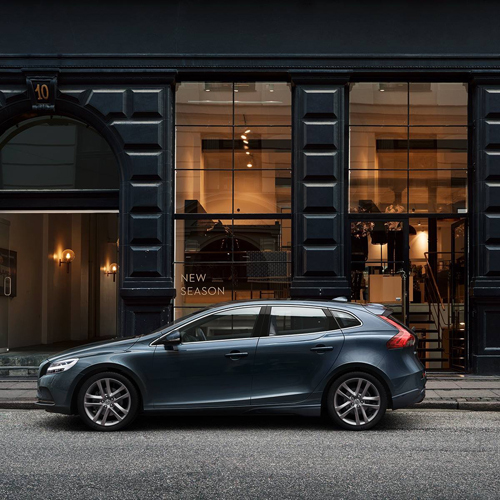 2018 – Volvo V60, somewhere on Östermalm in Stockholm, but where? 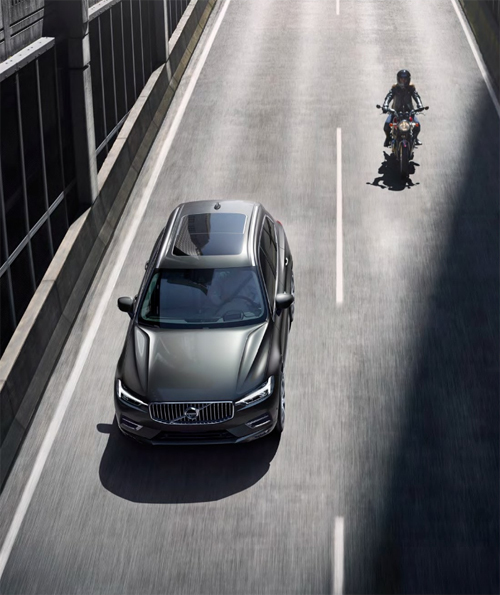 2018 – Volvo V60 Cross Country, somewhere in Portugal, but where? 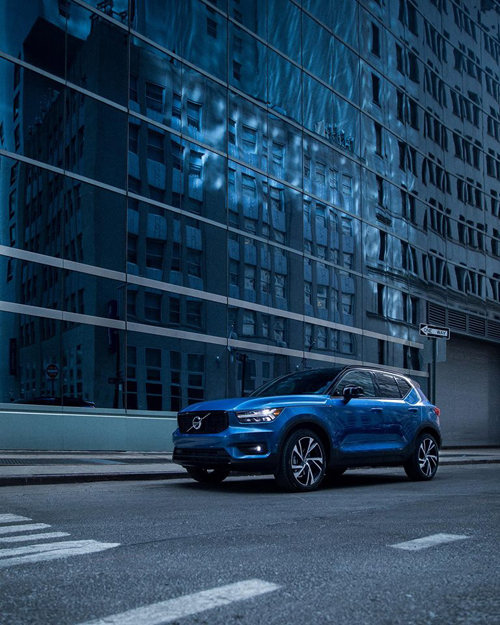 2018 – Volvo XC40 Inscription T5 AWD Denim Blue, somewhere in Barcelona, at the Forum maybe? 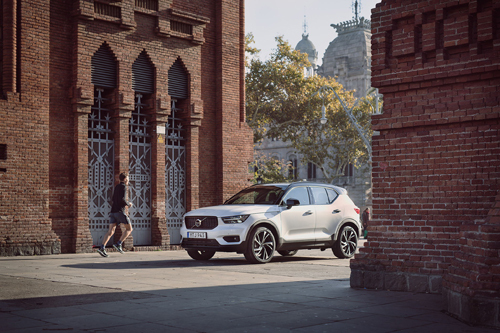 2018 – Volvo XC40 Inscription T5 AWD Denim Blue, somewhere in an old square in Barcelona, but where? 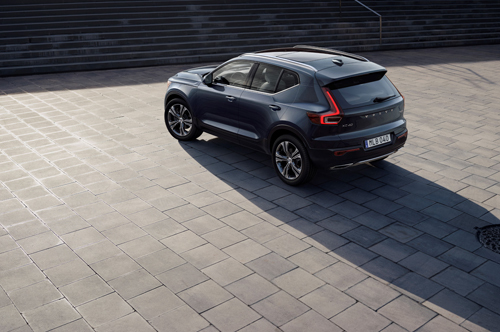 2018 – Volvo XC40 Inscription T5 AWD Denim Blue, in Barcelona, but where? 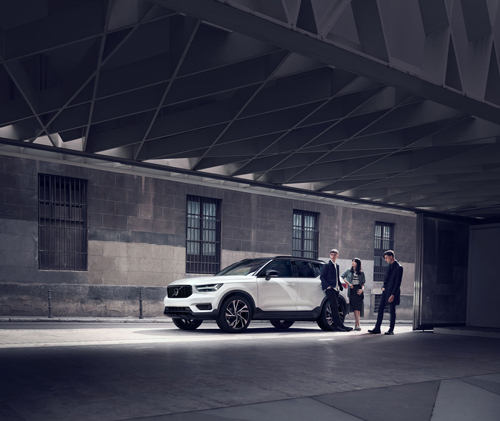 2018 – Volvo XC40, somewhere in Stockholm with speakers, at a concert hall? 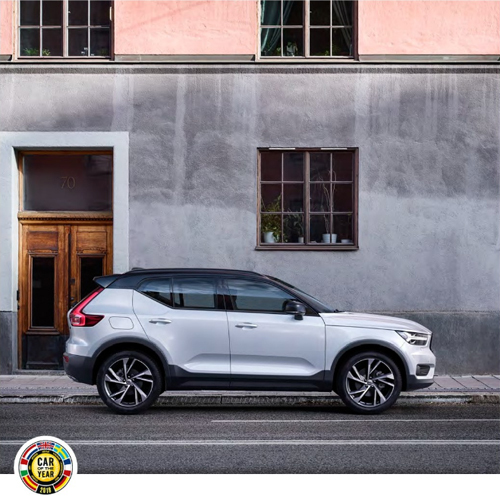 2018 – Volvo XC40 in Barcelona near a church, but where? 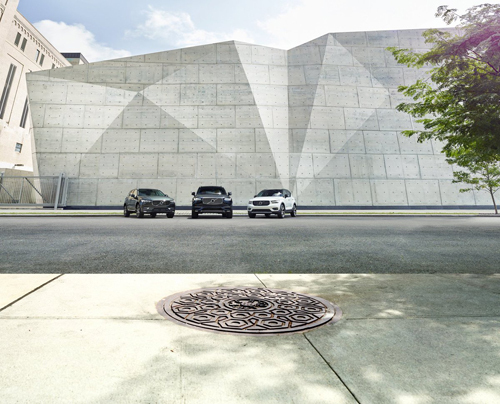 2018 – Volvo XC40 in Toronto Canada but which street? 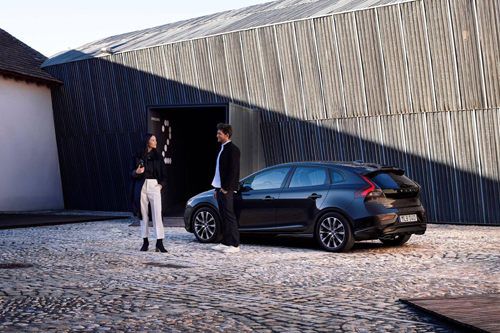 2018 – Volvo V60 Polestar, somewhere in Copenhagen or … ? 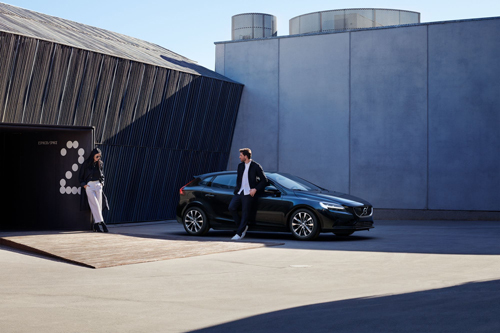 2018 – Volvo V40 at espacio space 2, somewhere in Spain, Denmark or Sweden? 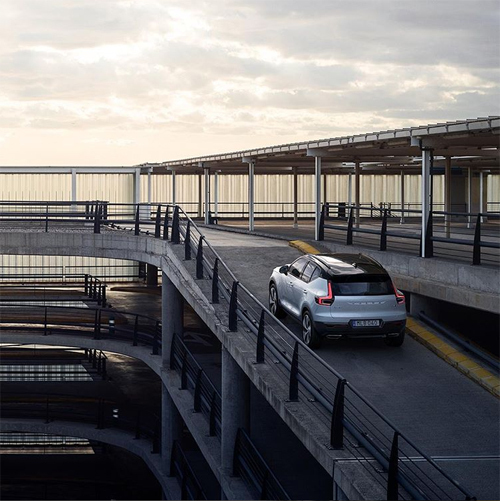 2018 – Volvo XC40 at Barcelona Airport, but where? 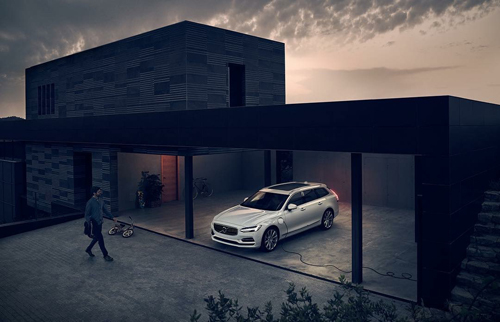 2018 – Volvo V90 at the same Spanish house, near Madrid maybe? 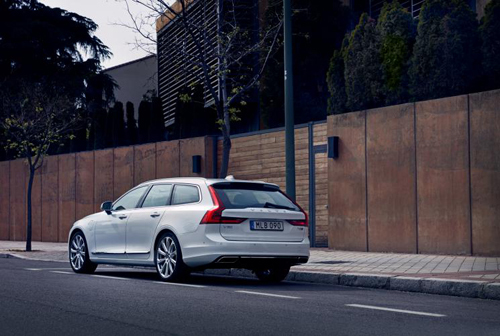 2018 – Volvo V90 at Spanish house, near Madrid maybe? 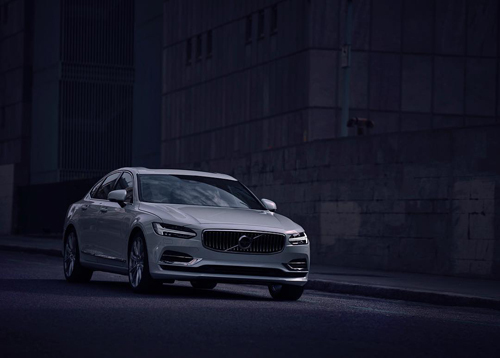 2018 – Volvo S90, somewhere in Madrid, but where? 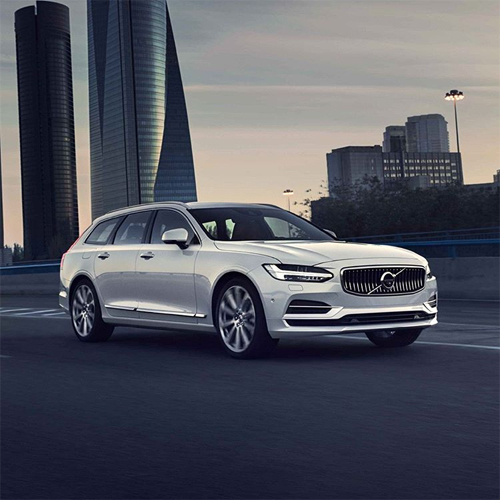 2018 – Volvo V90 somewhere at a Corten Steel fence in Spain, maybe Madrid? 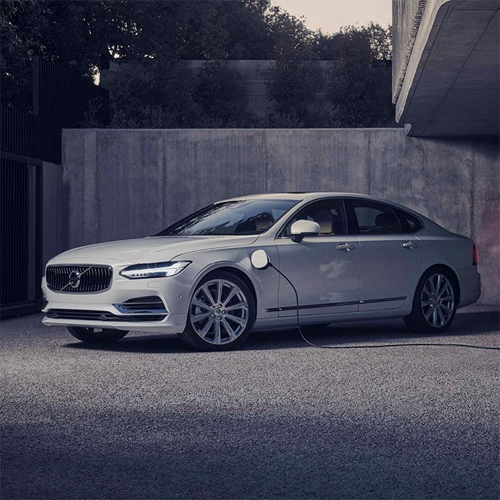 2018 – Volvo S90 at villa in Madrid maybe? 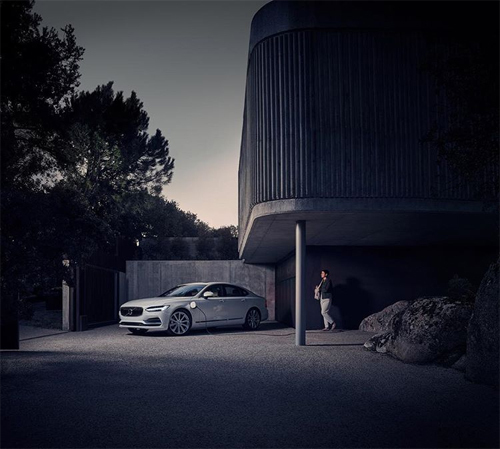 2018 – Volvo S60 Polestar Engineered at the same home, in Madrid or is it somewhere in Denmark or Sweden? 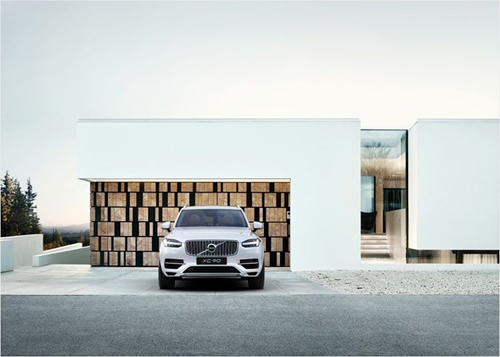 2018 – Volvo XC90 at house in Spain, Madrid too? 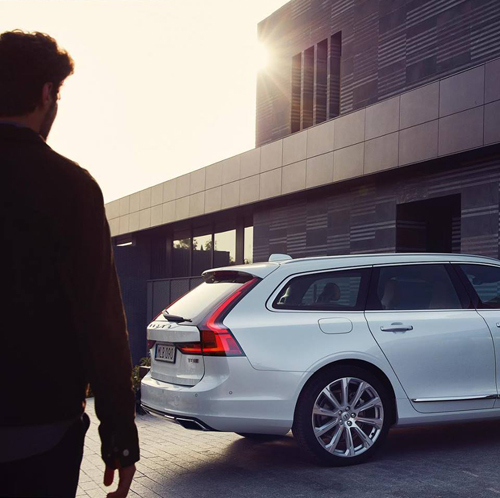 2018 – Volvo V90 in Madrid, but where? 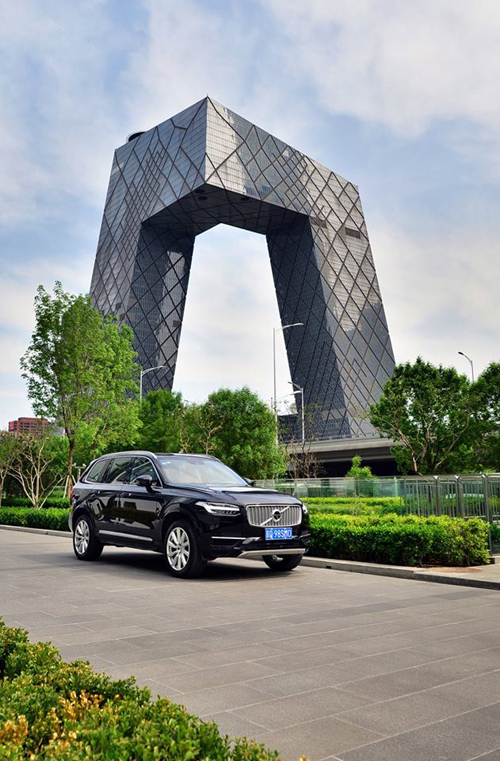 2018 – Volvo XC90 near OMA building in Peking China, but where? 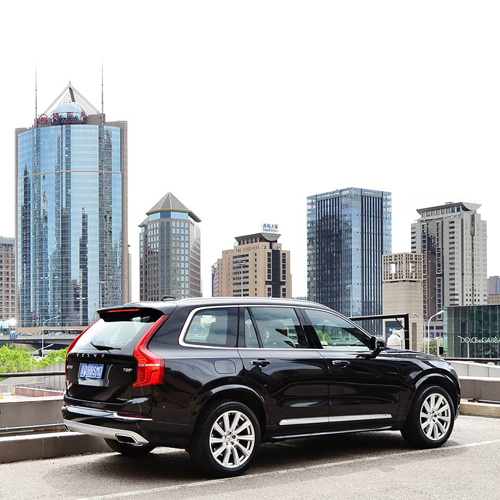 2018 – Volvo XC90 at a rooftop parking somewhere in Peking in China, do you know where? 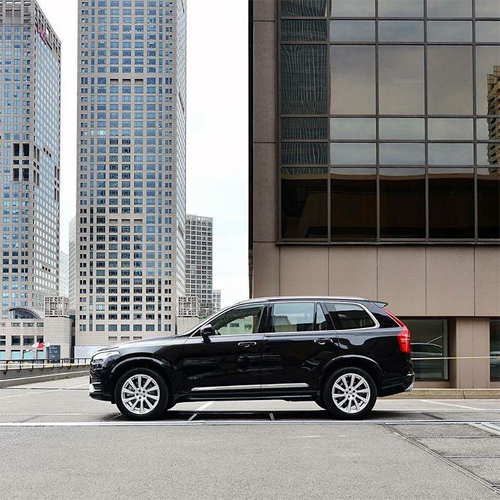 2018 – Volvo XC90 on the same parking in Peking China as above, but where? 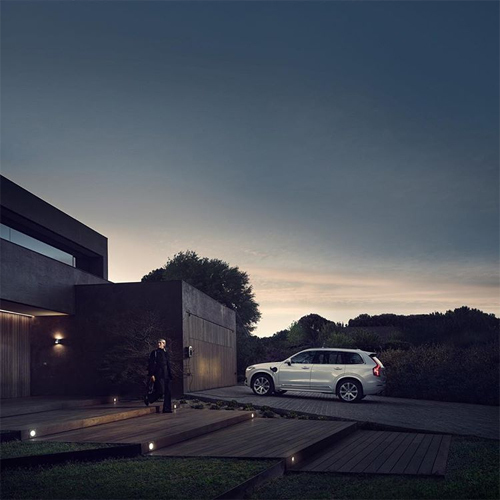 2018 – Volvo XC90 at villa in Spain, Portugal or somewhere else? 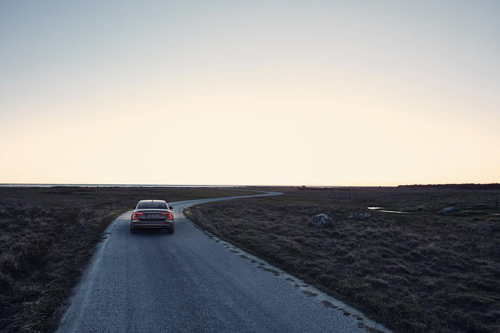 2018 – Volvo S60 at Furillen on Gotland, but where? 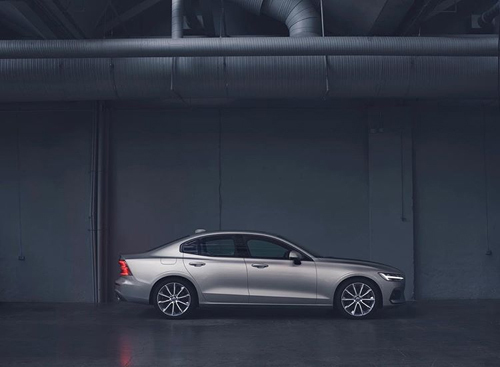 2018 – Volvo S90, somewhere in Göteborg or Copenhagen? 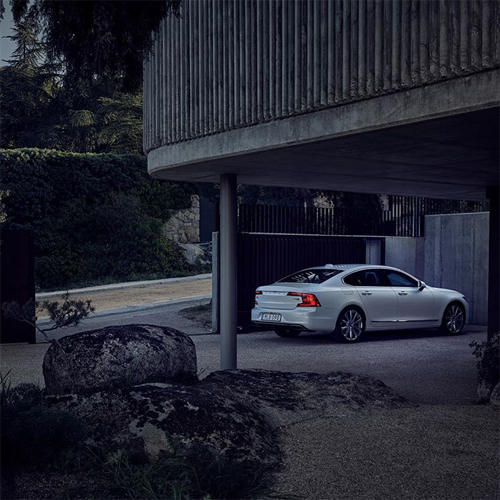 2018 – Volvo S60 on Gotland, maybe on Fårö near Rauks? 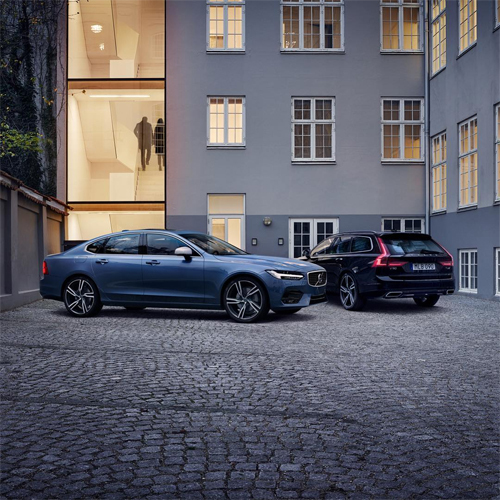 2018 – Volvo S60 in a parking in Stockholm or is it Copenhagen? 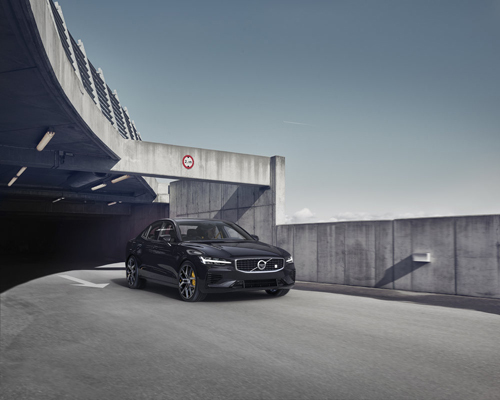 2018 – Volvo S60 Polestar Engineered at parking roof maybe somewhere in Madrid? 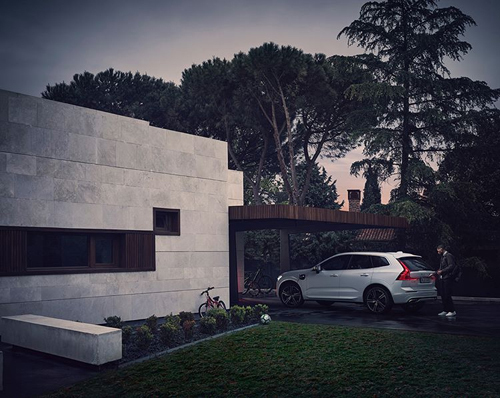 2018 – Volvo XC60 at a home in Madrid or is in in Copenhagen or Malmö area? 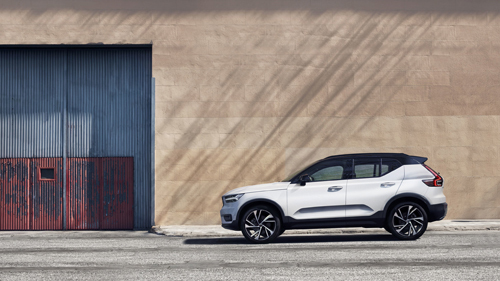 2018 – Volvo XC60, must be somewhere in LA or SF? 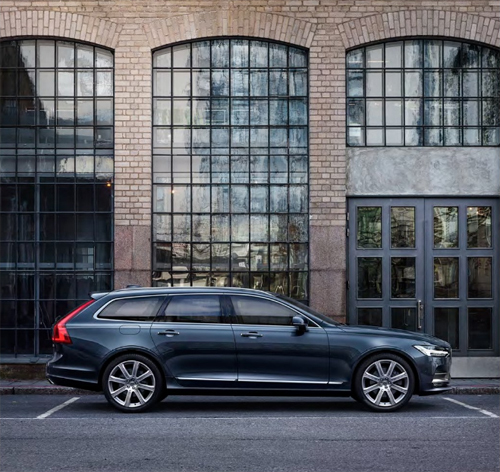 2018 – Volvo V90, somewhere in Stockholm? 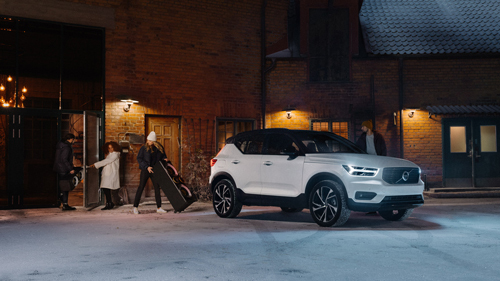 2018 – Volvo XC40, somewhere in Stockholm? 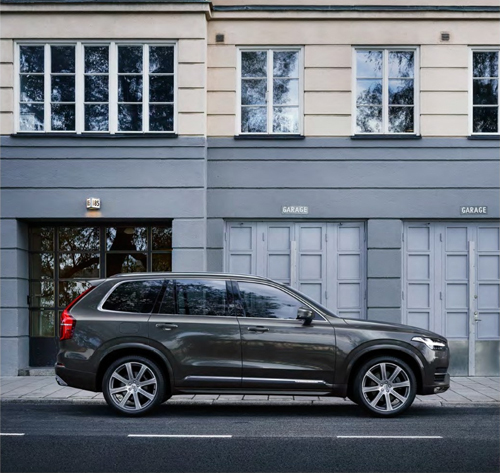 2018 – Volvo XC90, somewhere in Copenhagen? 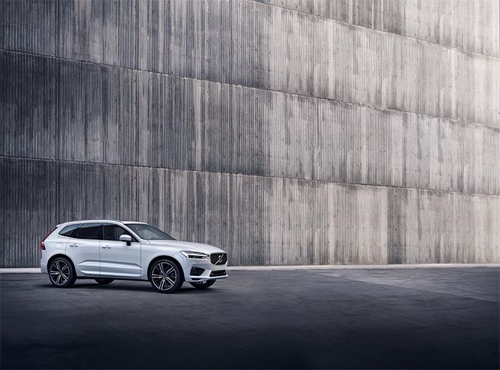 2018 – Volvo XC Range in South Korea, but where? 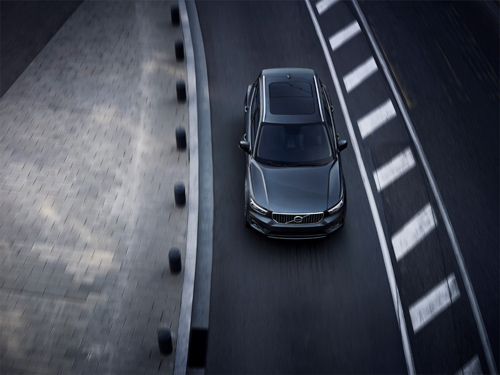 2018 – Volvo 2018-2019 Range in South Korea, but where? 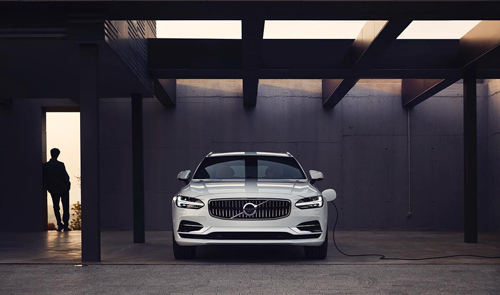 2018 – Volvo Cars Plug-In Hybrid line-up, look like a parking outside Barcelona in Spain, but where? 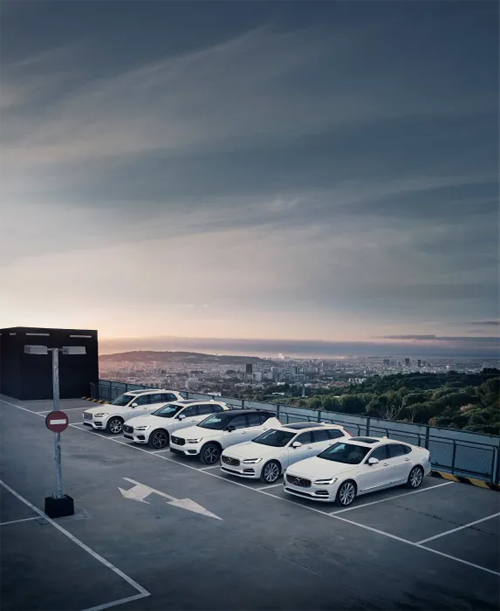 2018 – Volvo Range Barcelona Parking Viewpoint, but where? 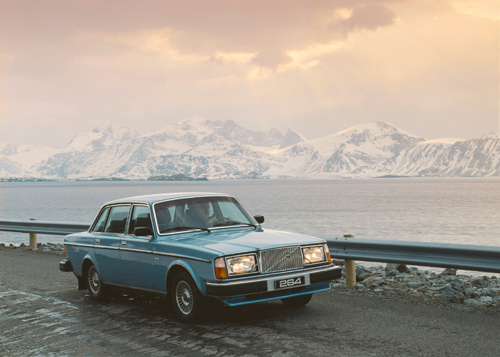 To complete the collection of Volvo Photo Locations, I am looking for the location where these photos were made. 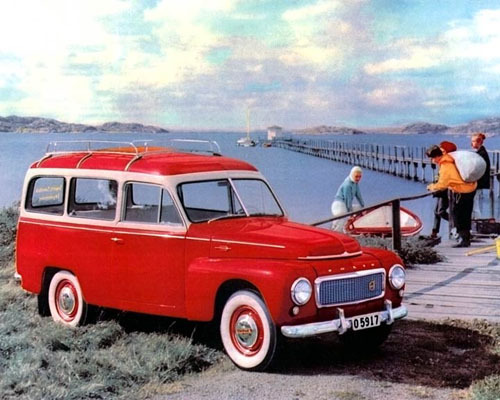 1950 – Volvo Amazon – Somewhere at the West coast of Sweden? 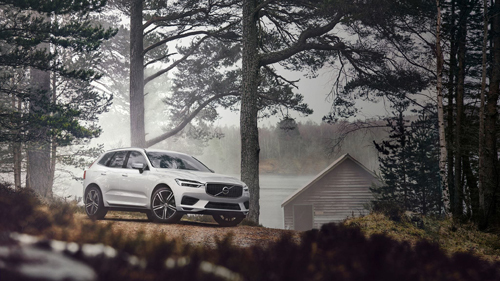 Paul heeft in één van de volvo drive magazines dit vuurtorentje beschreven. 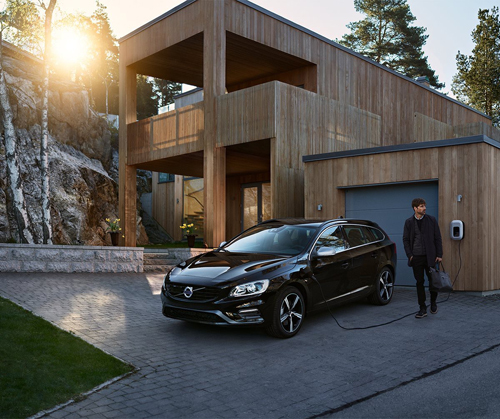 Het is er nog steeds..
Er zijn meer artikelen gewijd aan dit soort foto’s en waar ze zijn genomen..
Het vuurtorentje staat inderdaad bij Långedrag in Göteborg. Thanks for a fun site! I would say on Älvsborgsbron in Göteborg. Heading from the main land towards, Torslanda, Hisingen. 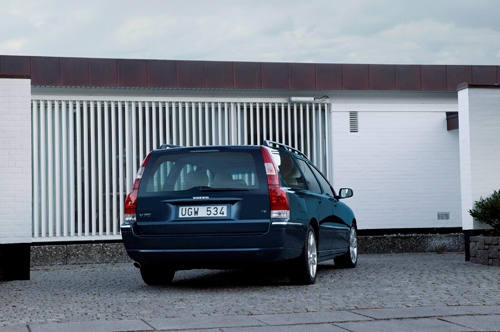 My guess is Danmarks Akvarium north of Copenhagen. 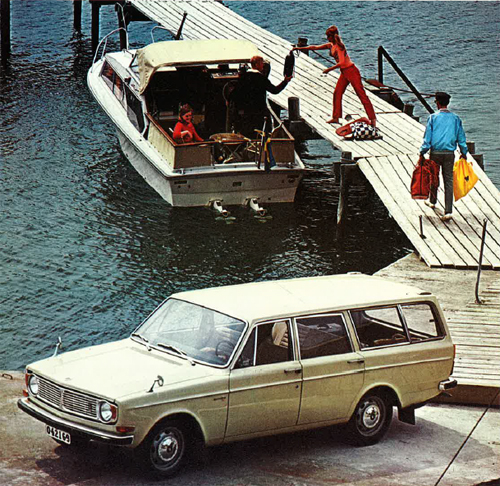 Now replaced by a new aquarium nearby Kastrup Airport. I think it is in Dyrehaven, Copenhagen. 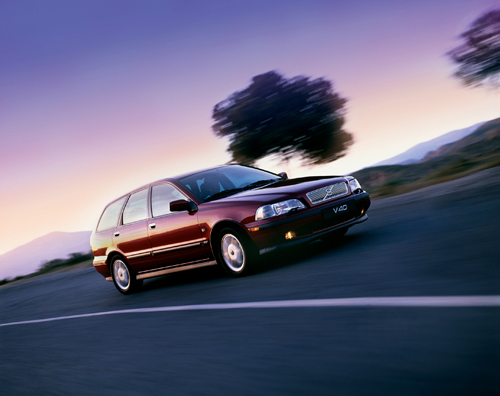 I think I found one more by chance (believe it or not…)! 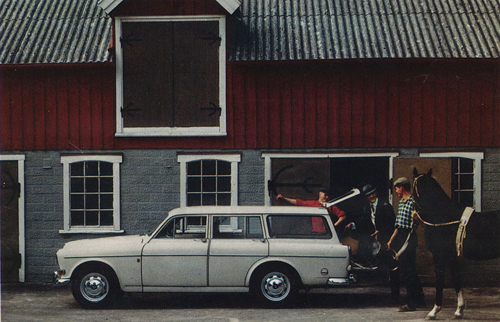 I think “Volvo Amazon Estate in south Sweden?” is shot at Gåsevadholm castle (http://www.slottsguiden.info/slottdetalj.asp?id=60). 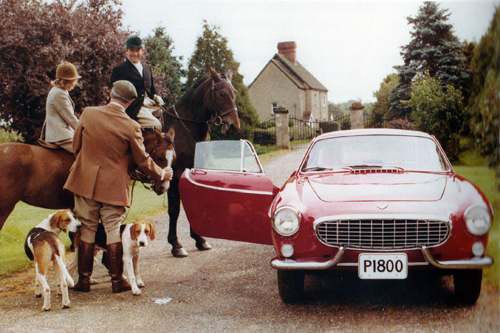 Volvo P1800 in England or Sweden? No, it is Eremitagen in Dyrehaven, Denmark. 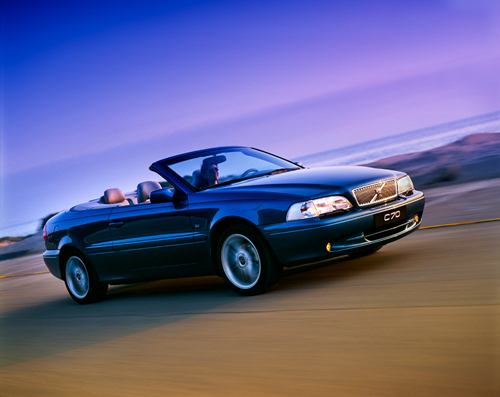 Volvo P445 Cabriolet by Norbergs, somewhere in Stockholm? Yes, it is parked outside KTH – Lindstedtsvägen 6. 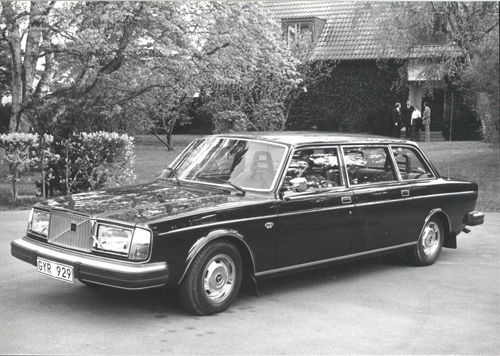 The 1976 Volvo 245 Hearse is parked outside Glöstorpskyrkan in Tuve outside of Göteborg. 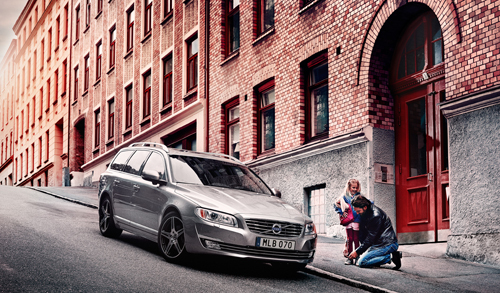 The pictures of the S80 are from Kviberg in Gothenburg. Thanks for a great site. Regards. 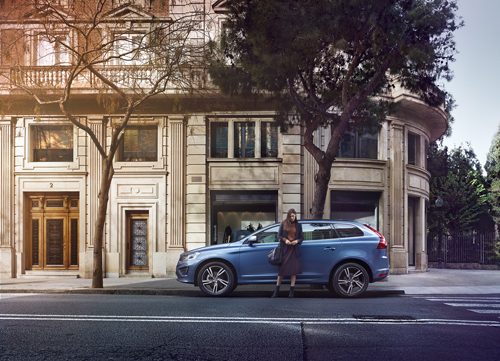 The S60 campaign was shot in Madrid and Andalucia, Spain. 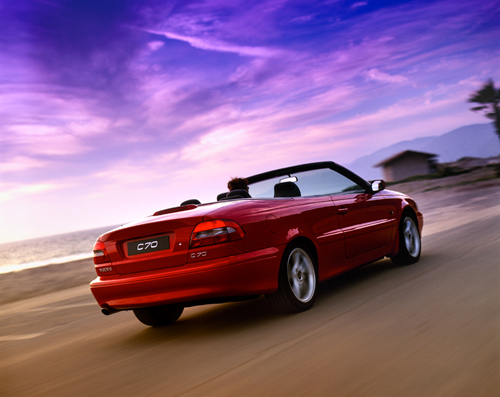 Hi again Guido! 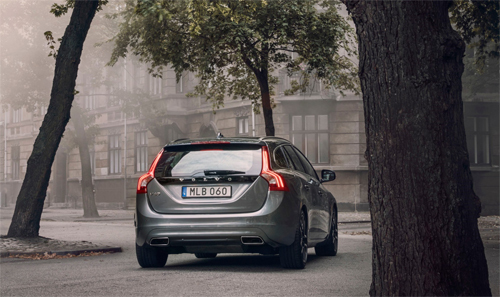 Being convinced the V60 pictures were from Copenhagen I looked around. 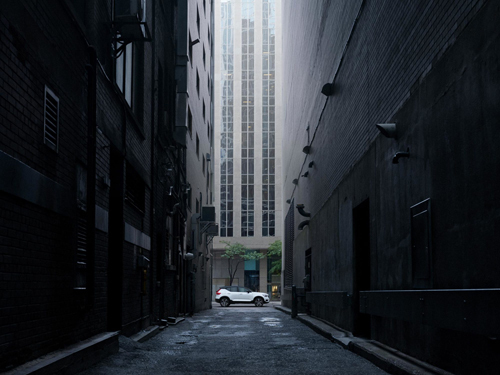 and I found it: https://www.google.com/maps/@55.681385,12.602453,3a,90y,109.64h,86.05t/data=!3m4!1e1!3m2!1sI-BMSSLCoNoFowG0HpqZTQ!2e0 Galionsvej 74, on the opposite side of the Copenhagen Opera house. 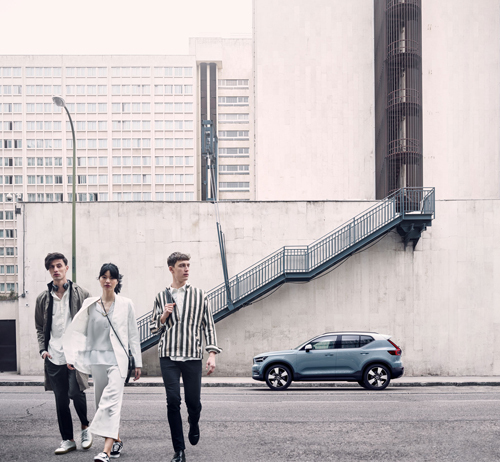 Hi Guido, I love the database of photo locations and would contribute to identify unknowns. 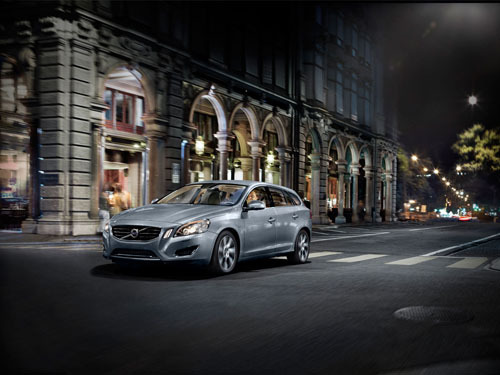 2014 New Volvo V60 is Copenhagen, just in front of Operaen. Thanks everybody for the tips. The collection is growing more every month. 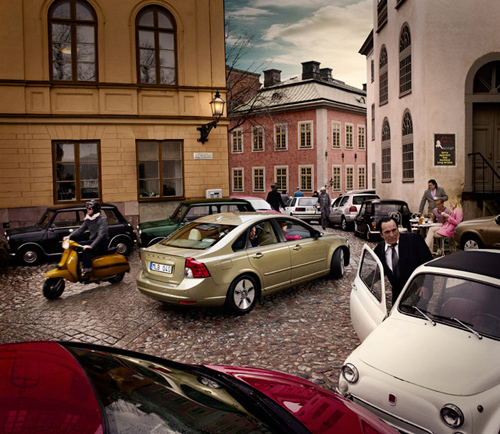 Almost 160 locations in Sweden and 160 locations outside Sweden! Thanks for the strong and wide database! 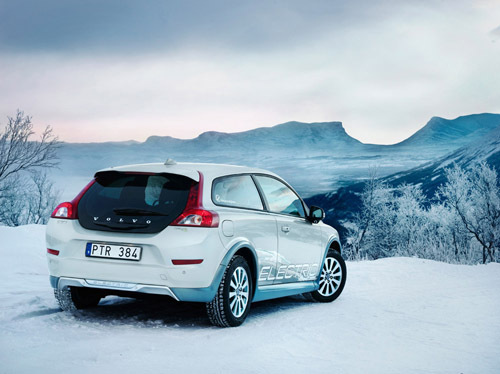 I am a Volvo V40 owner who plan a trip to Norway, especially the beautiful Volvo ad locations. 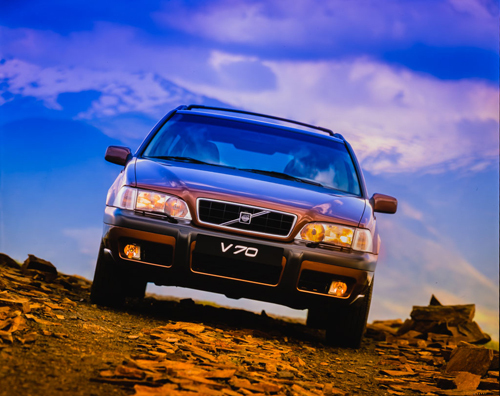 Your blog helps a lot! 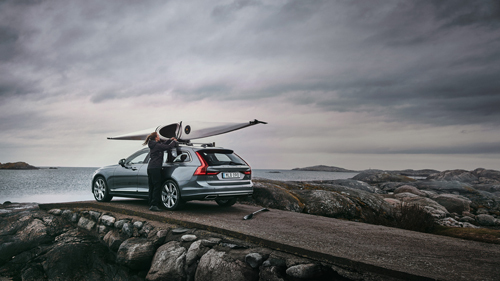 2015 – Volvo V40 Ocean Race, somewhere near Hoddevik in Selje, Norway? Last post location wrong, not Hoddevik in Selje, Norway. It’s beyond Refvik sanded, Vagsoy. 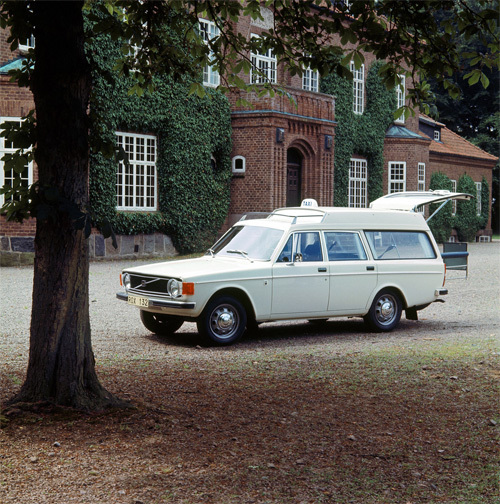 1972 Volvo144 and 145 Taxi : Nääs Slott (castle) Floda 30km east of Gothenburg! 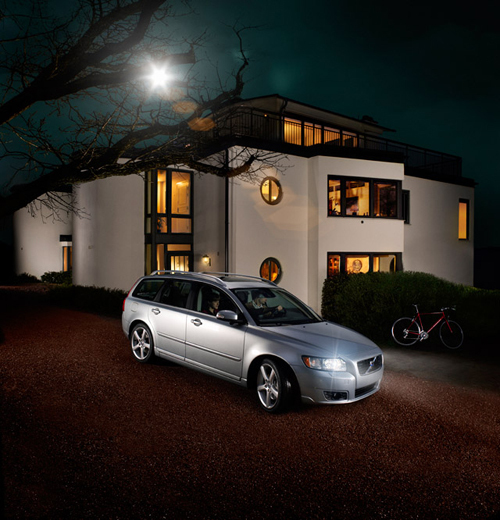 2010 Volvo V50 : Nolhaga, Alingsås. 50 km east Gothenburg.The house “Karamellfabriken” (candyfactory) . 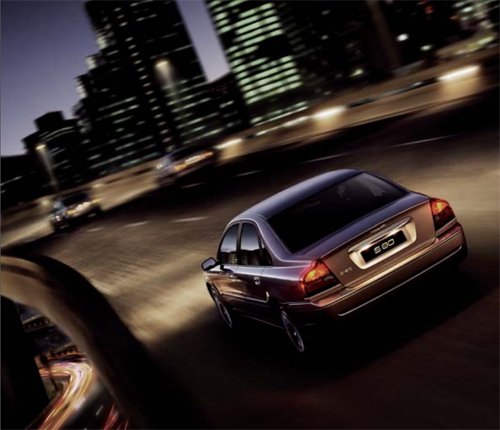 2011 Volvo S80 : Eriksberg, Hotel11 Gothenburg. 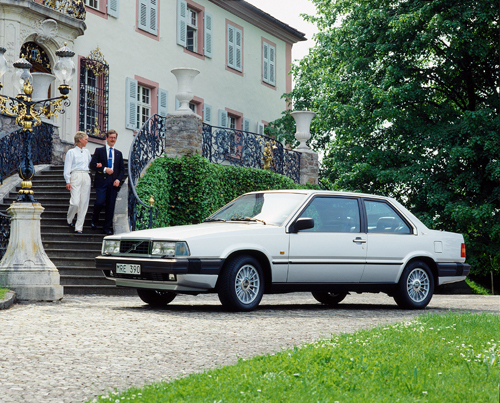 Nääs Slott has been used several times by Volvo, but I didn’t see that the photos with the 144 and 145 taxi were made there! Nolhaga in Alingsås… Great! 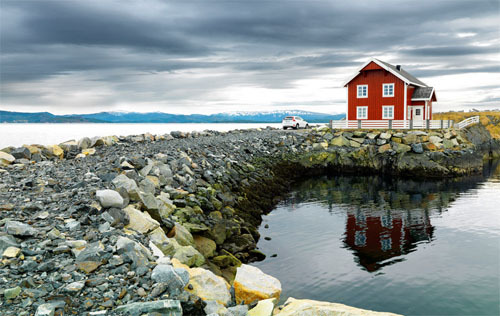 Nice houses! Hotel11 on Eriksberg, I know the place but I have never seen the water piece before! 1950 Volvo PV61 Woodie : King Gustav III pavillon, Hagaparken, Solna (Stockholm). 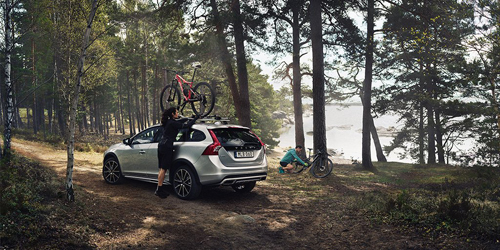 I had the feeling it was somewhere in the Stockholm region, but didn’t find this spot in Hagaparken. Thanks for helping me out with these locations. Säve Airport, next to Torslanda factory? 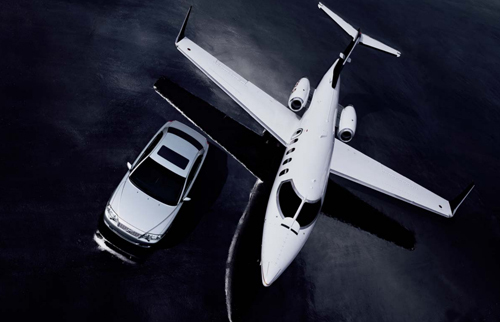 On SFF homepage (Svenskt Flyghistoriskt Forum) you can find a picture of SE-DEP Cessna Citation 500, taken in 1979-06-30! 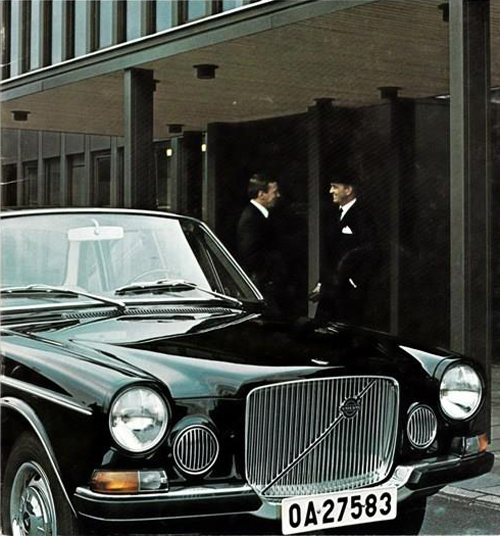 1968 Volvo 164 Polis, VAK building Torslanda. 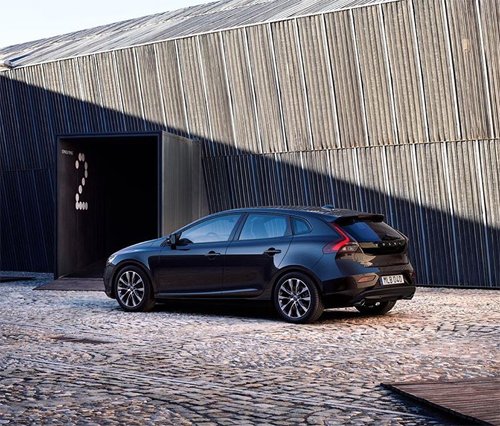 2014 Volvo V40 Black edition Bilbao. 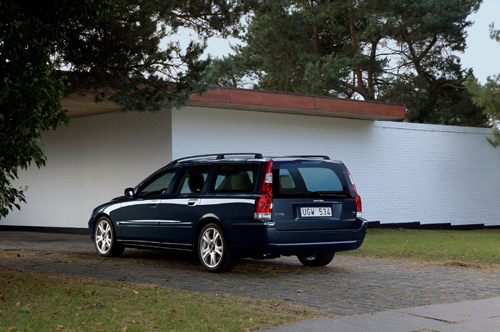 2006 Volvo V70, maybe in Rotterdam NL? 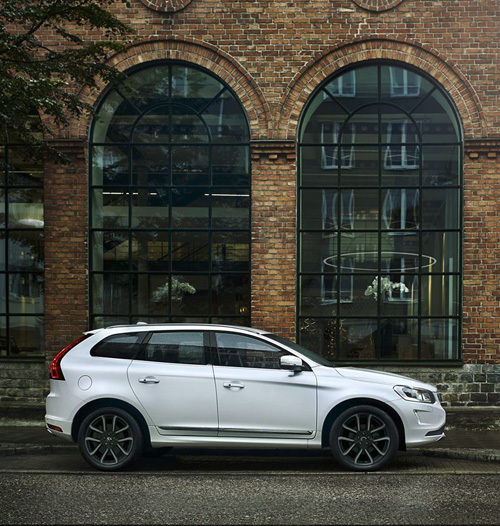 2009 – Volvo XC60 at Unkown Gallery in Unkown St 705 in SF USA, do you know where? 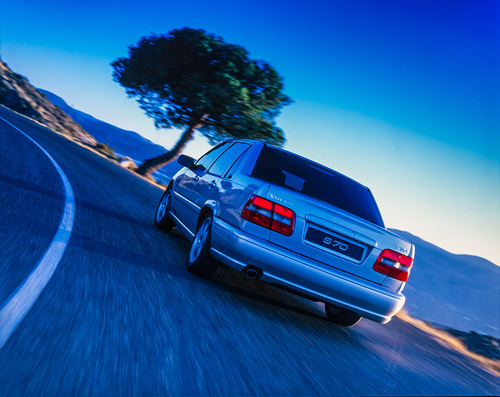 2003 – Volvo V70 R, somewhere in the south of France, near Nice maybe? 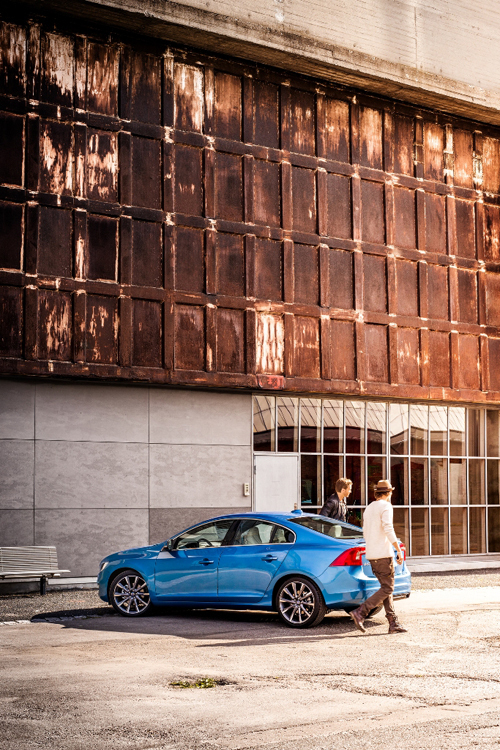 2012 – Volvo V40 R-Design somewhere in Bilbao in Spain, but where is this building? 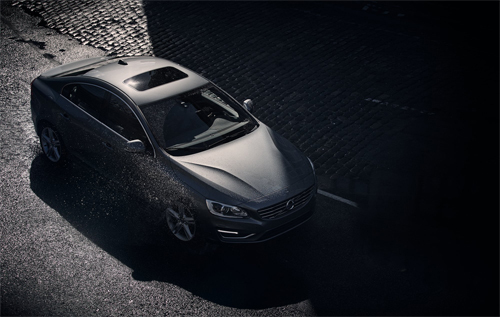 2016 – Volvo S60, must be somewhere in Barcelona? 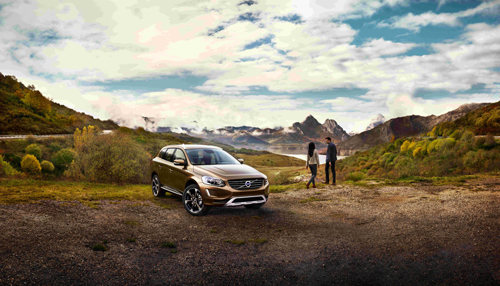 2017 – Volvo XC60, somewhere in Vancouver or in San Francisco? 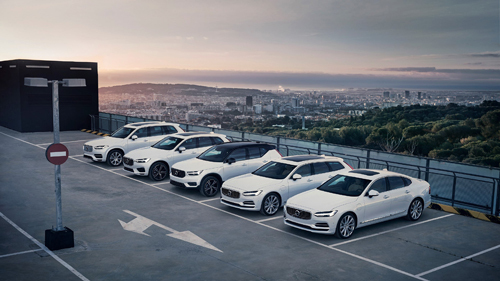 2017 – Volvo S90, V90, XC60 and XC90 T8 Twin Engine AWD Inscription in Crystal White Pearl on a roof top parking, maybe in Los Angeles, but where? Great research you have done Changyoung Jeong! 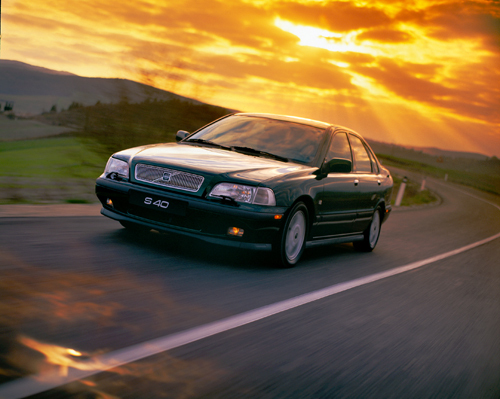 Thanks a lot for finding so many Volvo Photo Locations! 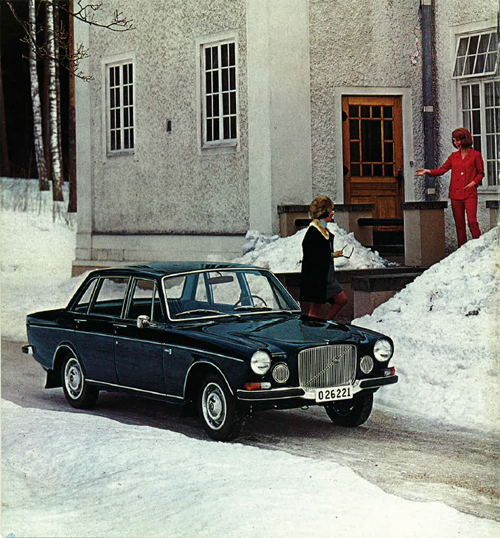 1972 Volvo 164 Kommunhuset i Partille. 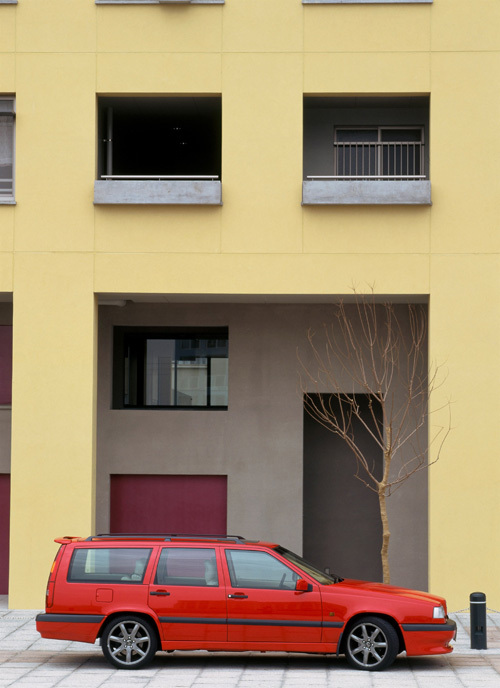 Love both photos with the red Amazon and the 164! Västra Hamngatan, i riktning mot Norra Hamngatan, Göteborg. 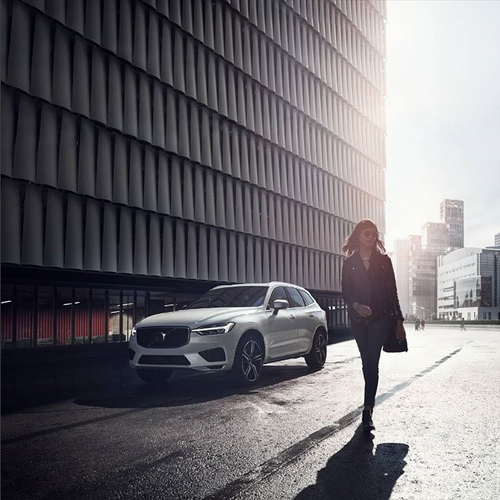 Tack så mycket Per för alla dina tips med Volvo platser! 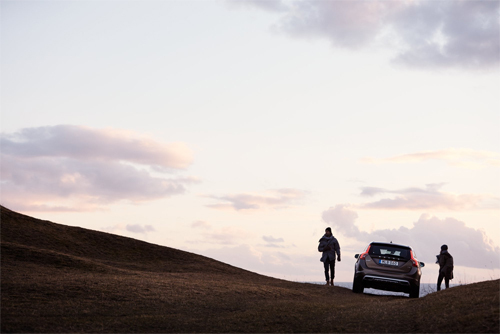 2016 – Volvo XC60, somewhere on the coast in England, part of the Made by England campaign? Roligt att koll! Jag ska fundera på några, Norge, Sverige, Danmark -men skickade en mail nyss om Köbenhamn som jag kände igen men då hade jag inte scrollat ner och hittat denna kommentatorfält. 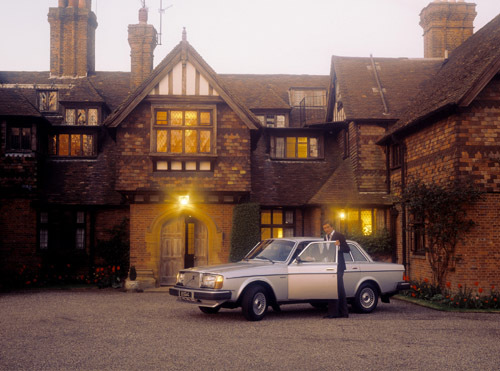 2008 S 40 Är vid Hotel D’Angleterre i Københamn. 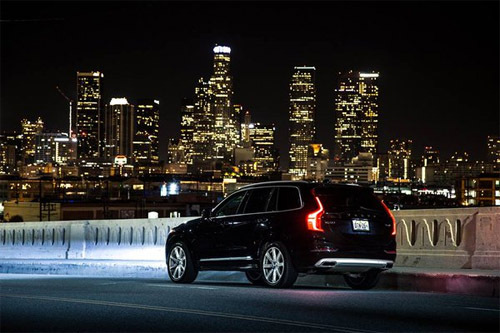 2015 – Volvo XC90 near Hollywood sign, but what street or road? Tack för att du hittade platsen i Köpenhamn! 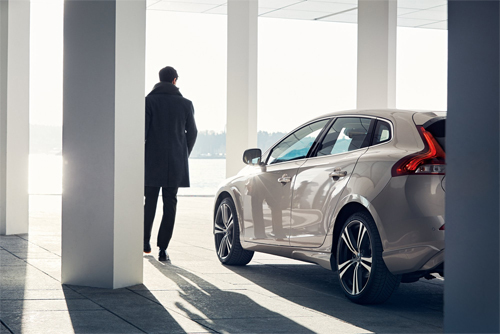 Det gick där förbi första helgen av året men kände inte ingen platsen! Kul! Tack för att du hittade platsen in Los Angeles! 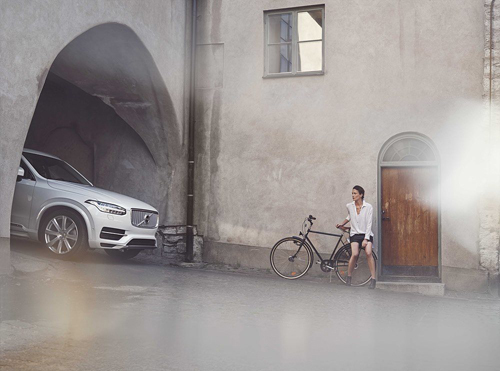 2015 – Volvo XC60, somewhere in Sweden or is it Copenhagen – Sluseholmen Canal District? Ser ut som Slottsparken i Malmö ….. 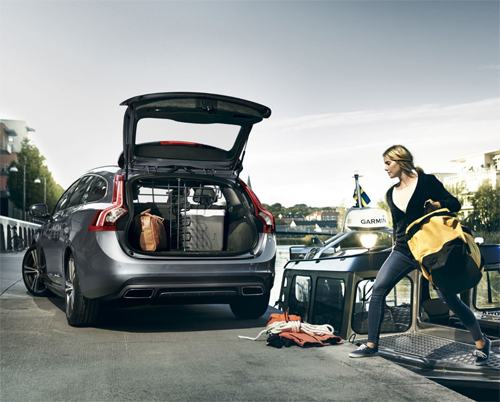 Tack Johan for finding the place in Hellerup, north of Copenhagen! 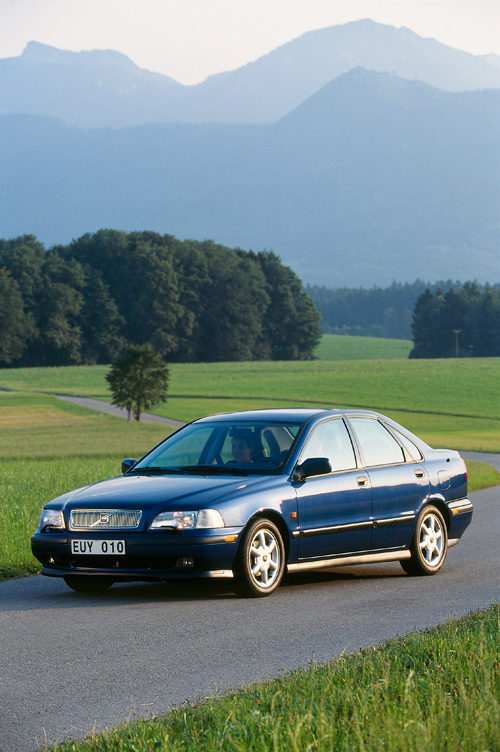 Jag håller med dig, det är roligt att leta! 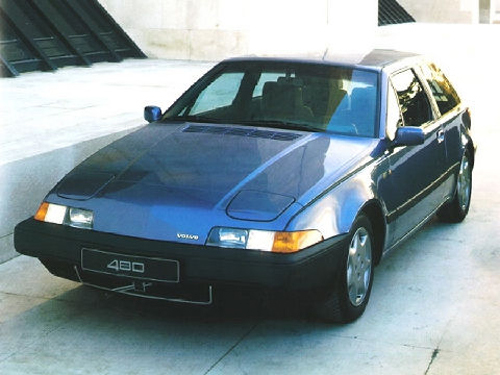 Tack igen Kåre för att du hittade platsen i Malmö var 144 bilden har tagit. 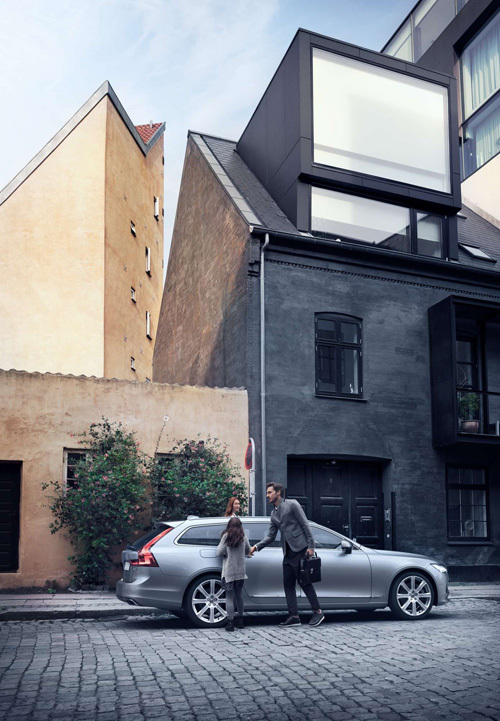 Fotografen Georg Oddner kommer från Malmö! 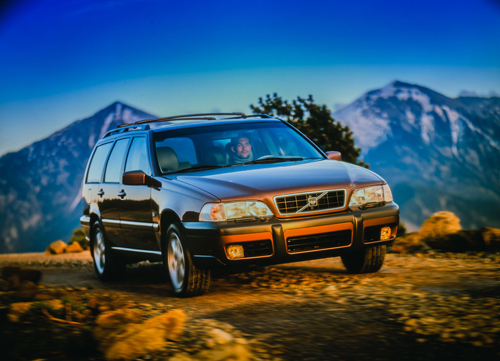 De 2002 Volvo XC90 staat inderdaad in Nederland, hij staat in Den Haag op het Muzenplein. 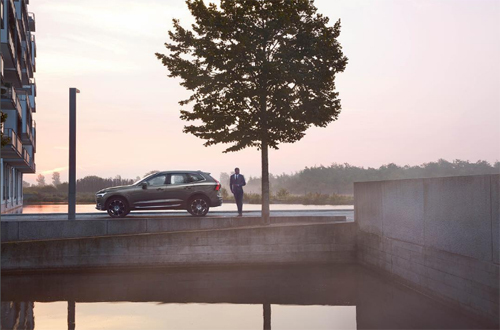 De fotograaf staat met zijn rug naar de Kalvermarkt. 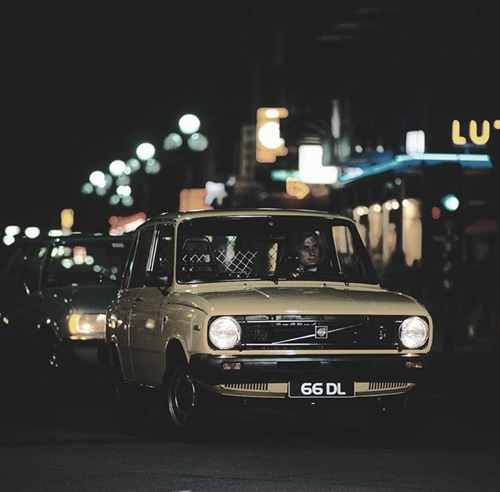 1968 Volvo 145 : Frölunda Torg, Göteborg. 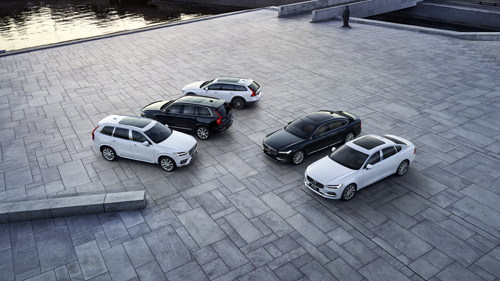 Tack Per! Helt fantastiska bilderna från Frölunda torg! 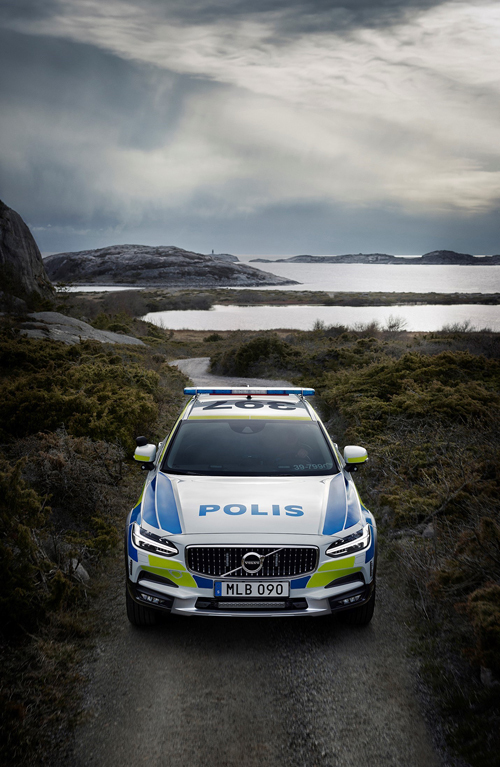 Foton med 145 kommer från Ratten tidning. 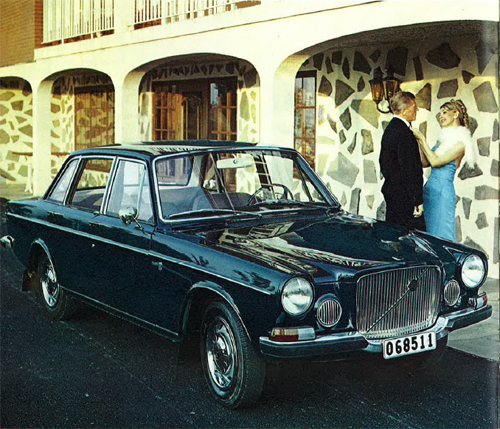 1968 volvo 142 är Holmenkollveien ja men restaurangen heter Frognerseter. 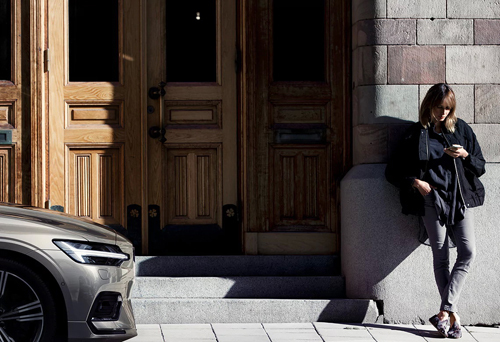 Ser ut som de haft olika färger på fönsterkantar genom åren.